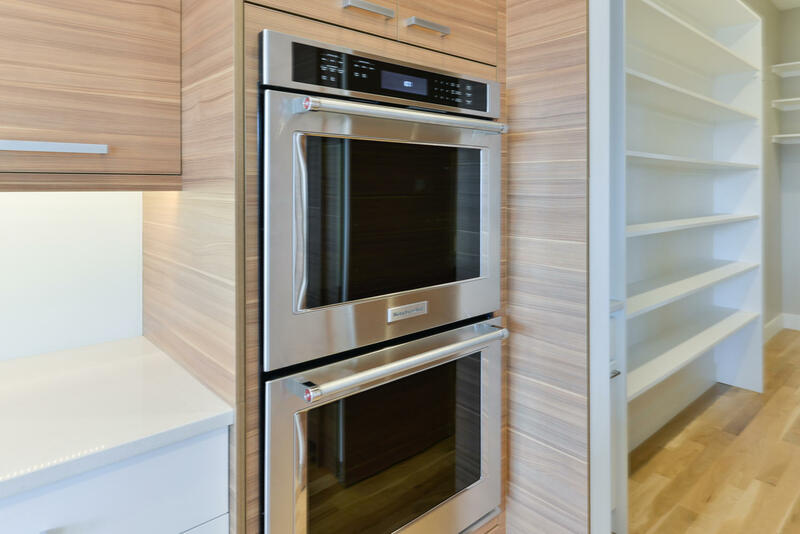 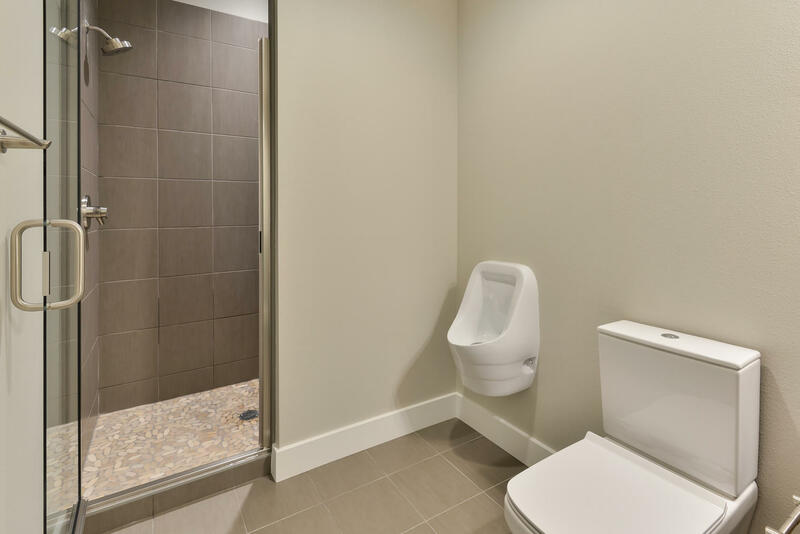 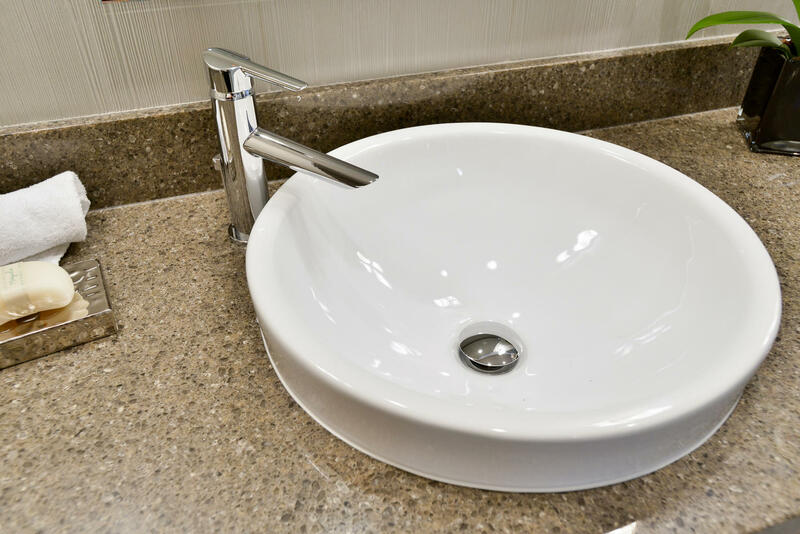 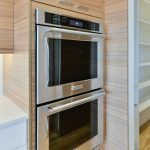 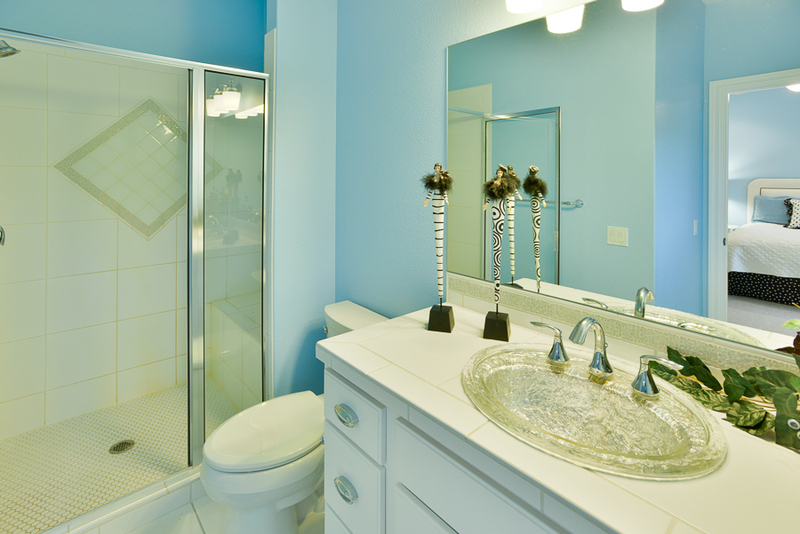 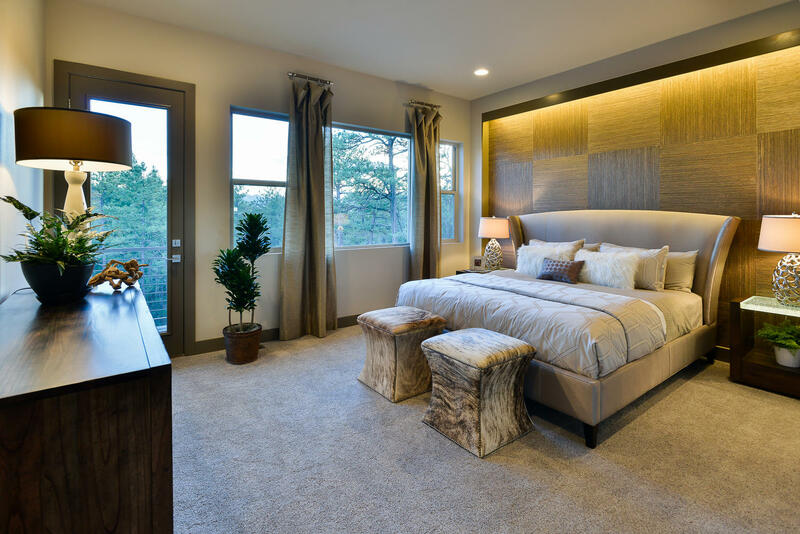 Known for innovative design, quality craftsmanship and fine finishes, Tiffany Homes continually exceeds its own high standards. 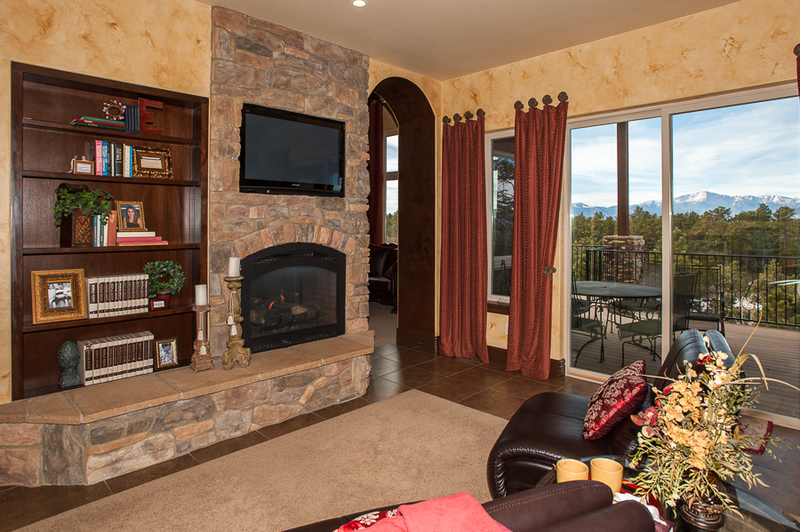 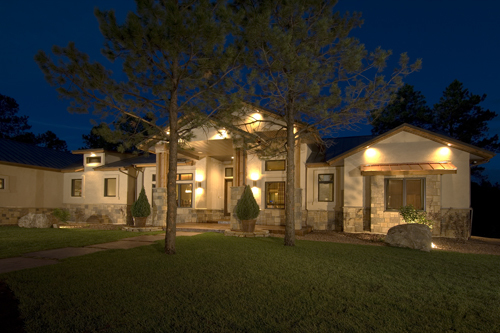 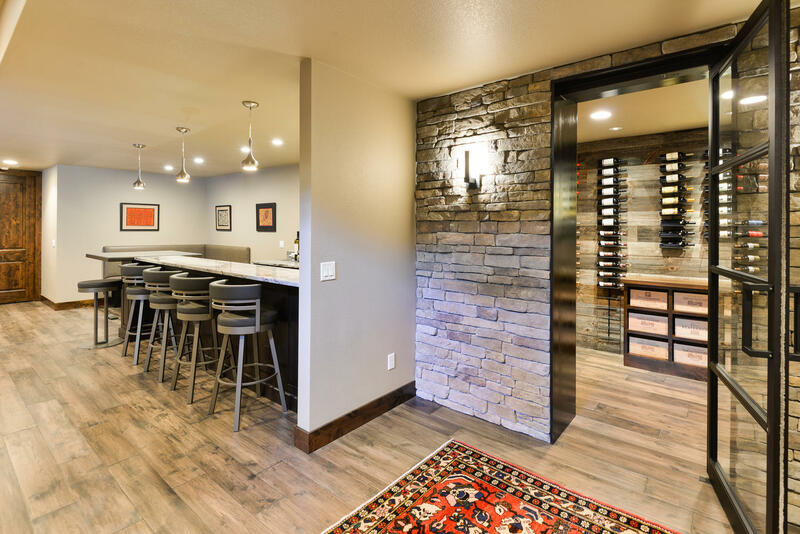 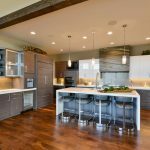 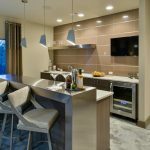 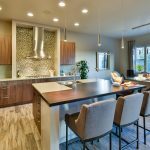 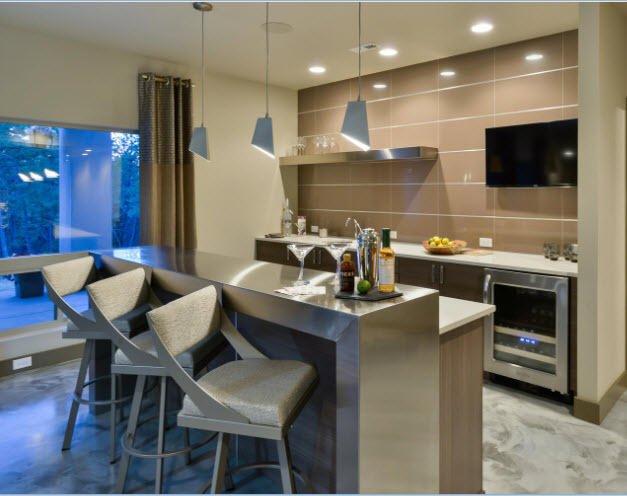 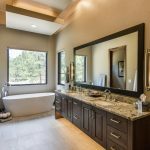 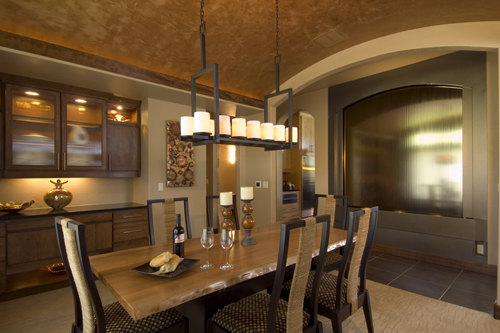 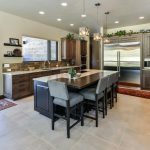 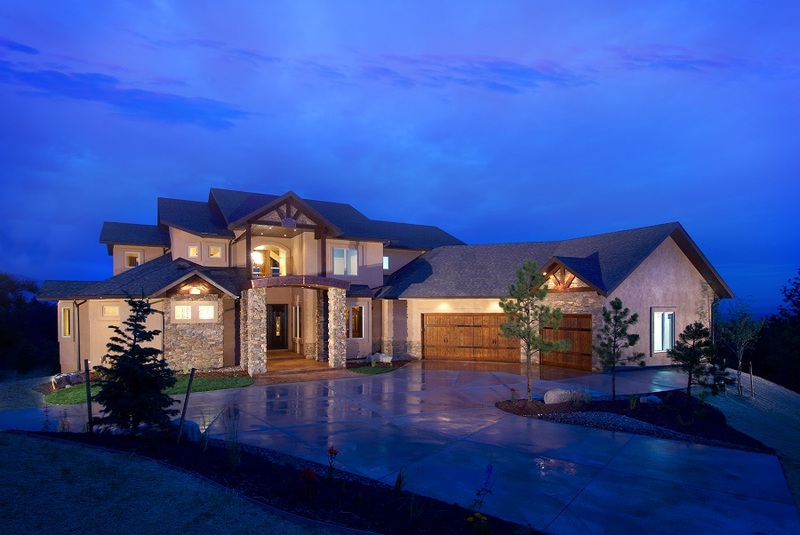 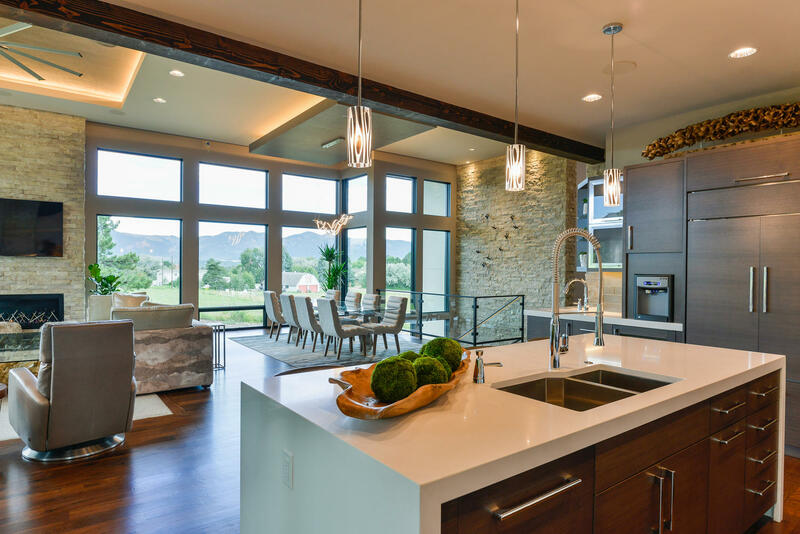 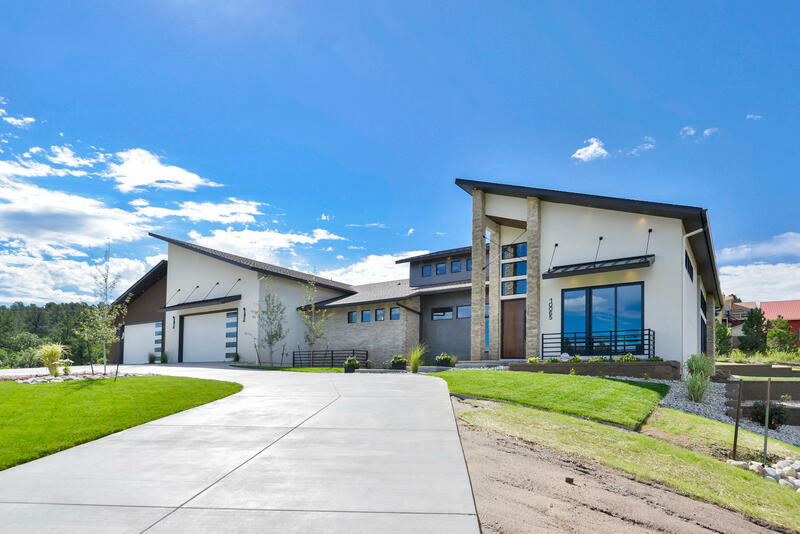 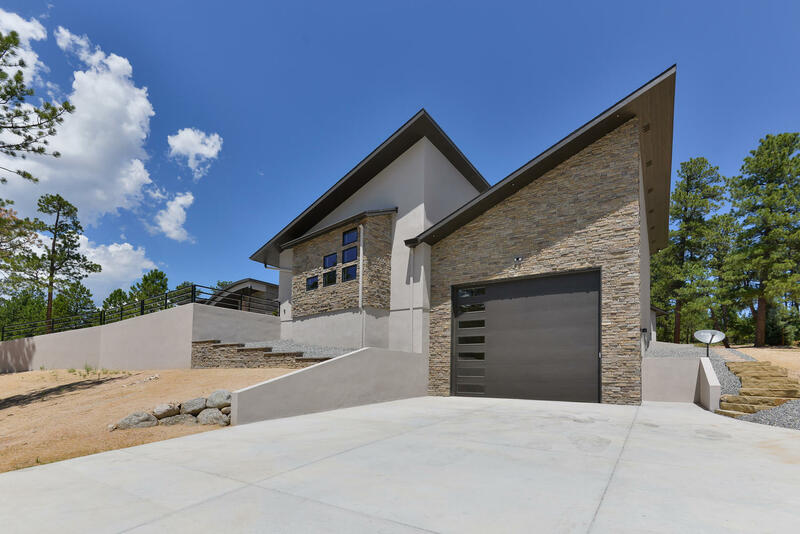 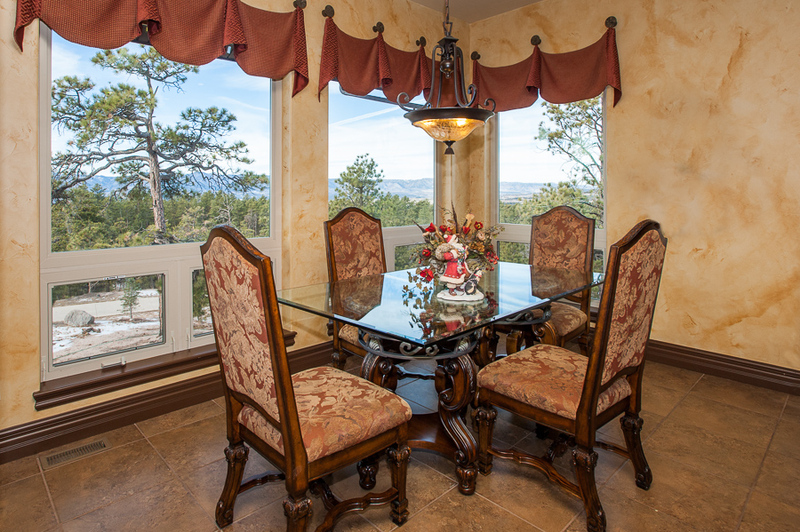 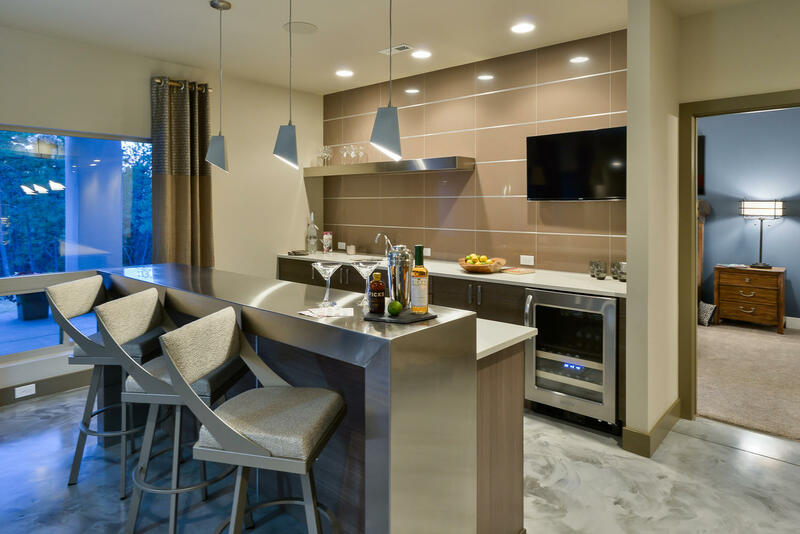 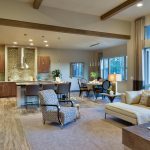 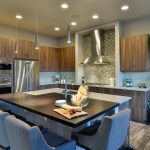 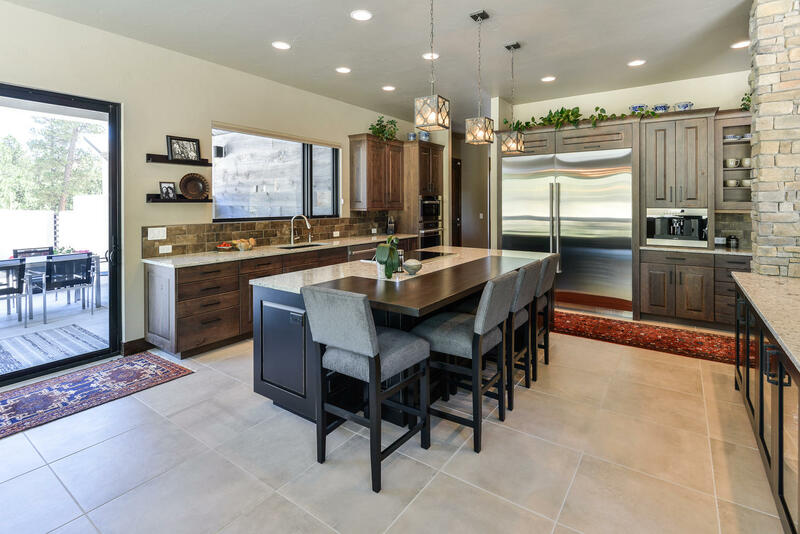 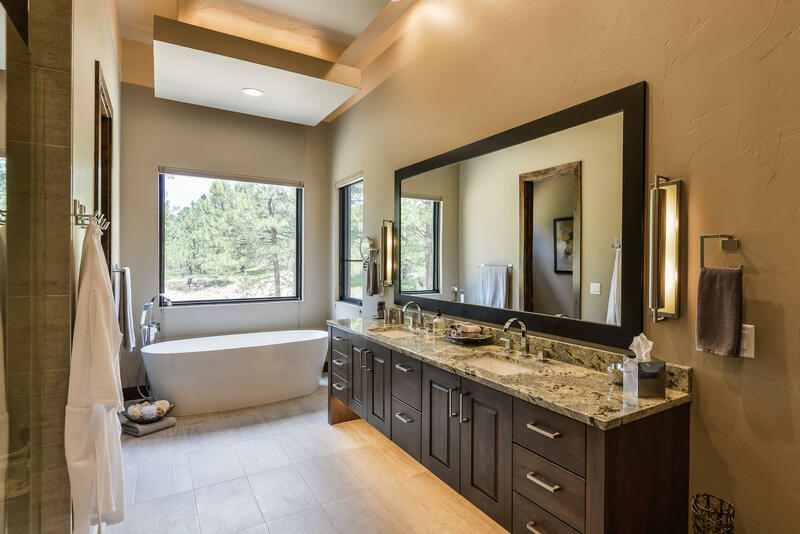 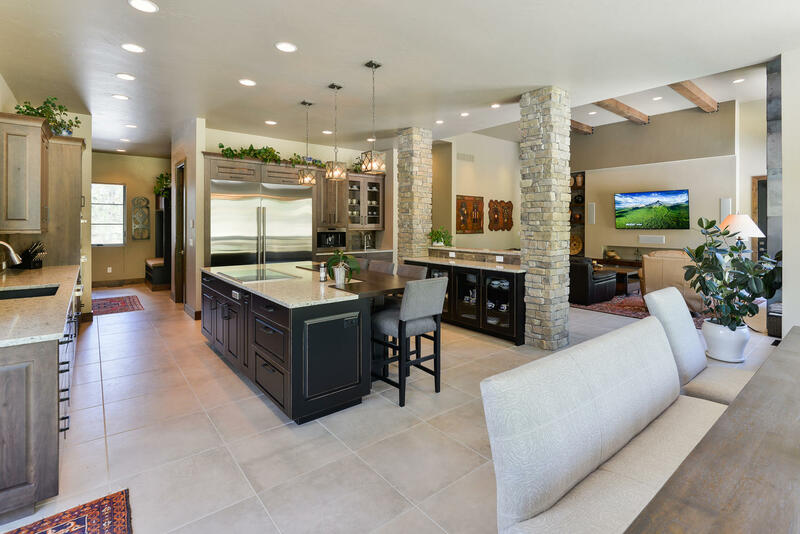 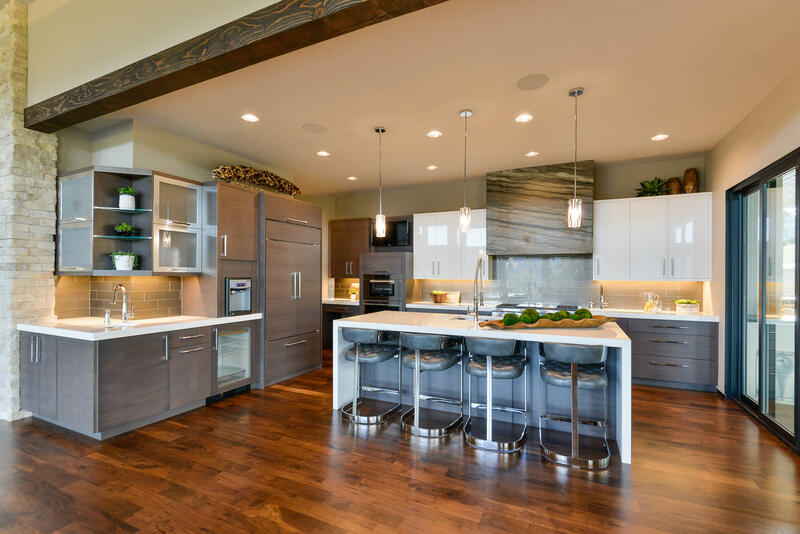 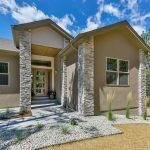 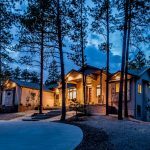 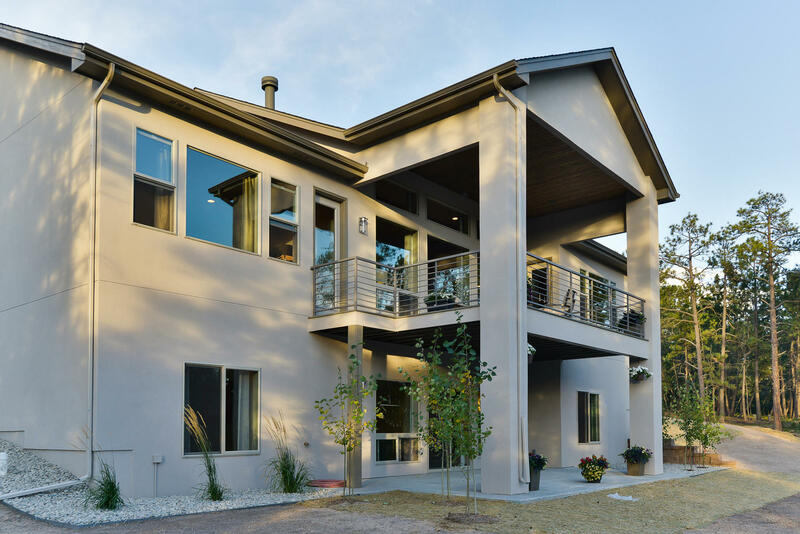 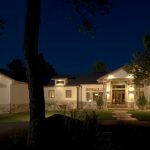 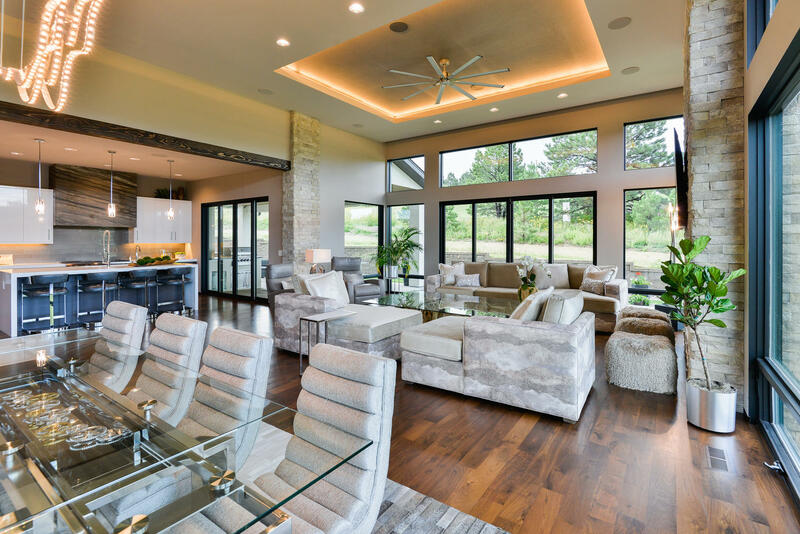 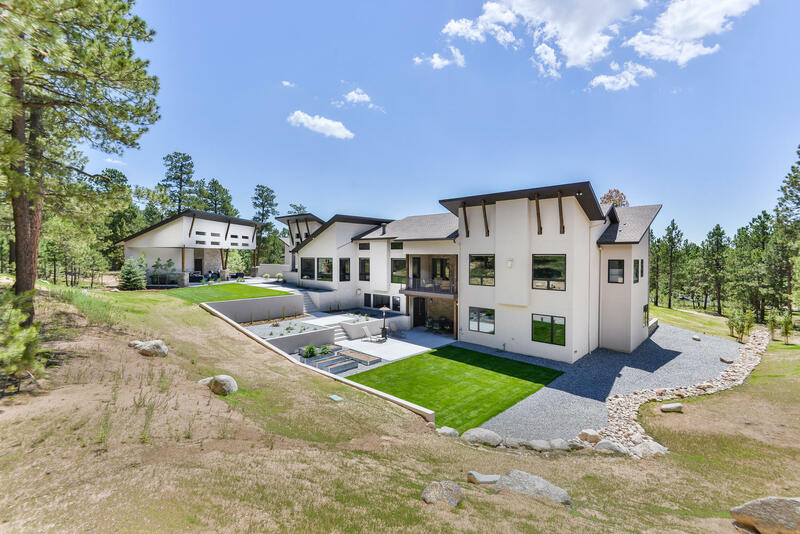 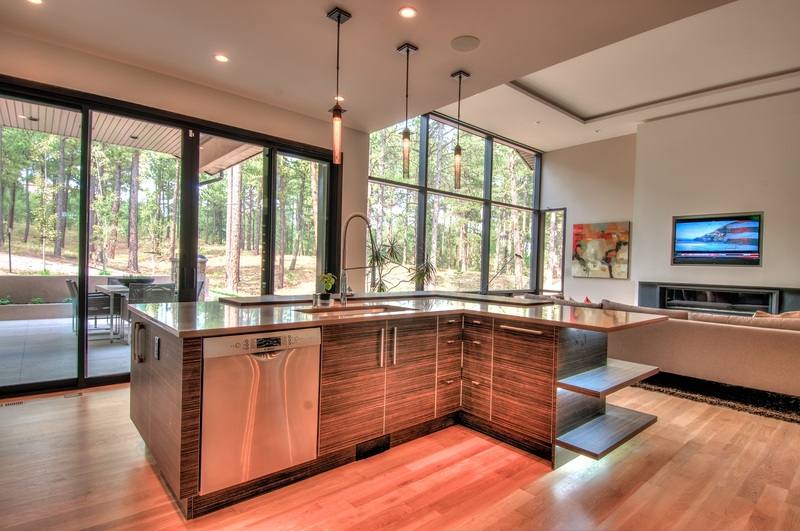 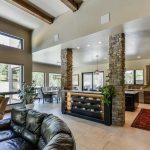 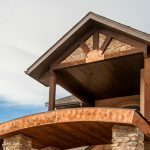 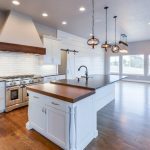 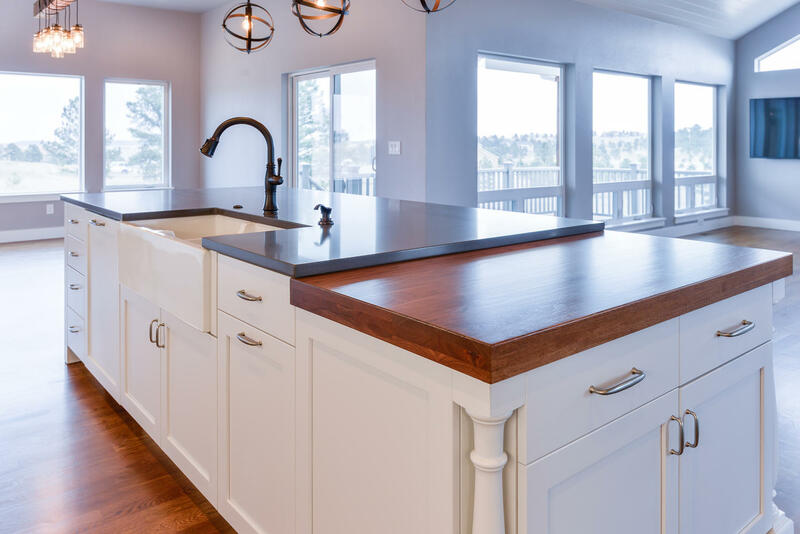 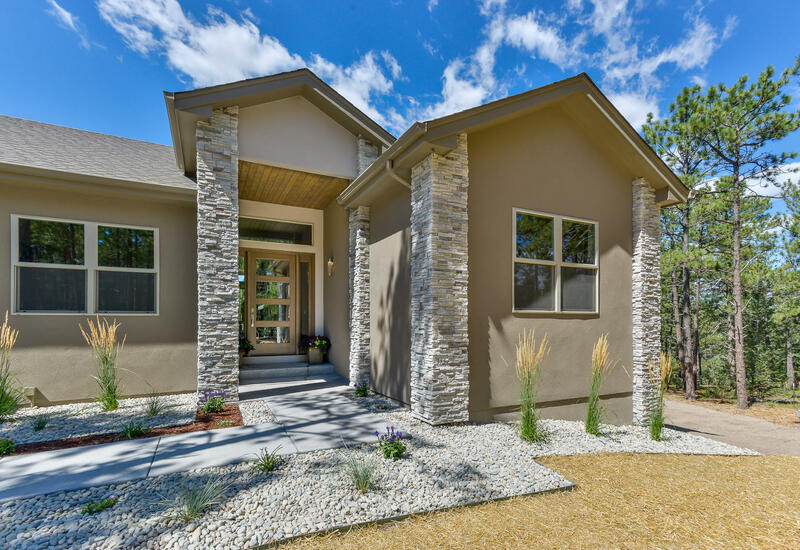 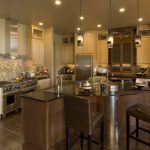 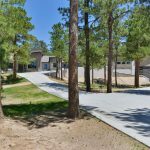 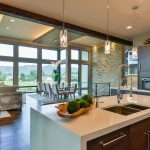 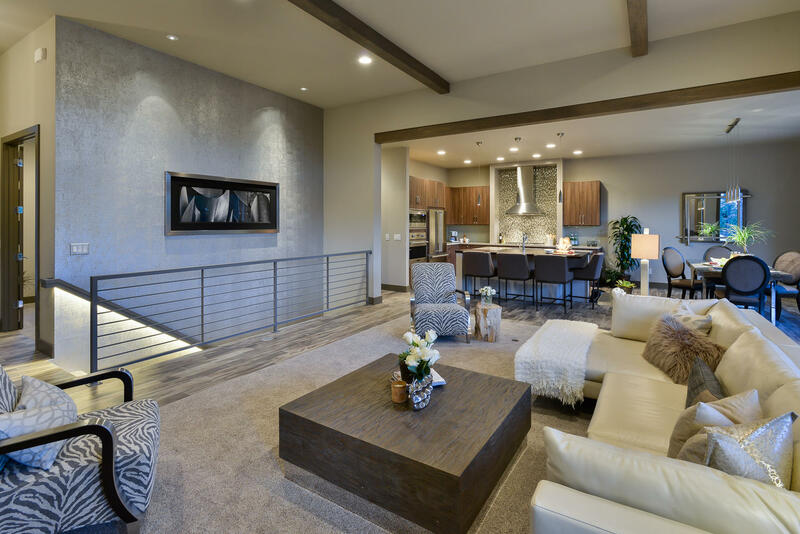 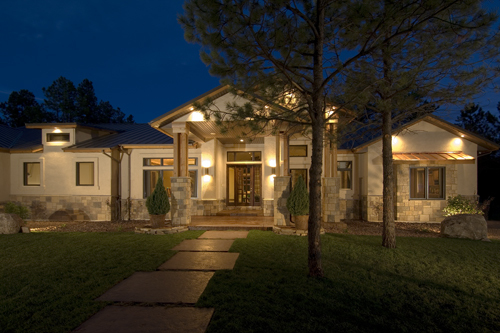 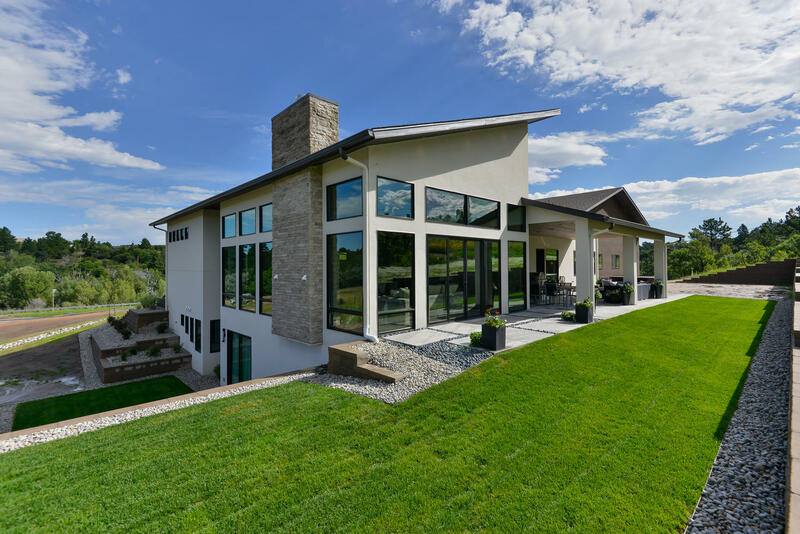 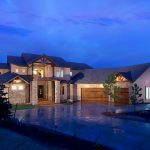 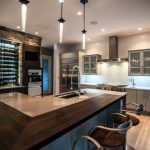 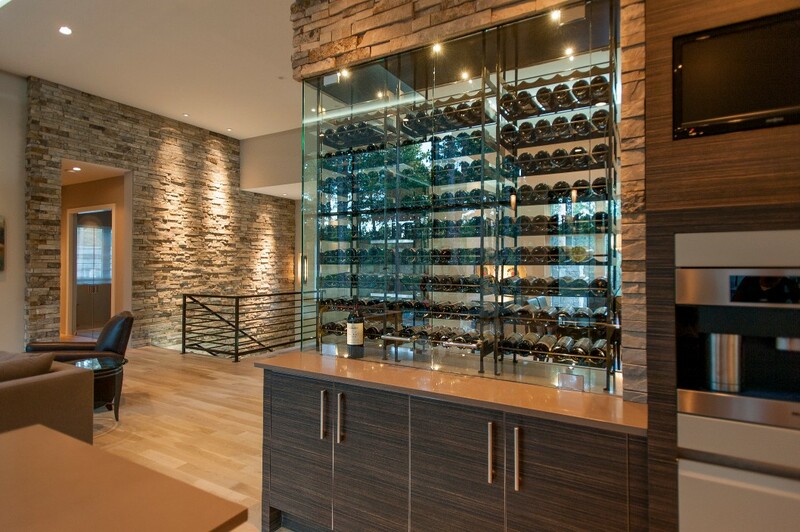 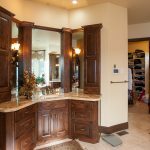 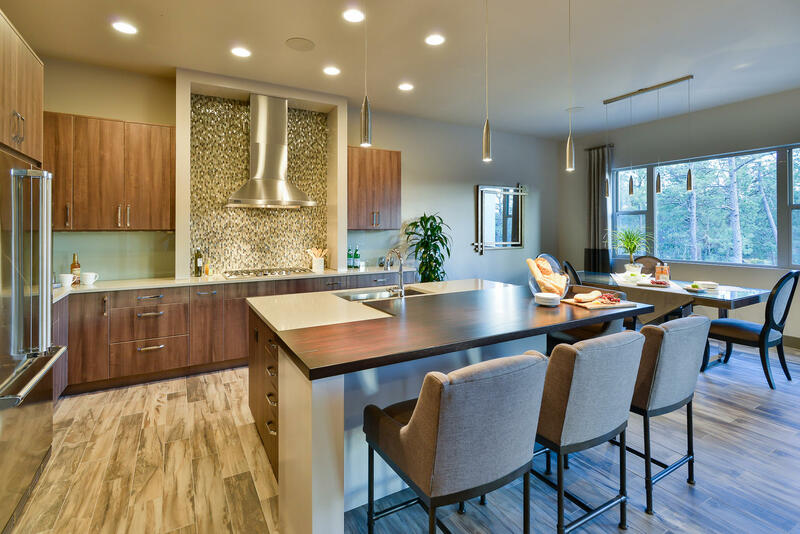 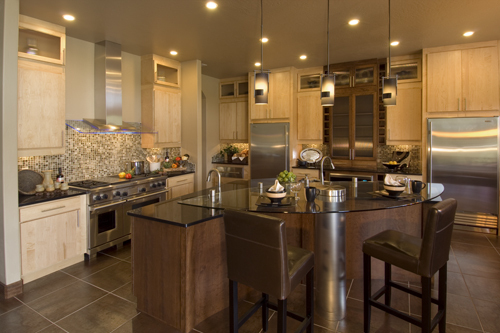 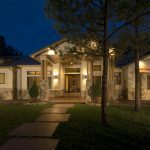 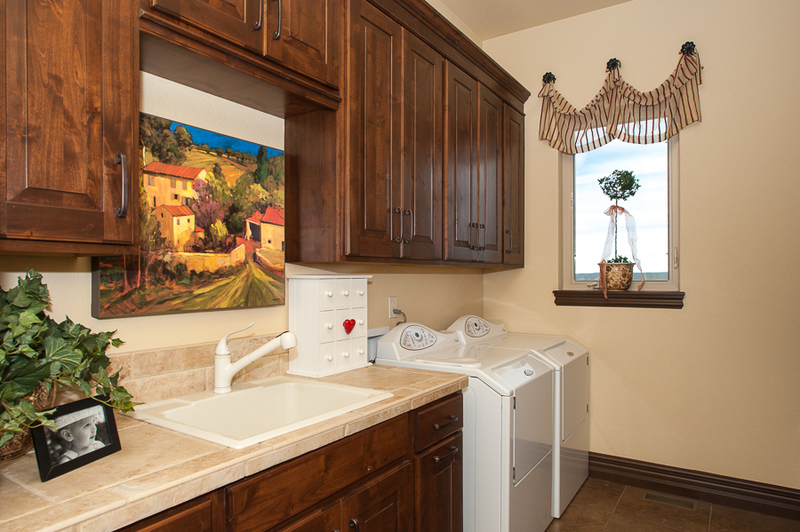 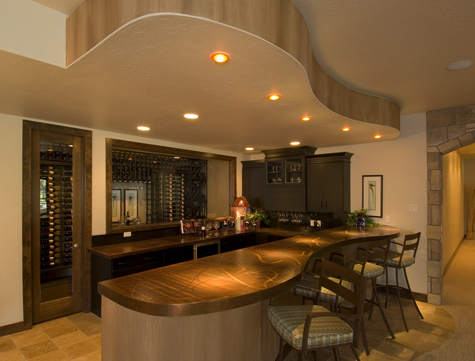 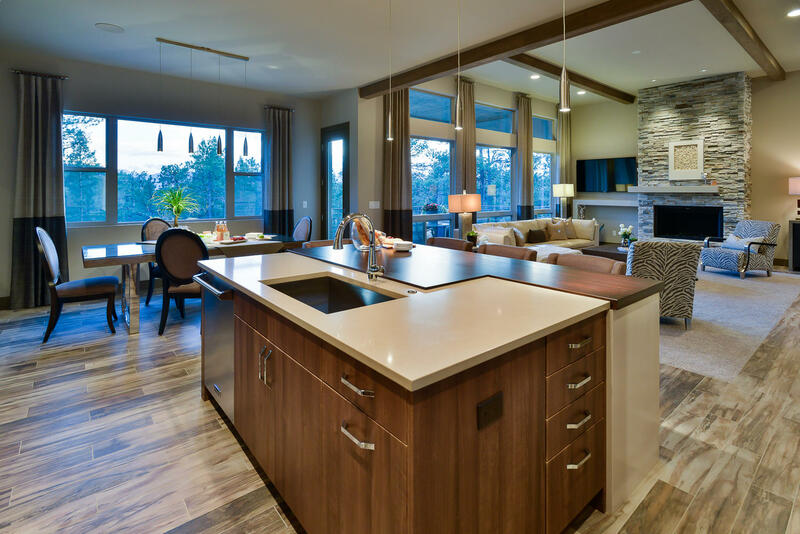 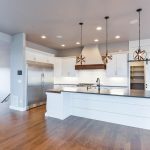 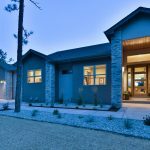 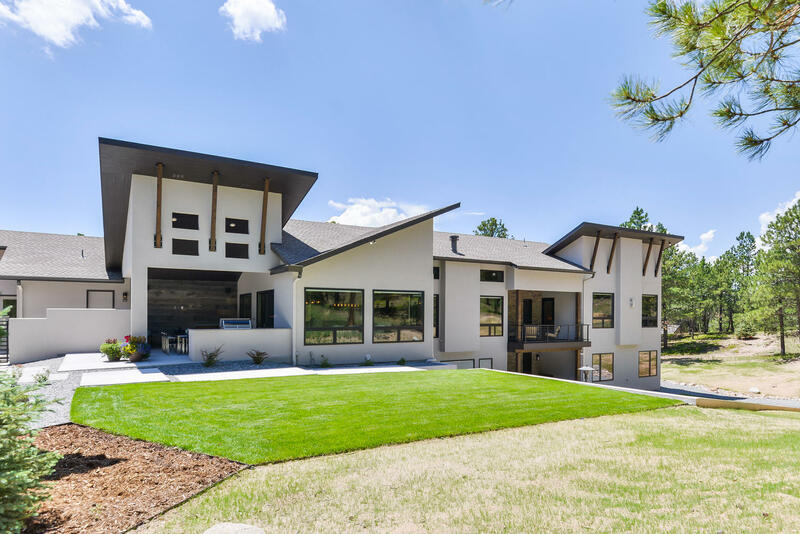 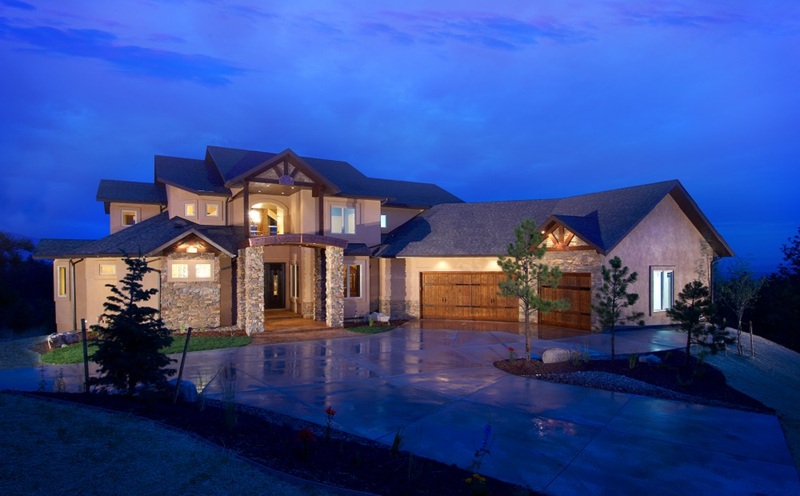 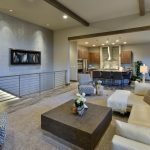 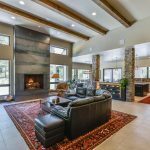 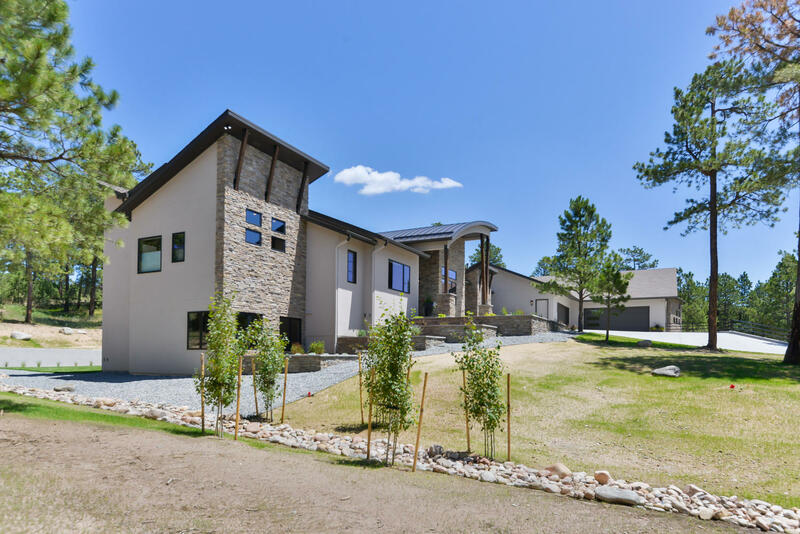 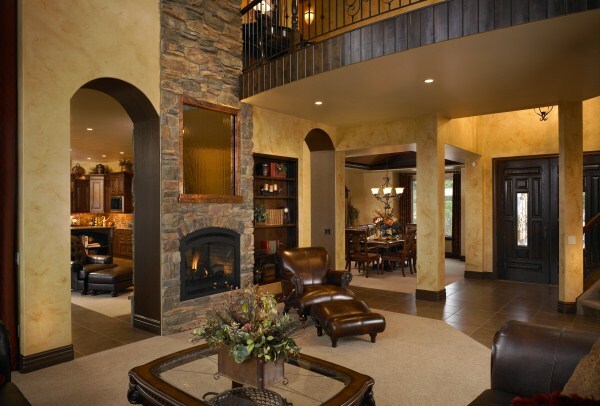 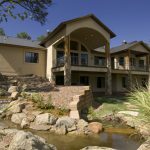 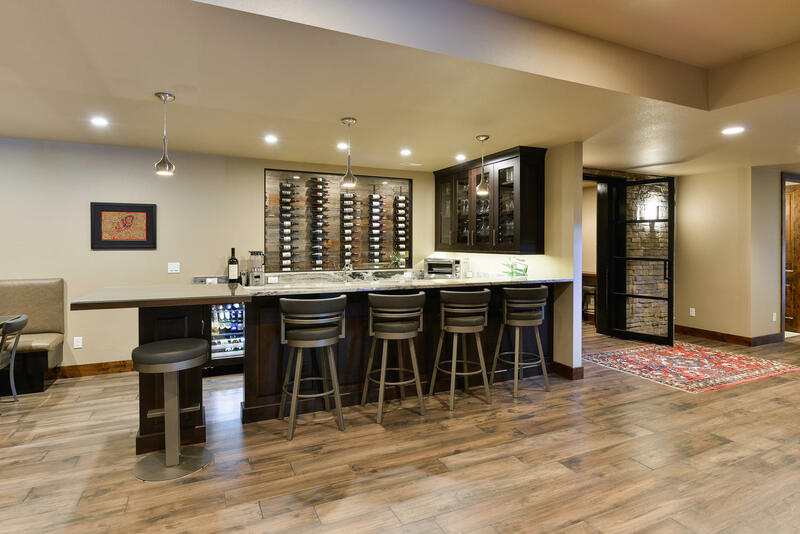 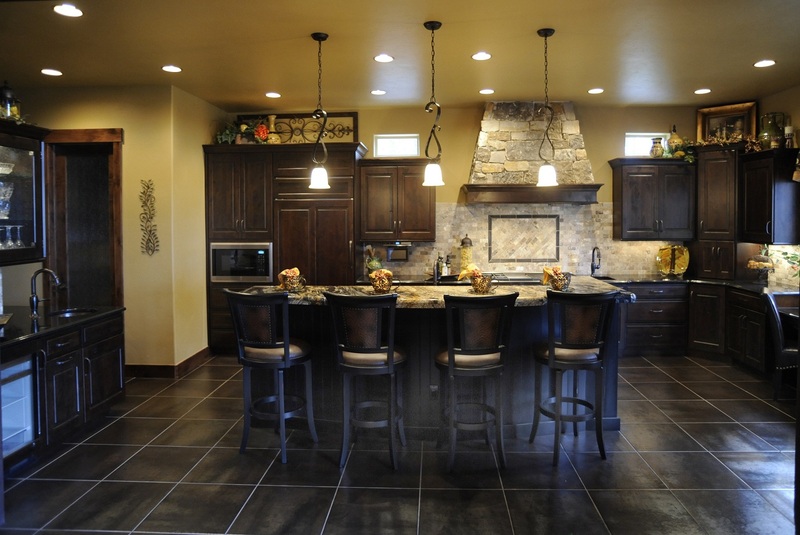 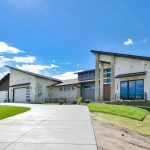 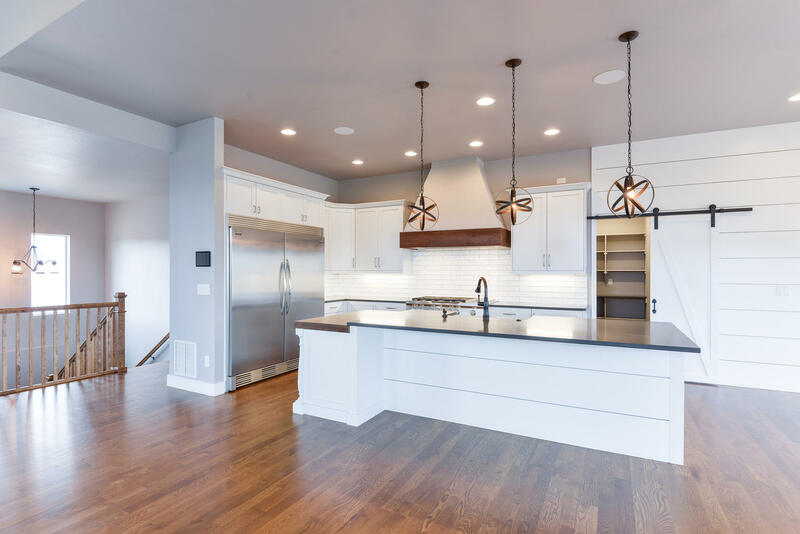 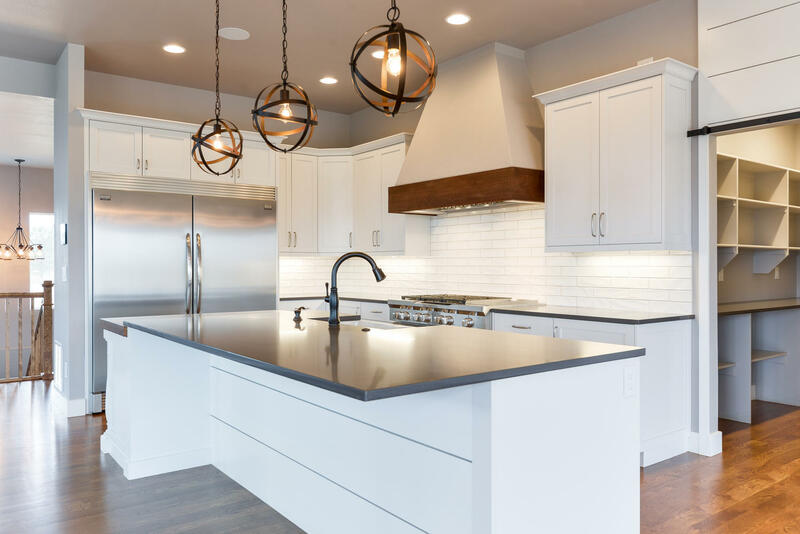 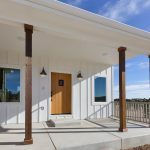 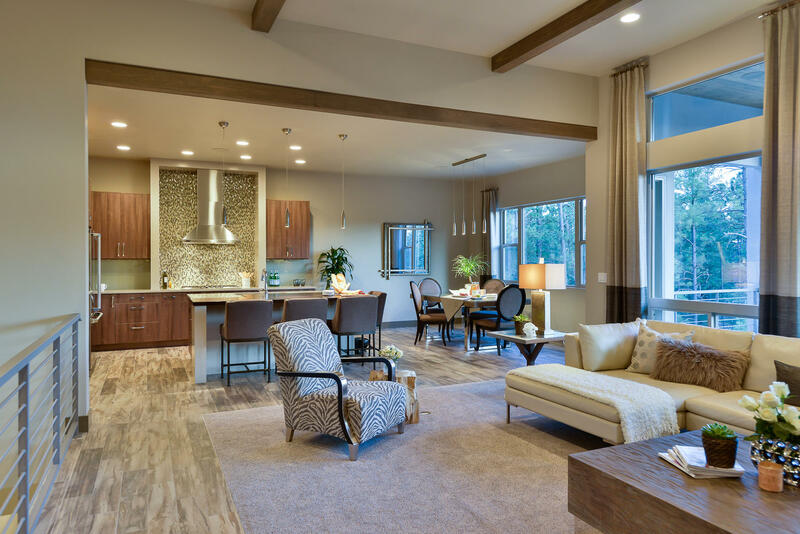 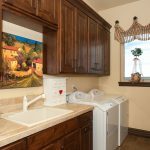 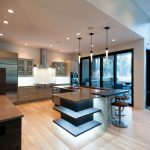 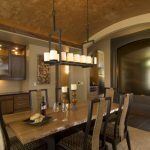 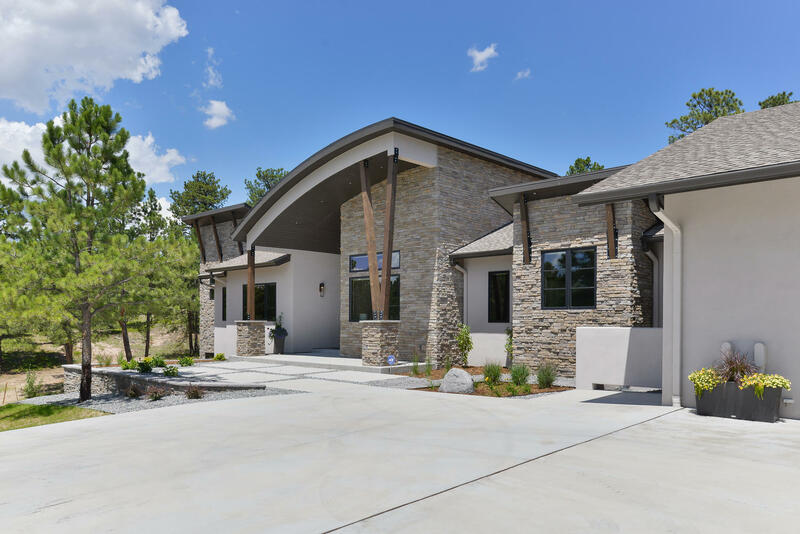 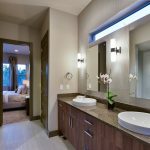 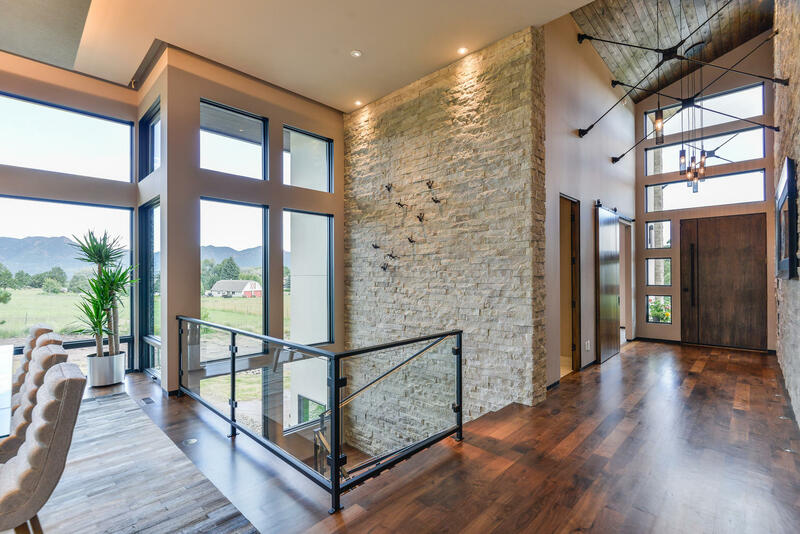 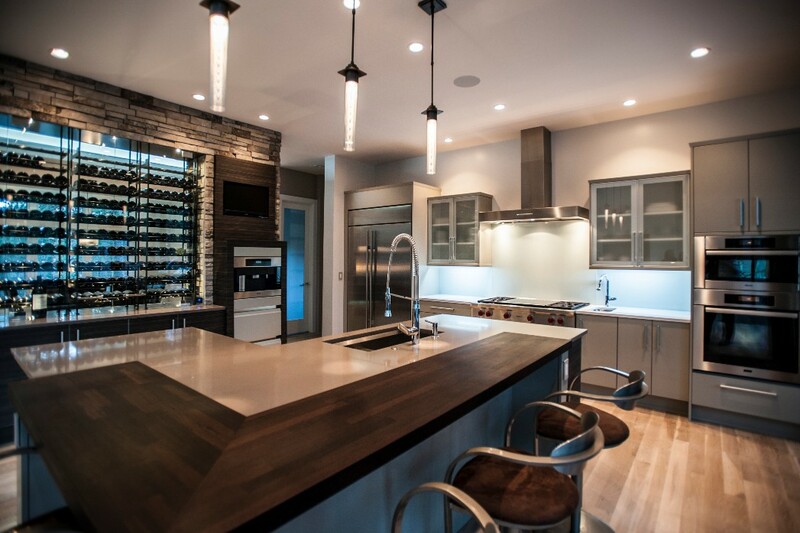 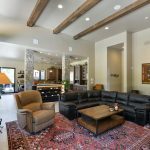 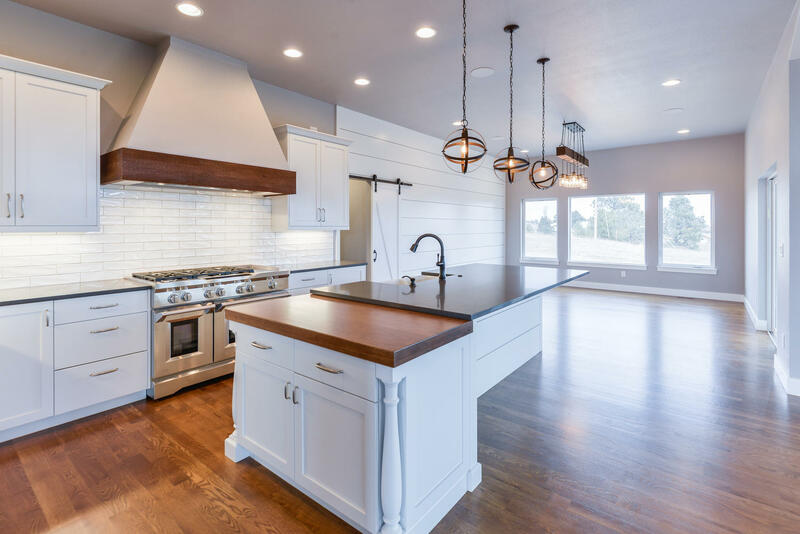 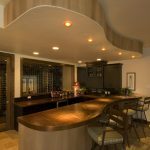 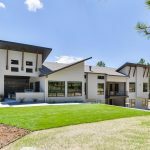 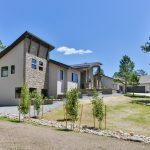 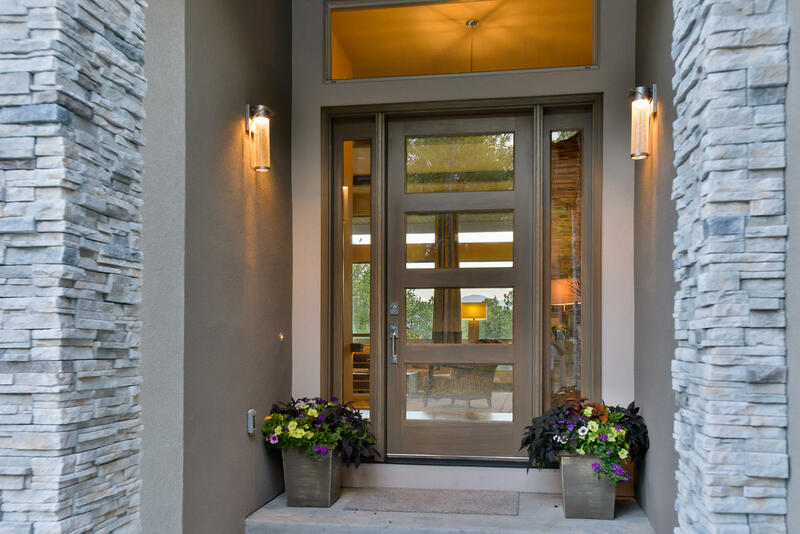 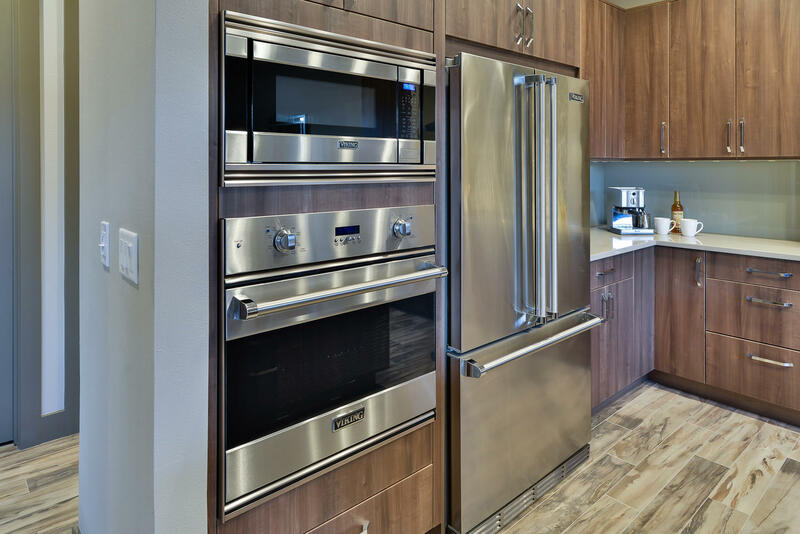 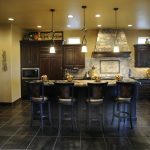 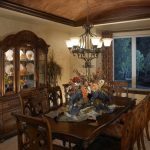 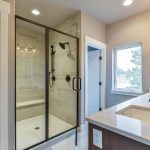 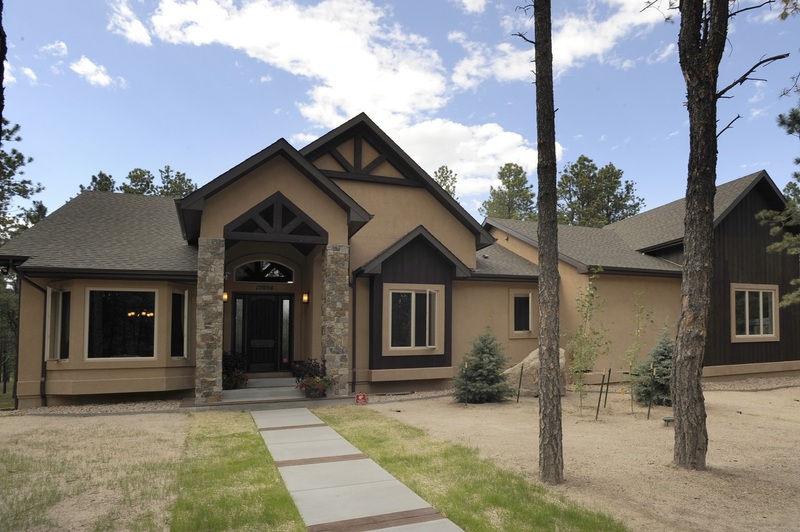 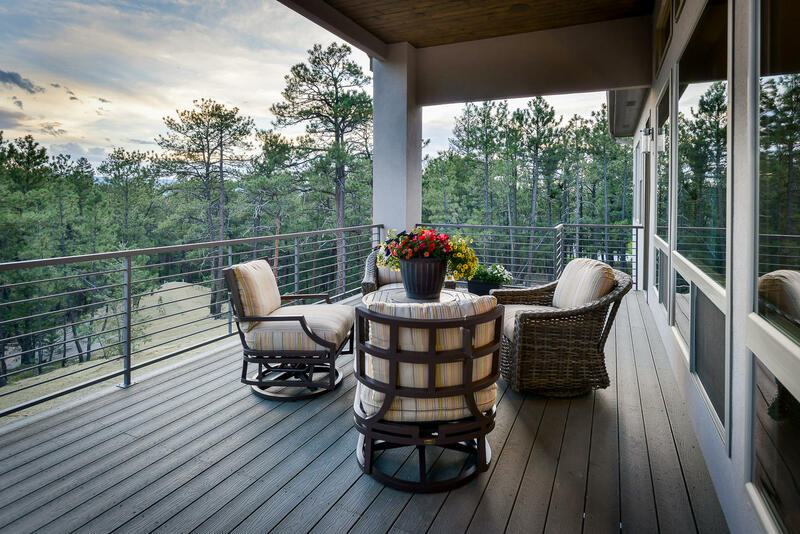 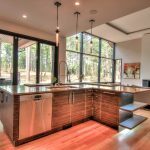 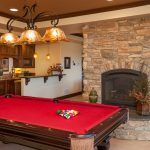 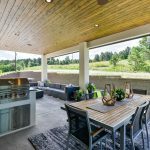 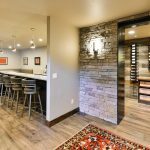 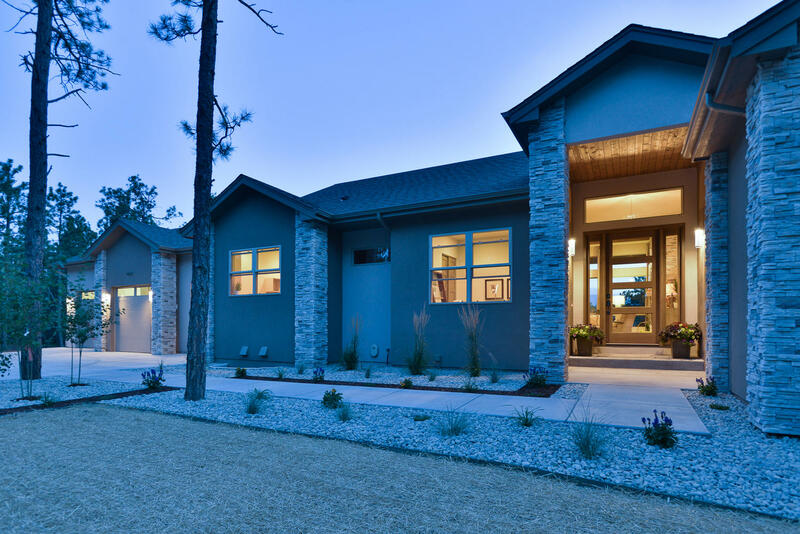 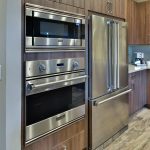 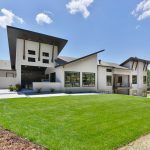 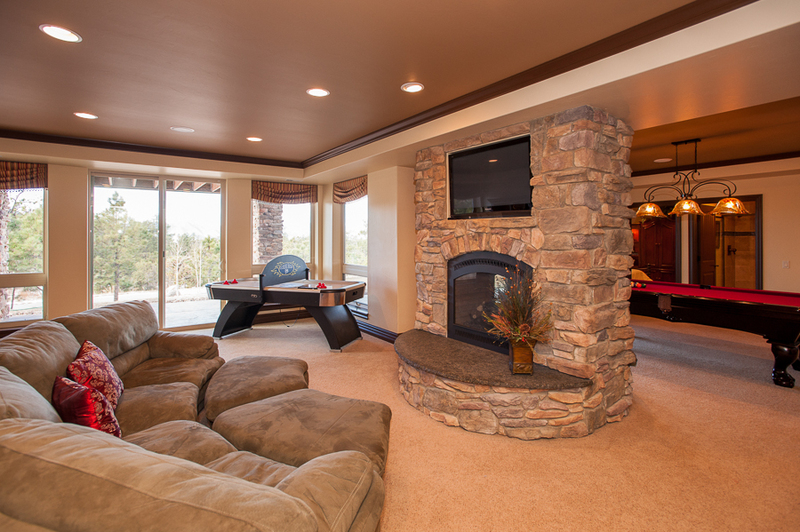 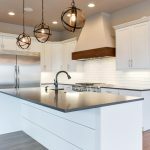 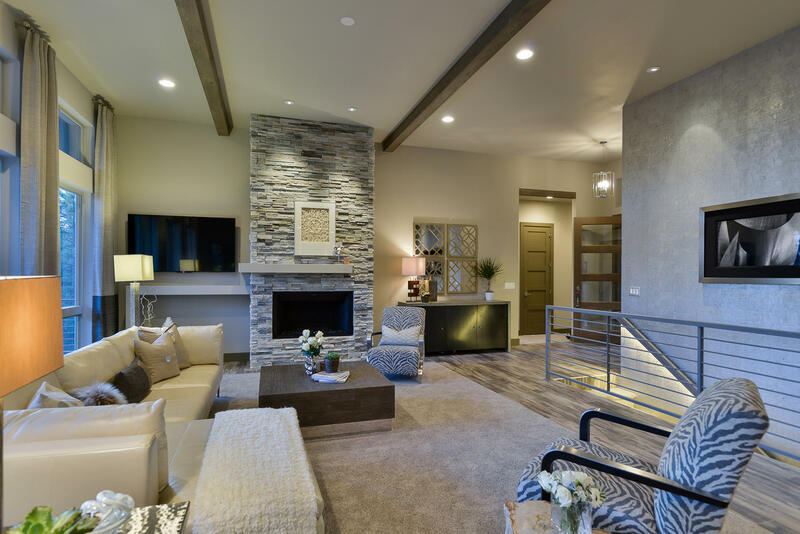 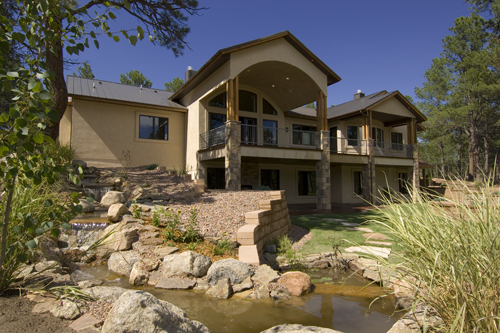 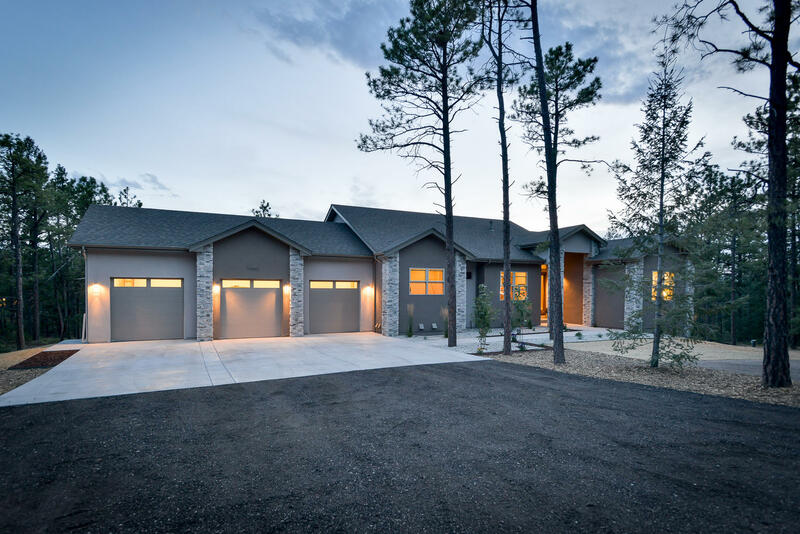 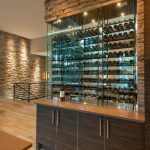 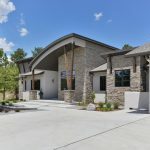 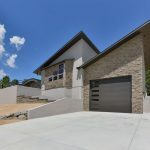 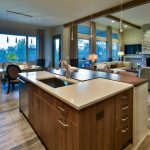 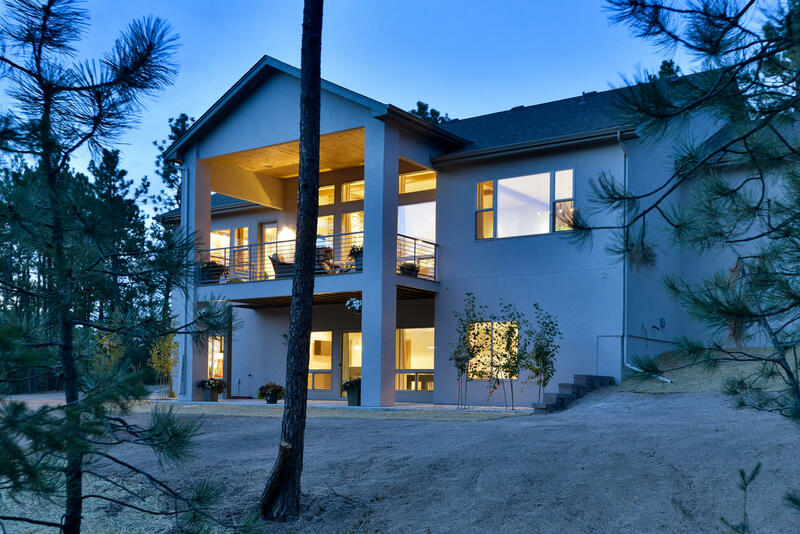 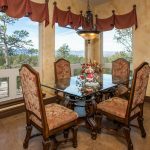 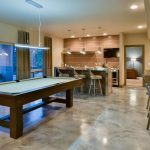 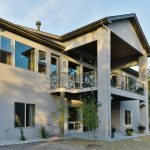 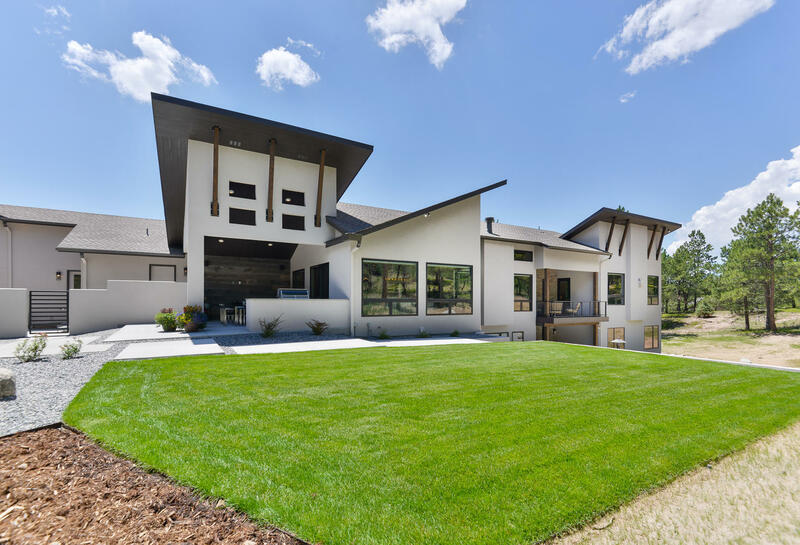 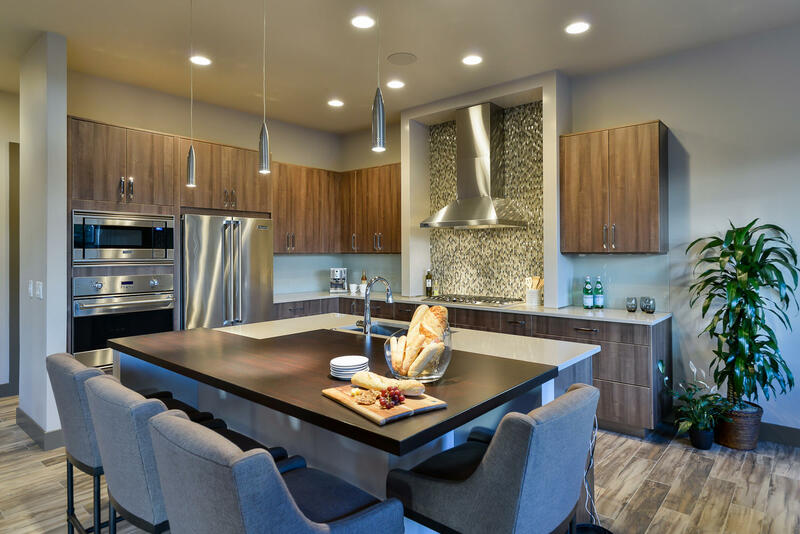 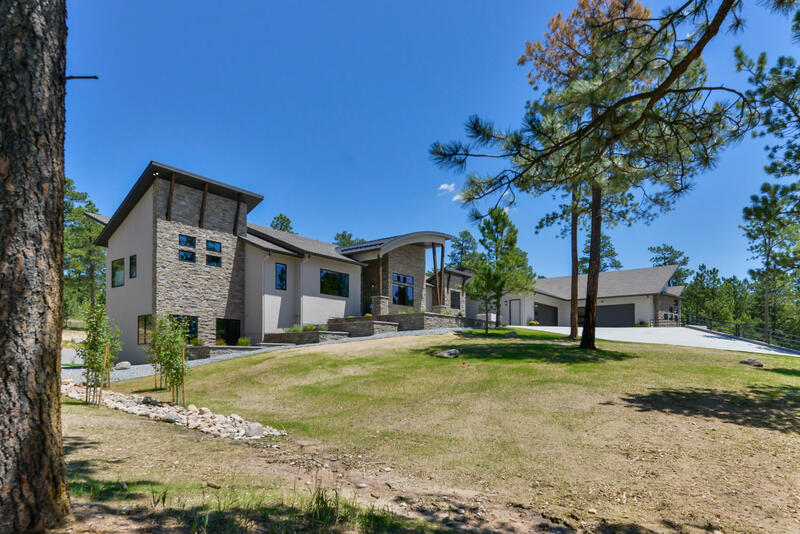 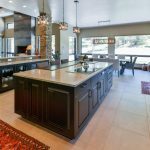 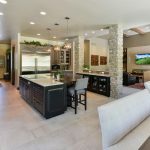 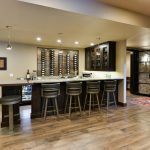 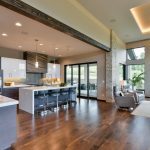 With each of the three Colorado Springs HBA Parade of Homes™ they’ve entered (2007, 2008 and 2011), Steve and Tiffany Overholser, have swept the awards in their categories from Best Floorplan, Best Kitchen, Best Interior Design, to the coveted Peoples’ Choice Award. 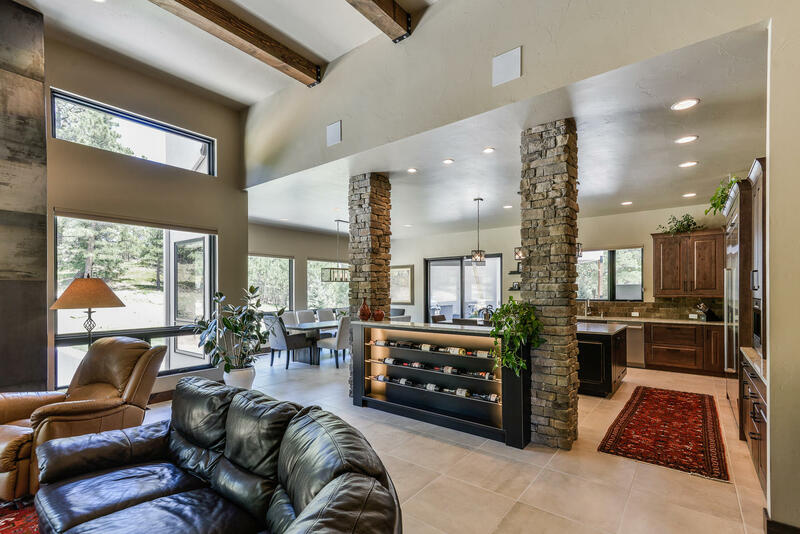 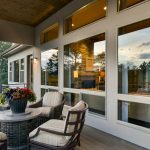 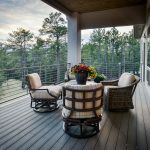 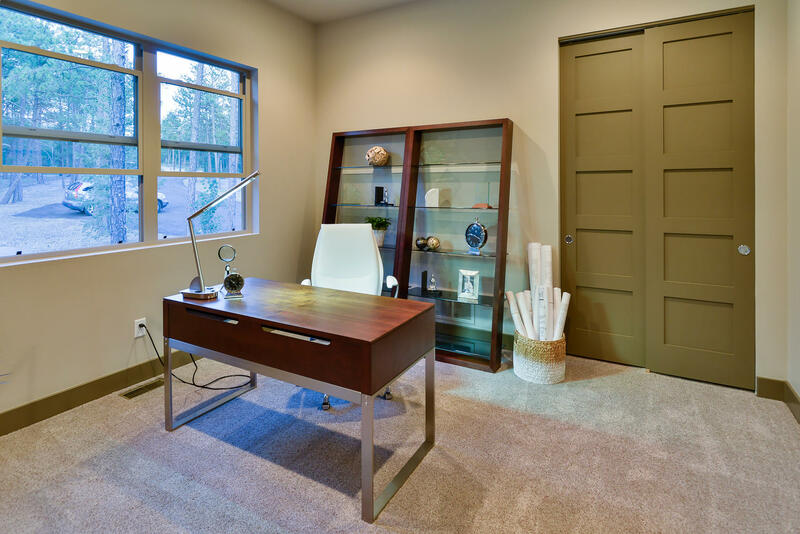 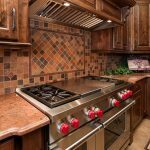 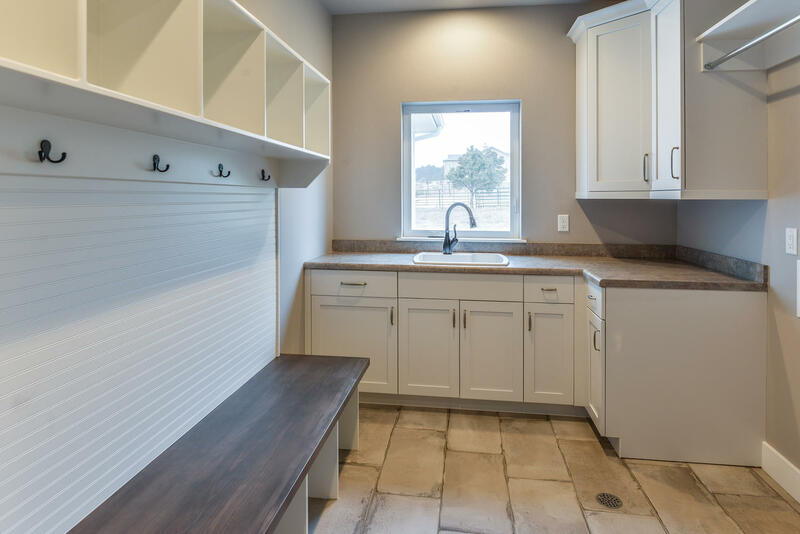 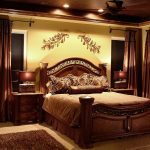 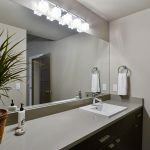 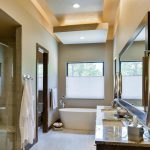 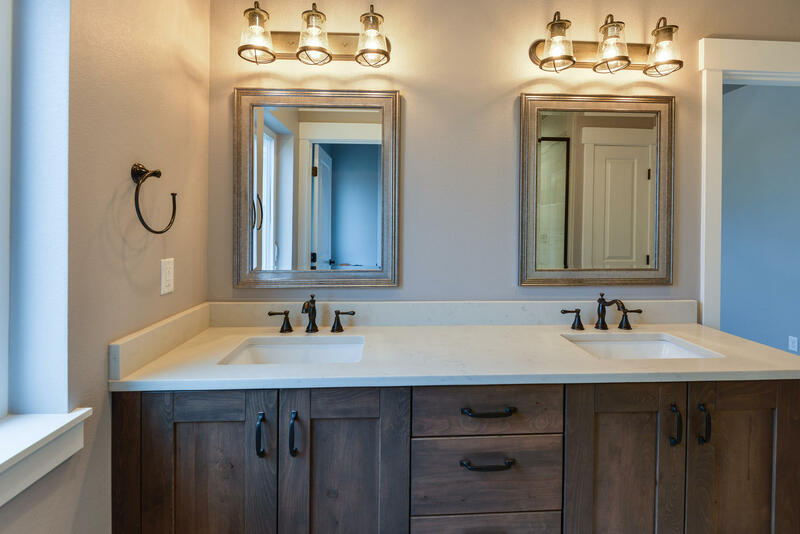 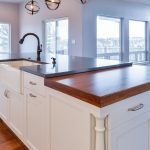 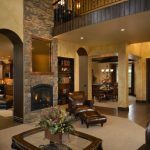 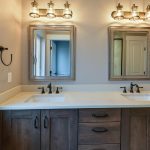 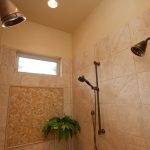 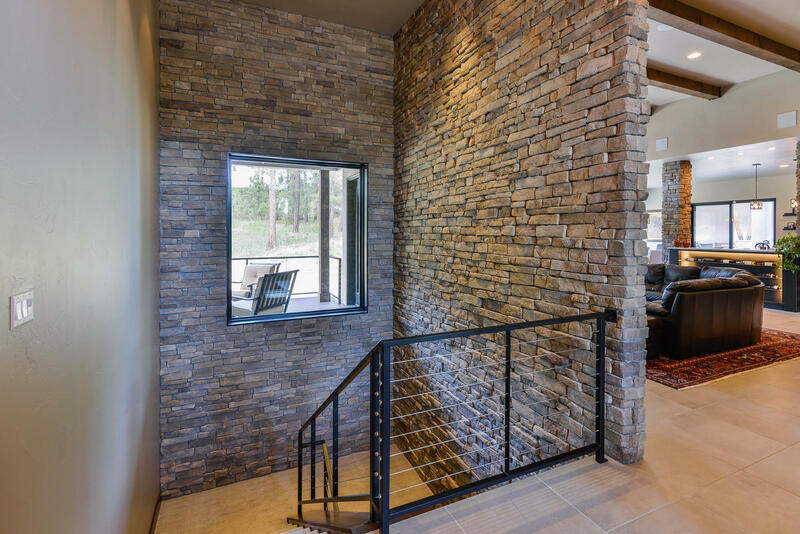 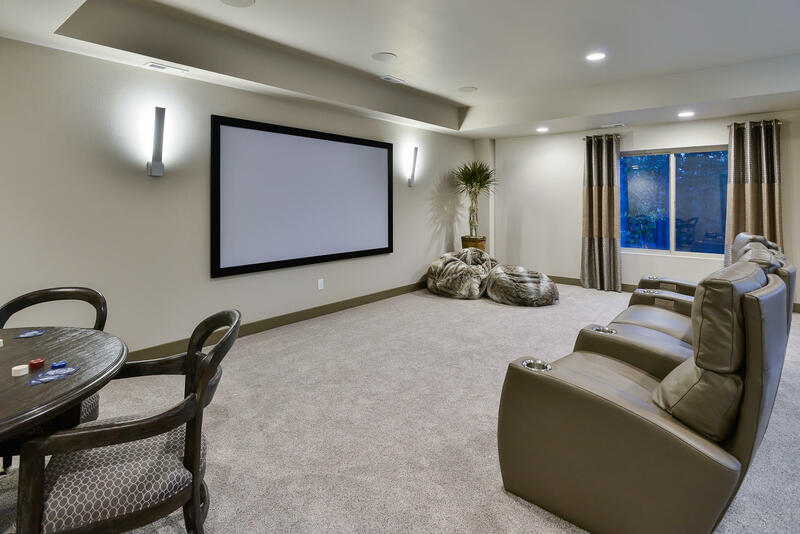 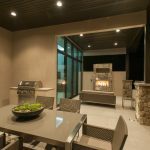 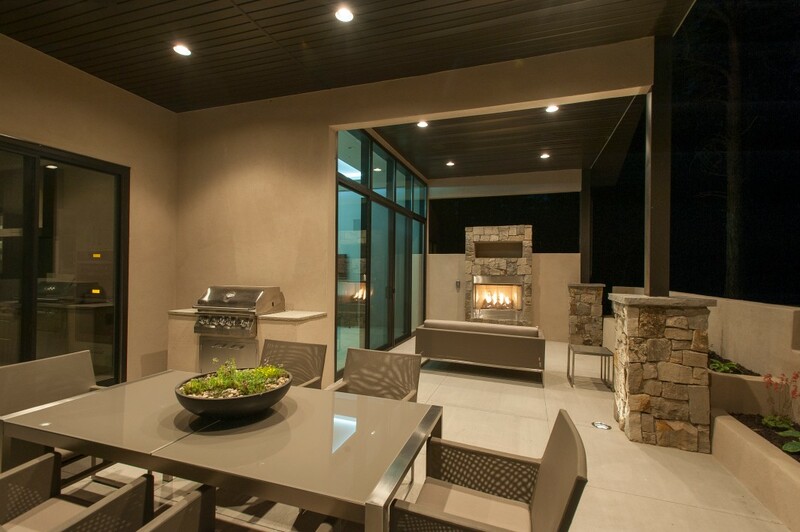 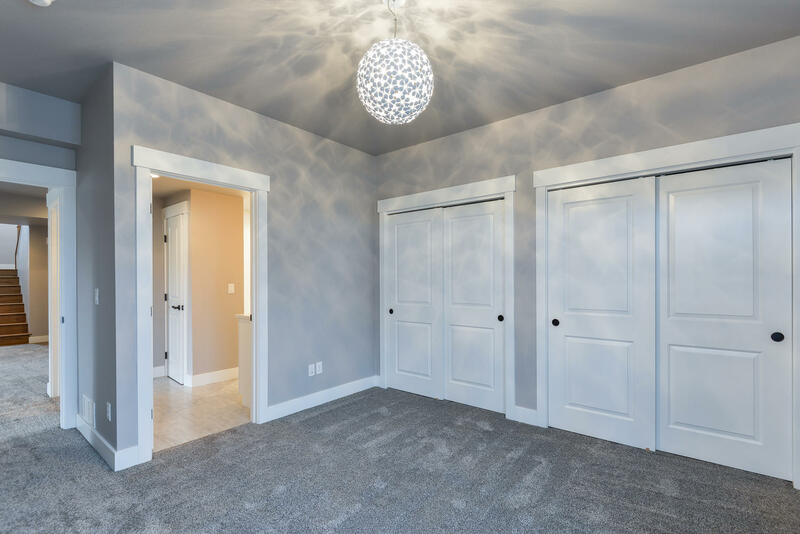 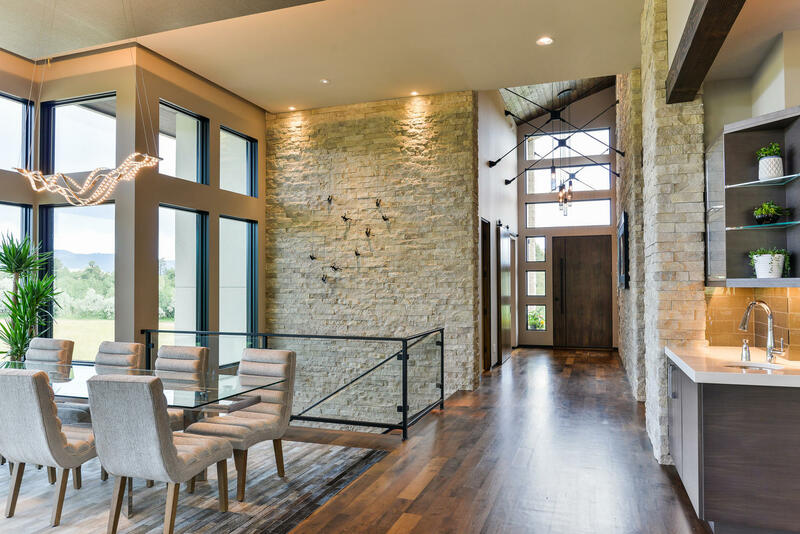 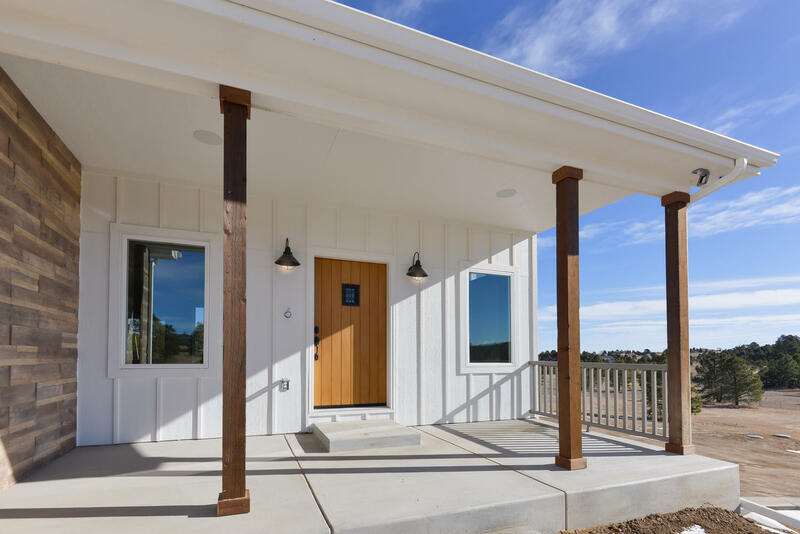 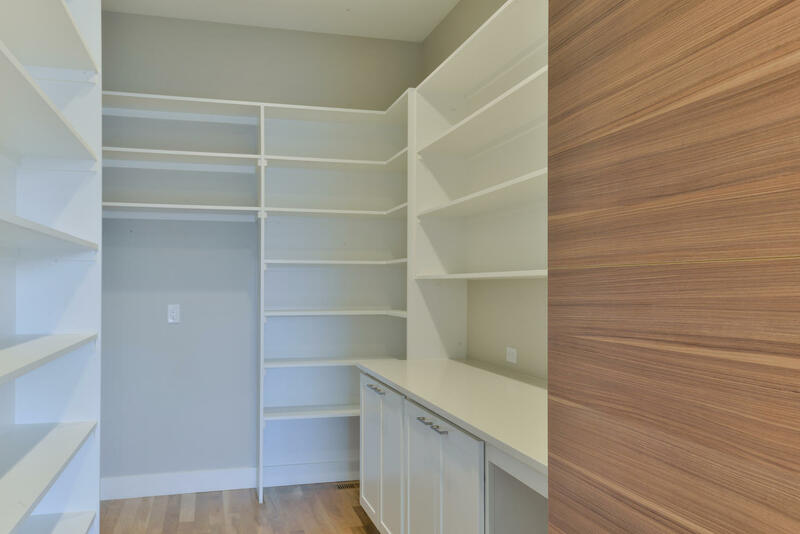 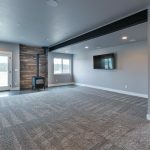 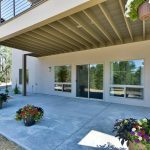 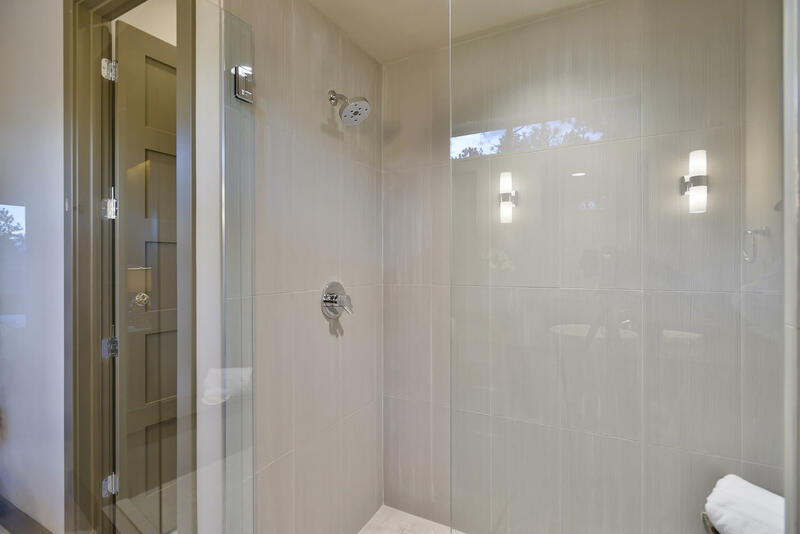 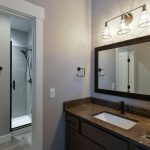 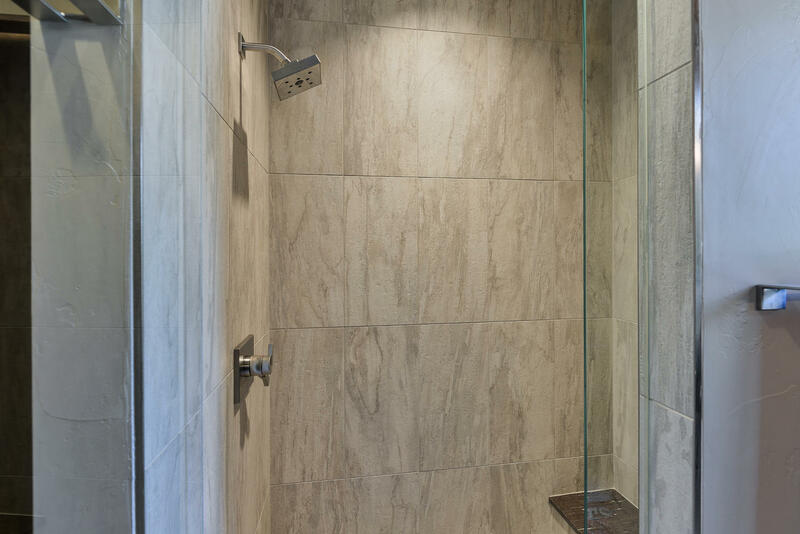 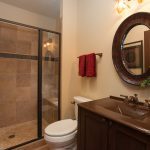 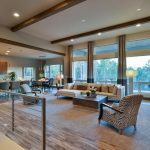 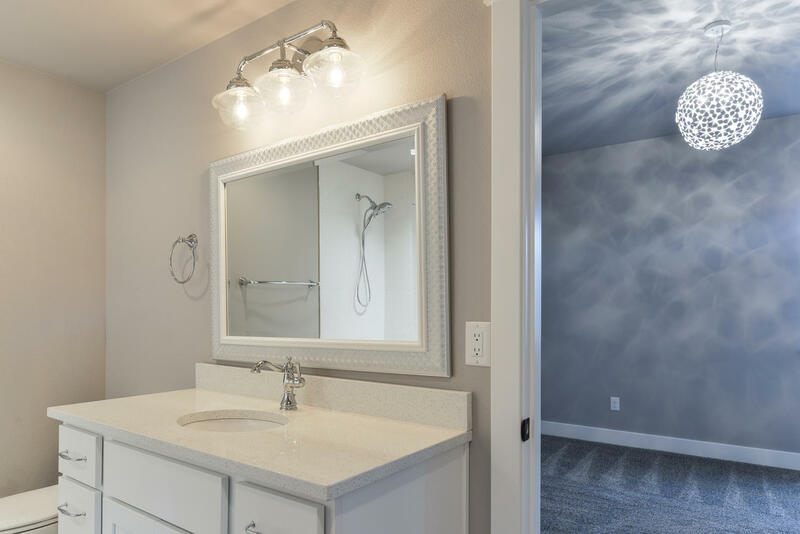 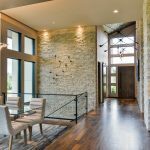 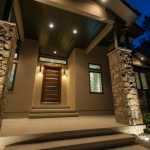 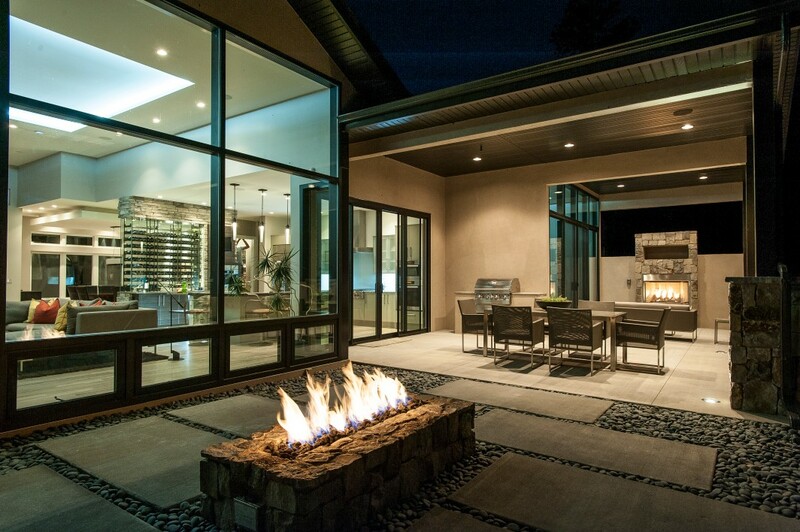 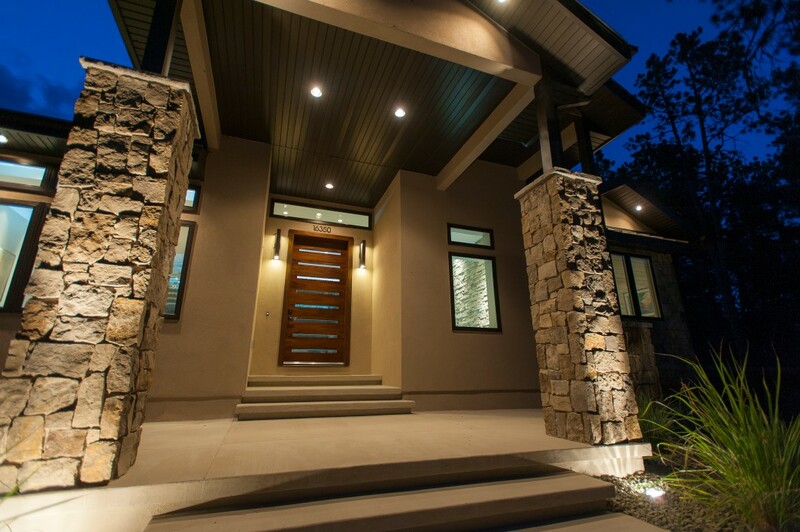 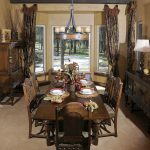 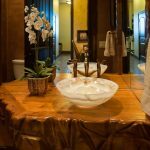 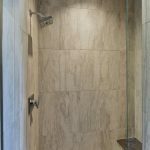 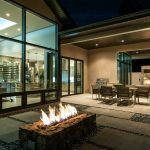 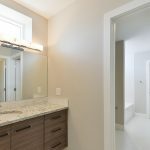 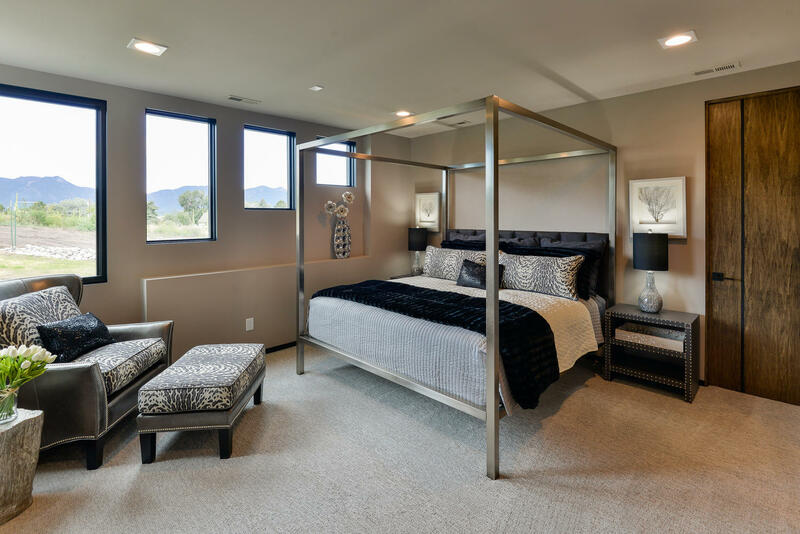 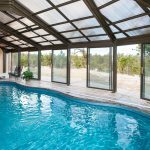 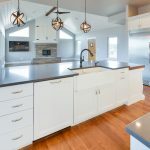 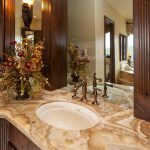 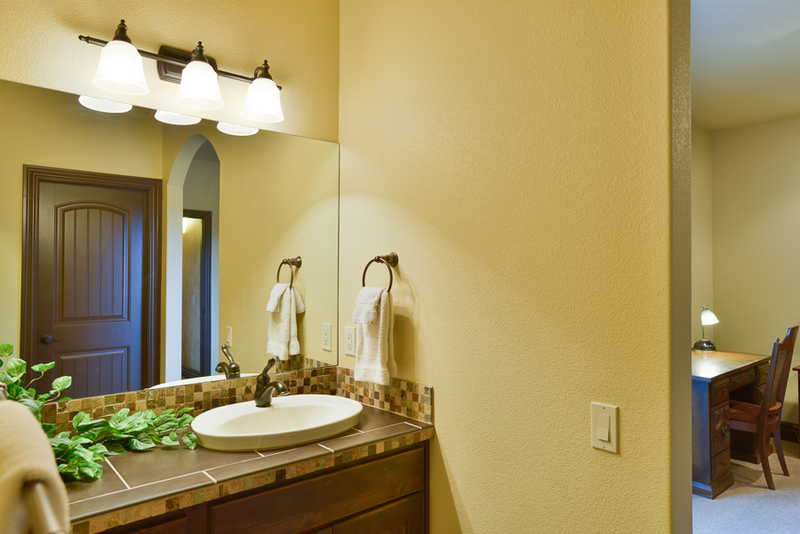 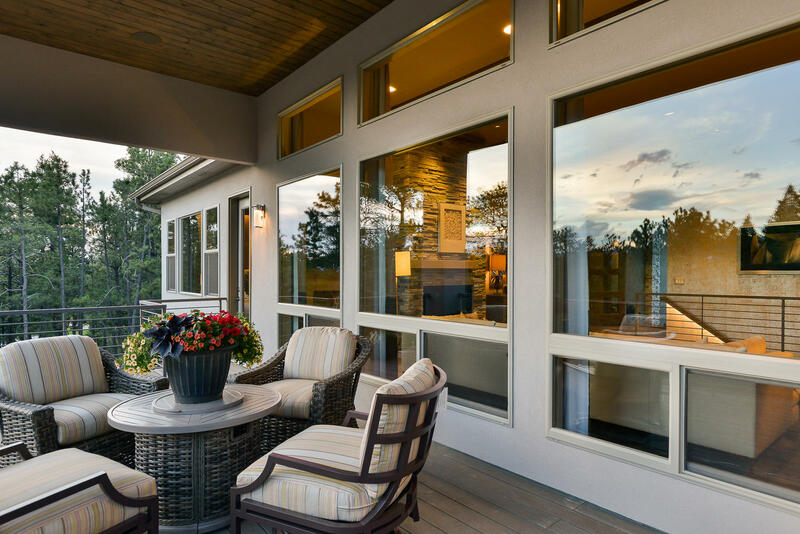 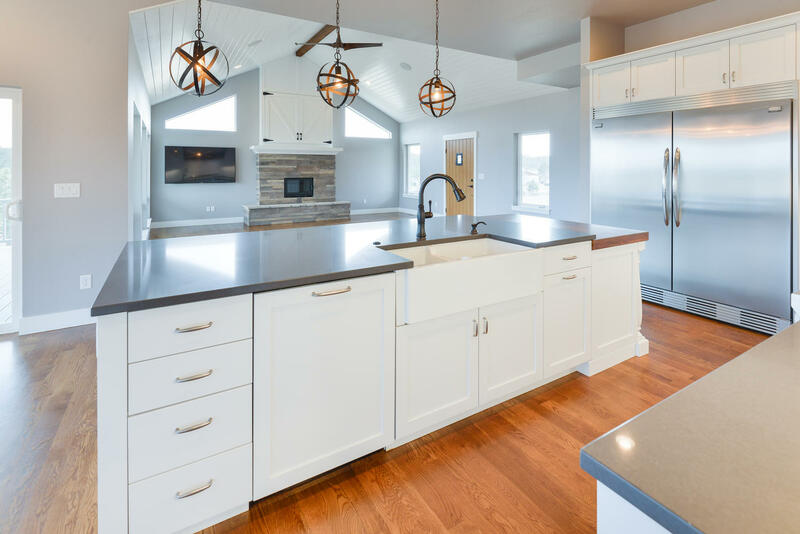 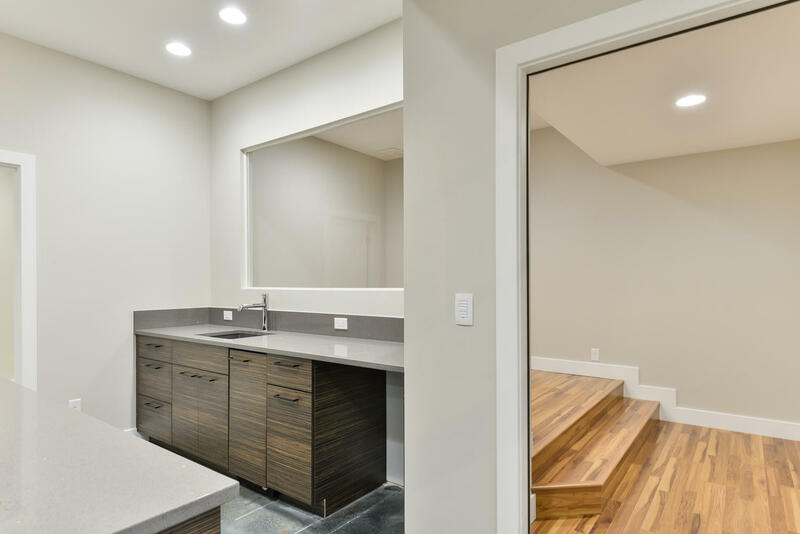 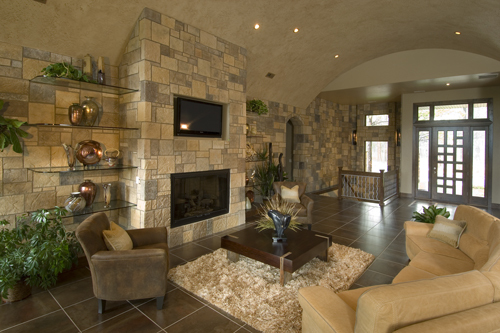 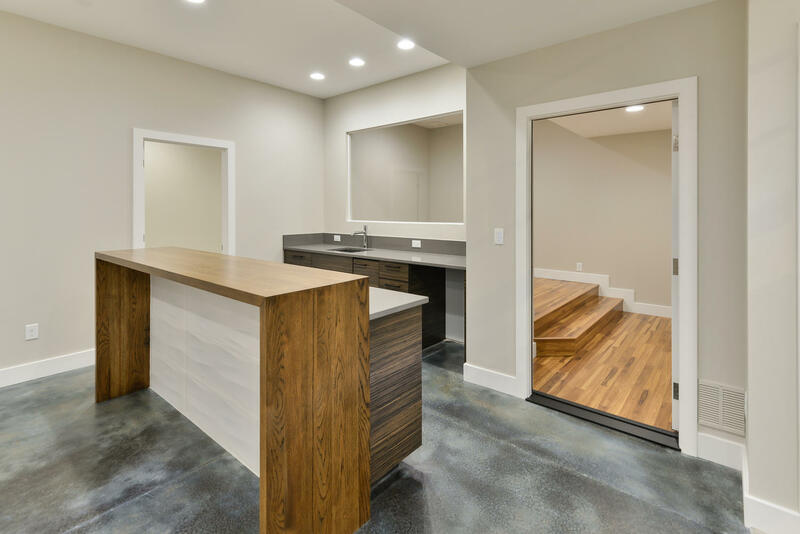 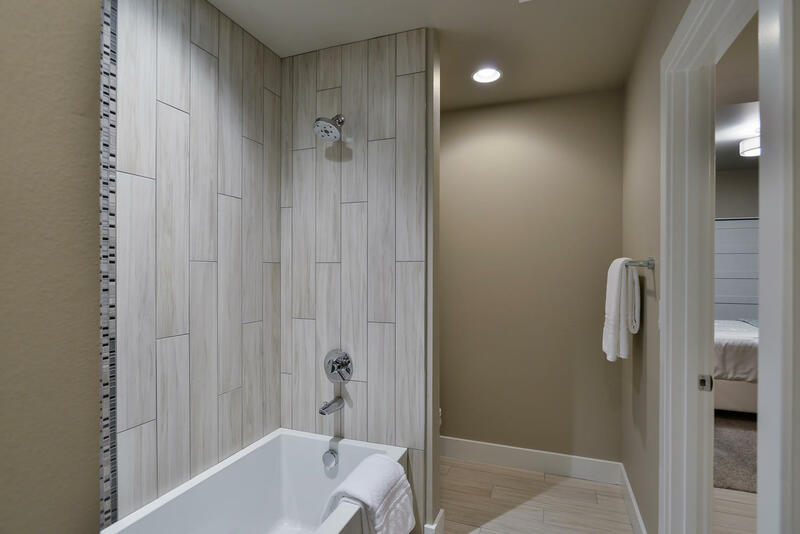 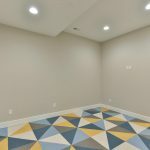 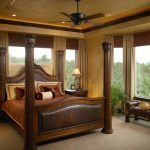 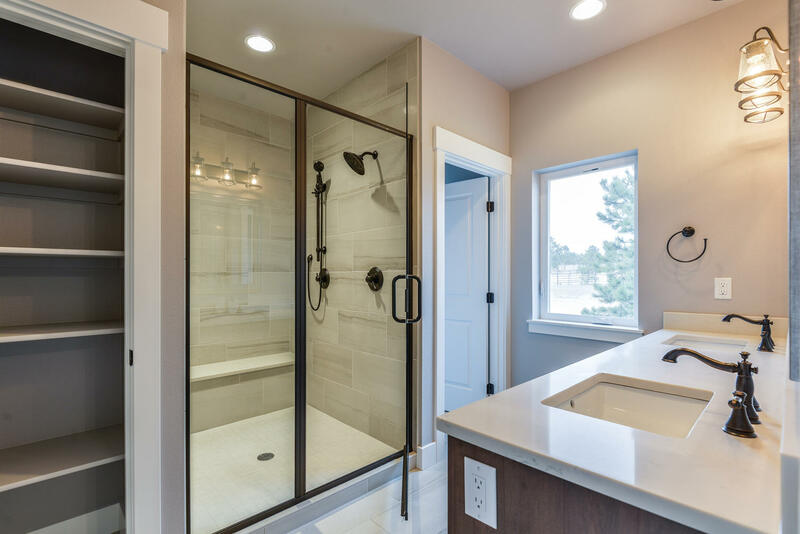 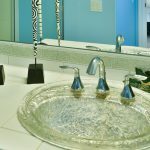 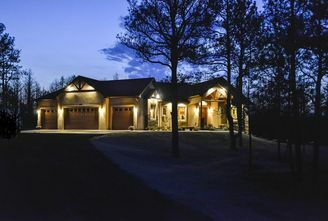 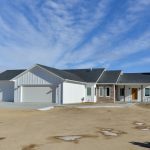 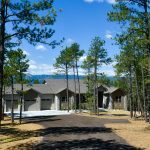 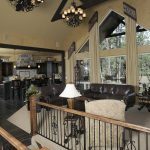 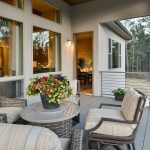 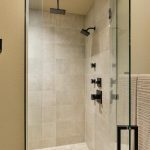 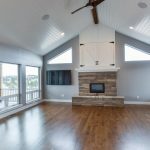 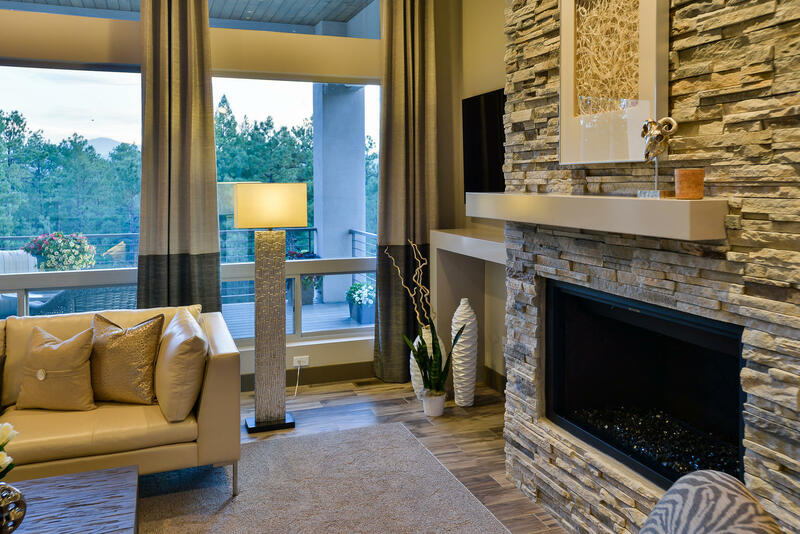 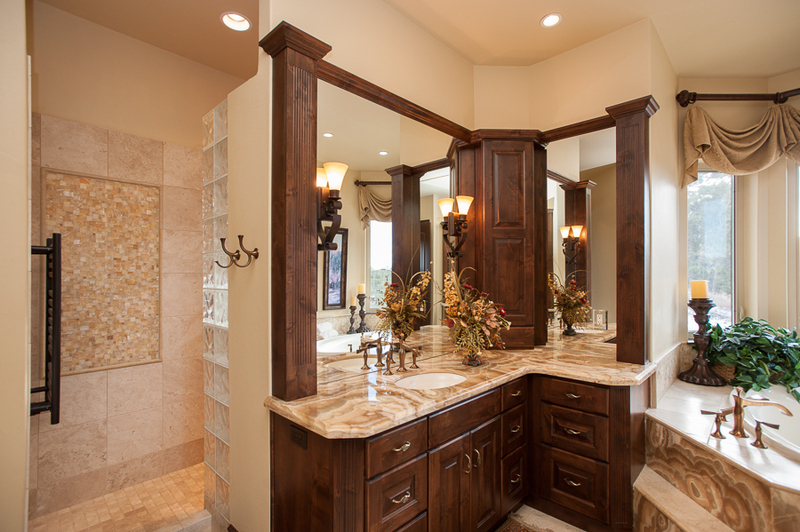 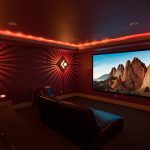 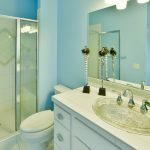 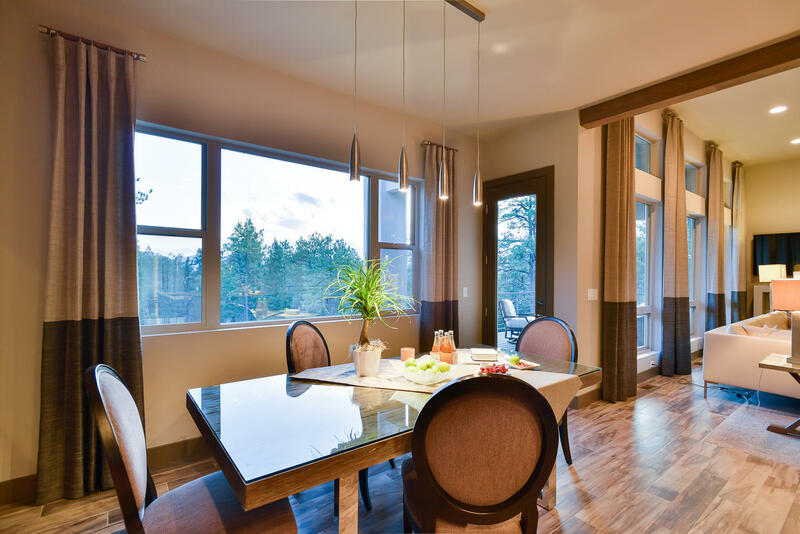 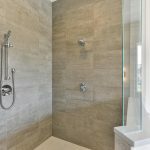 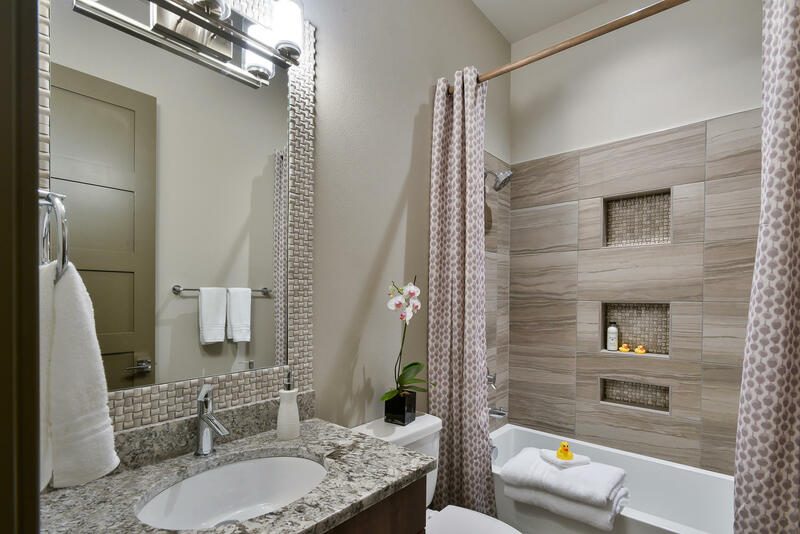 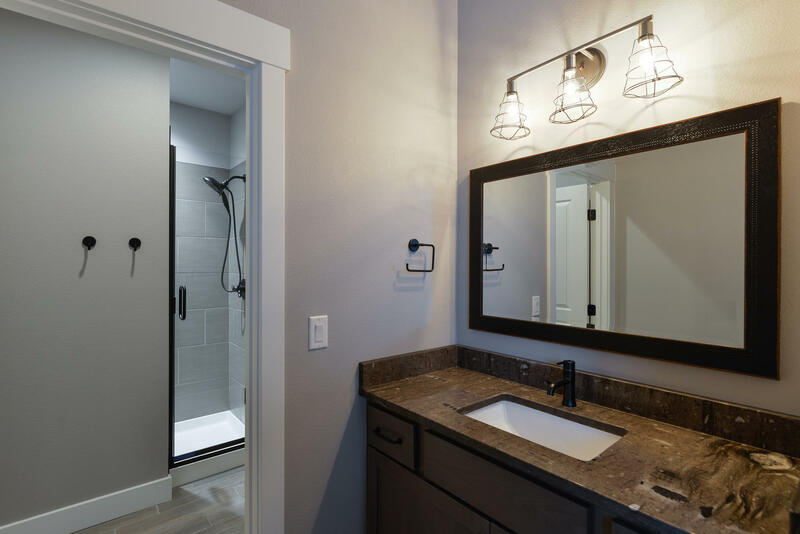 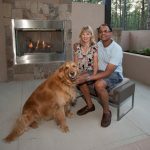 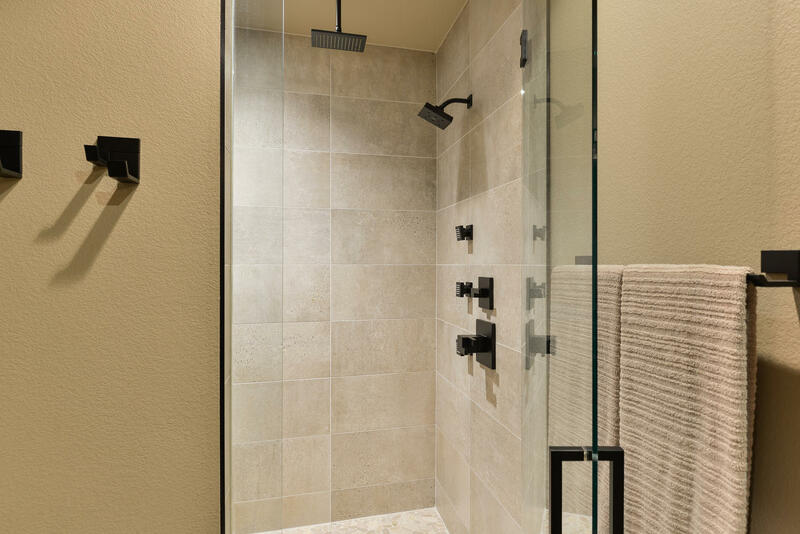 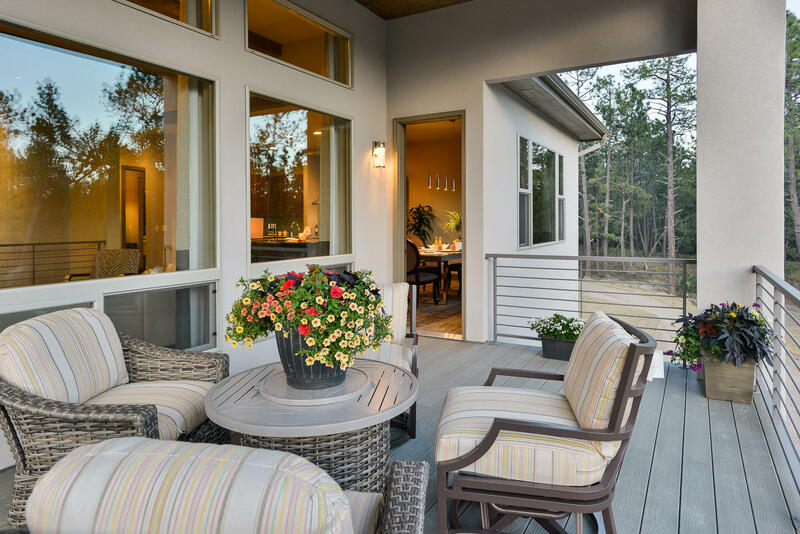 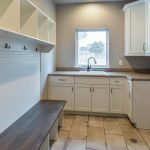 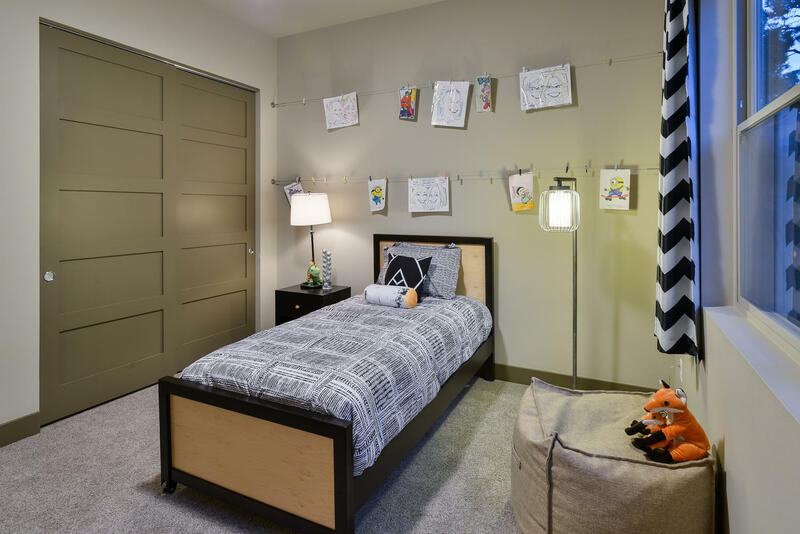 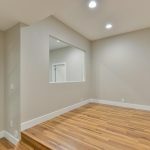 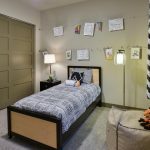 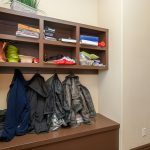 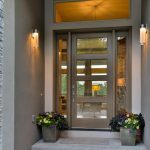 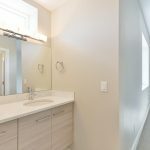 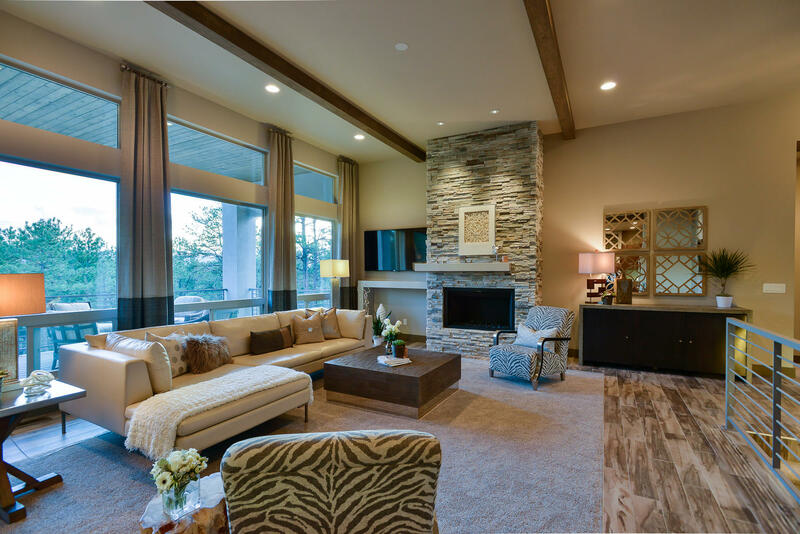 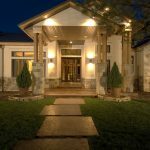 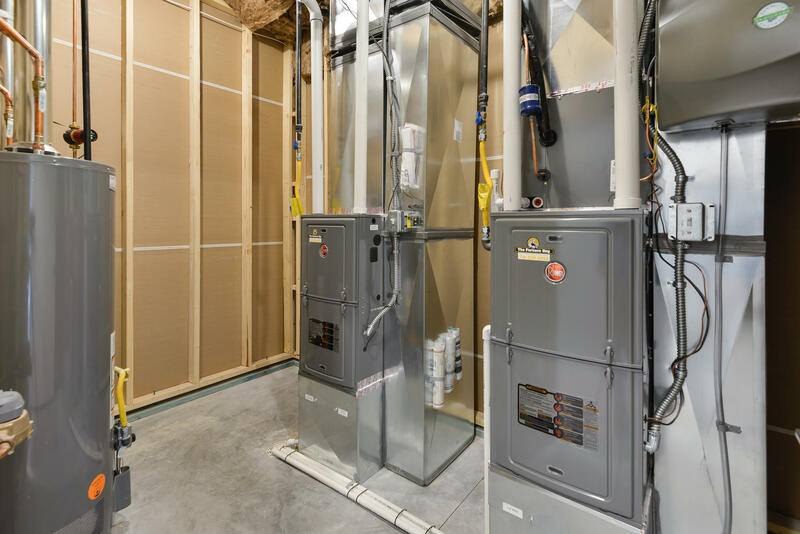 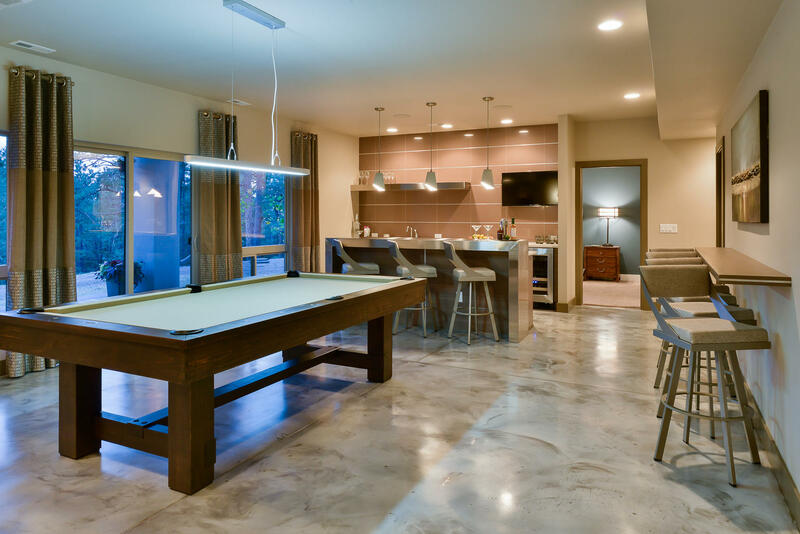 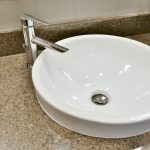 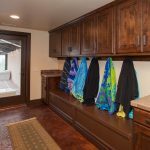 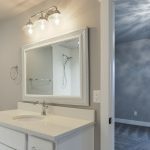 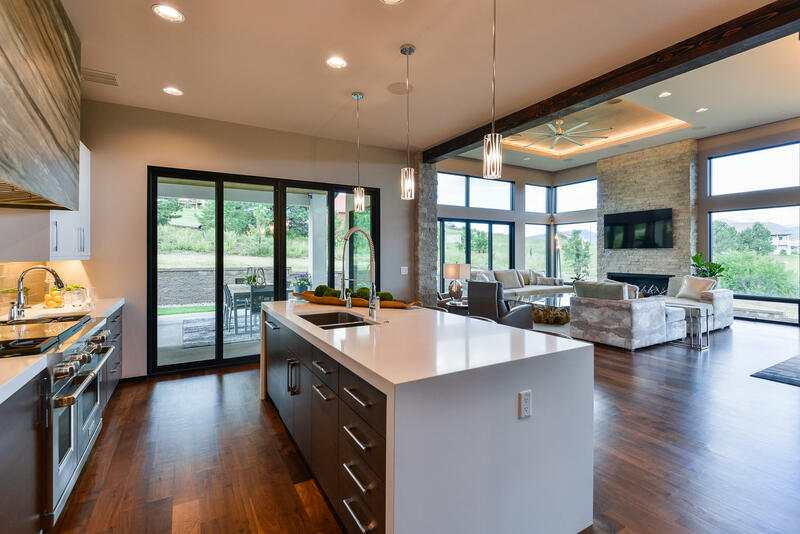 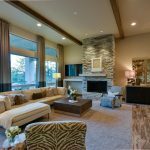 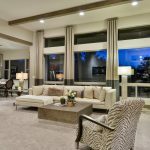 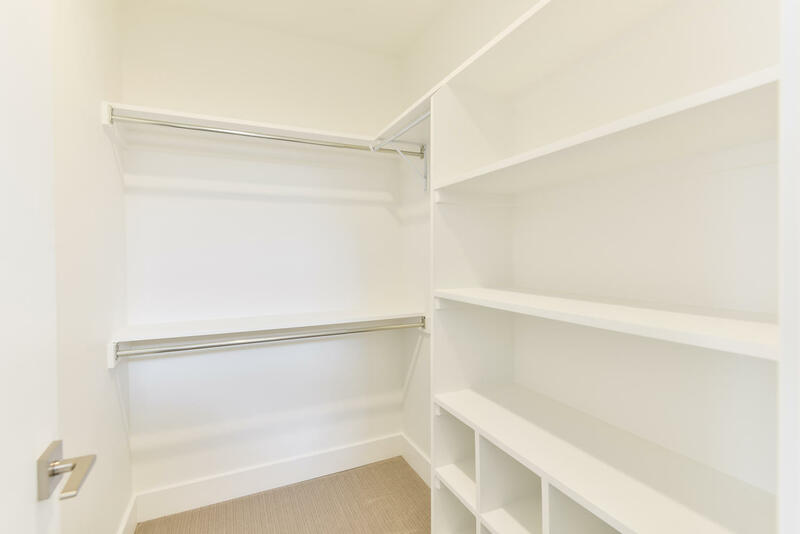 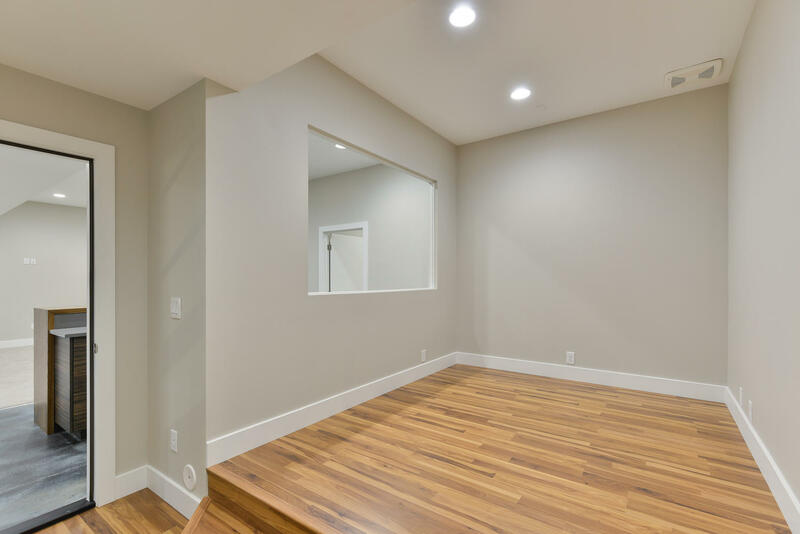 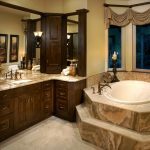 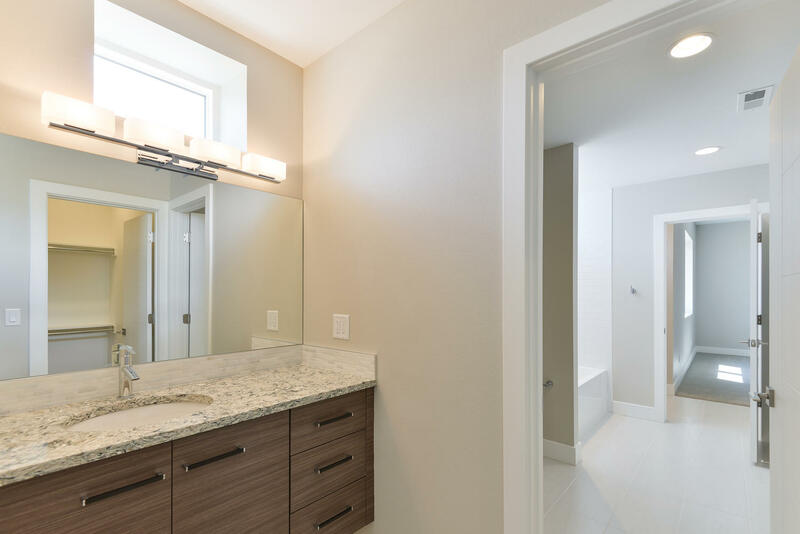 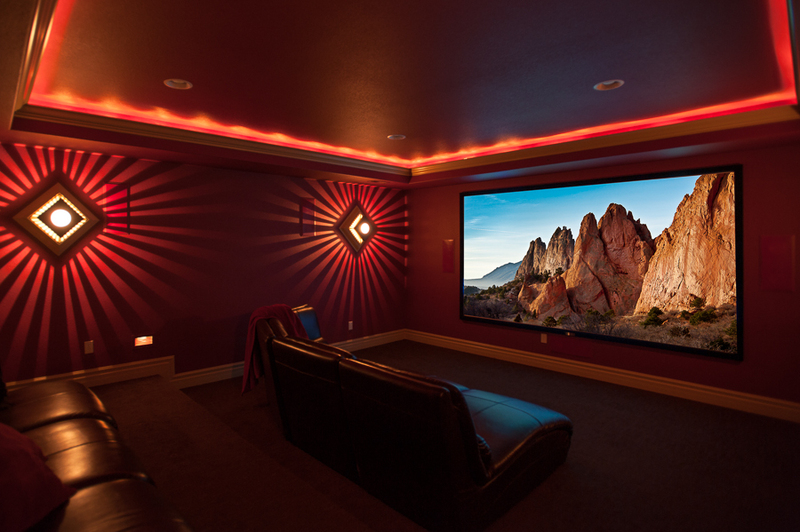 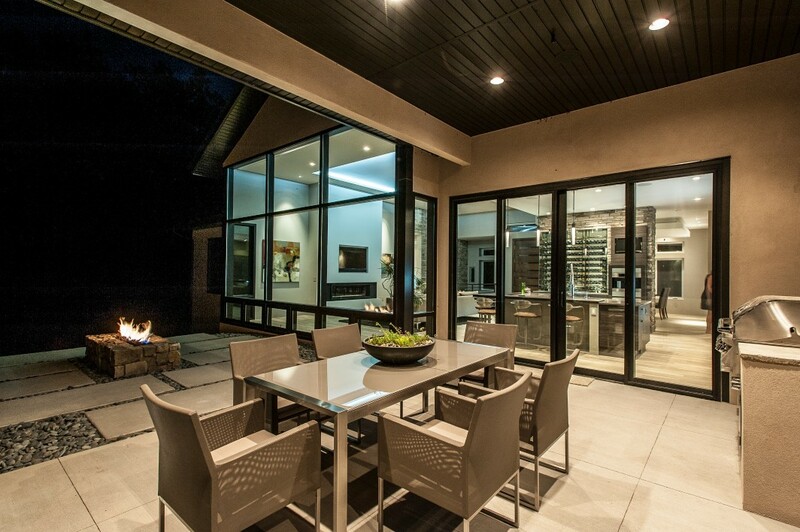 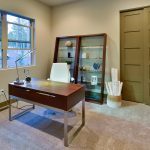 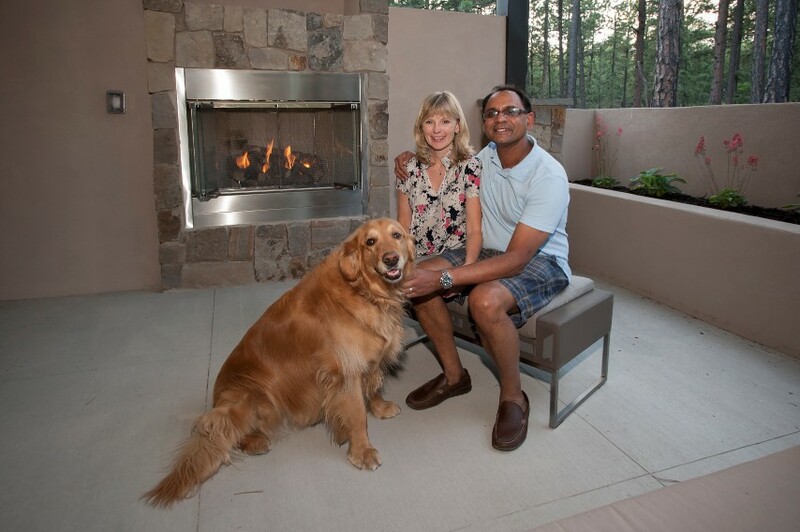 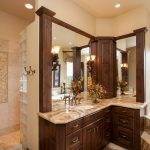 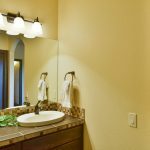 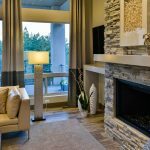 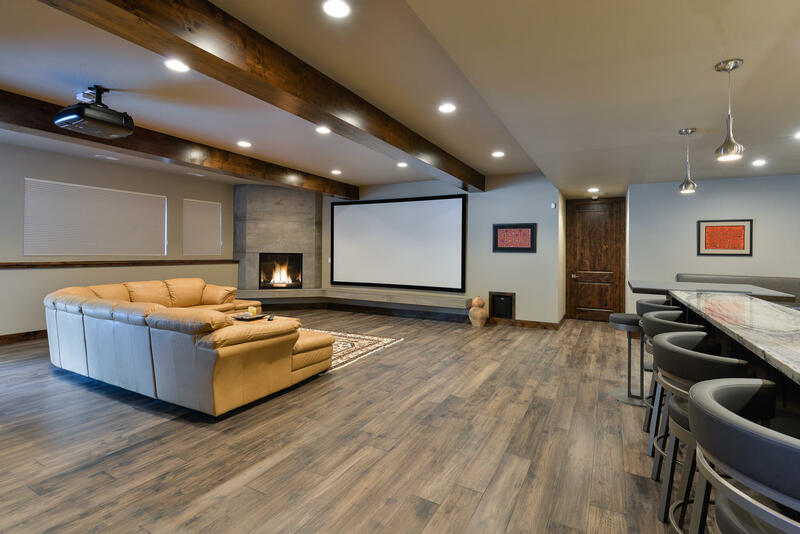 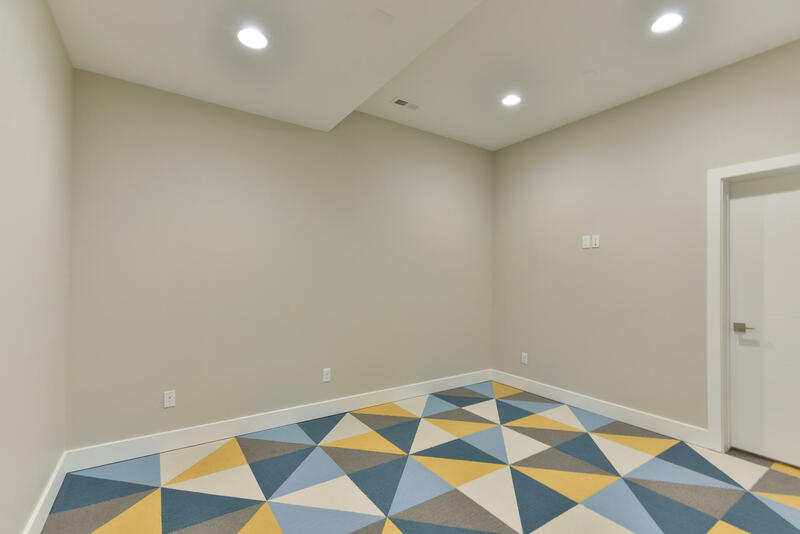 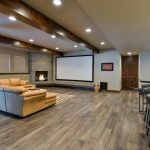 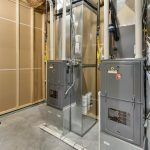 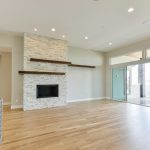 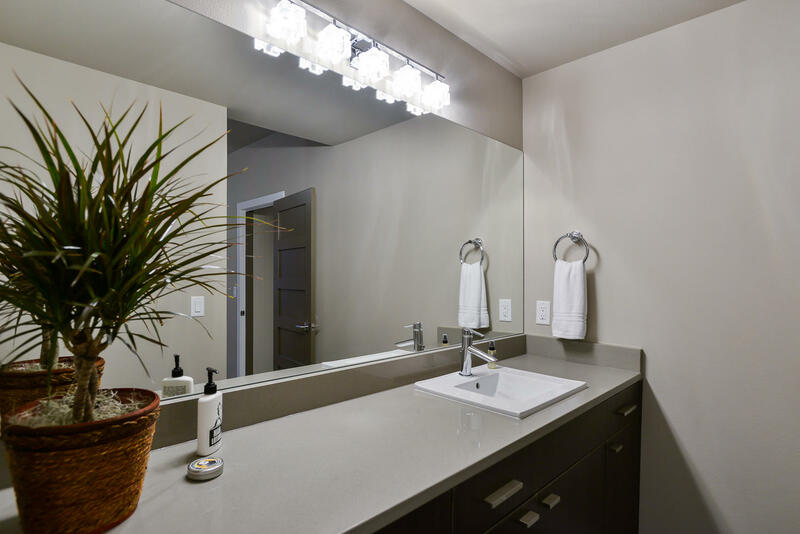 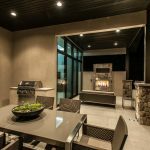 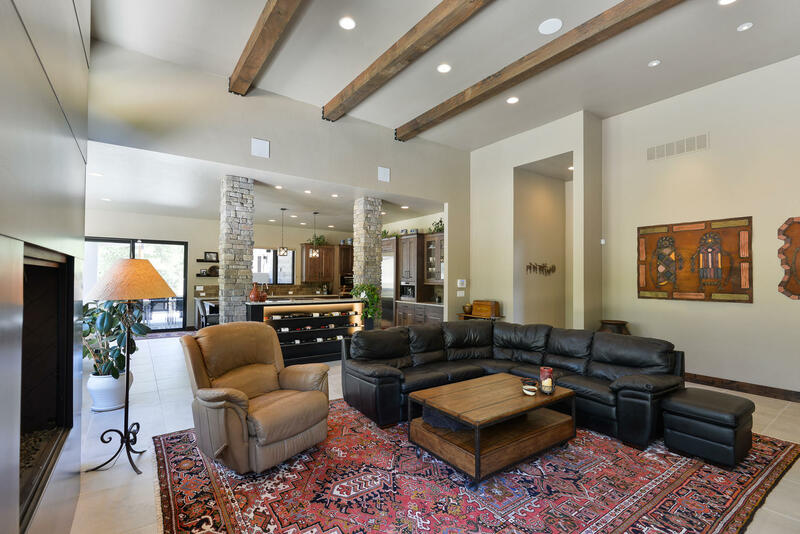 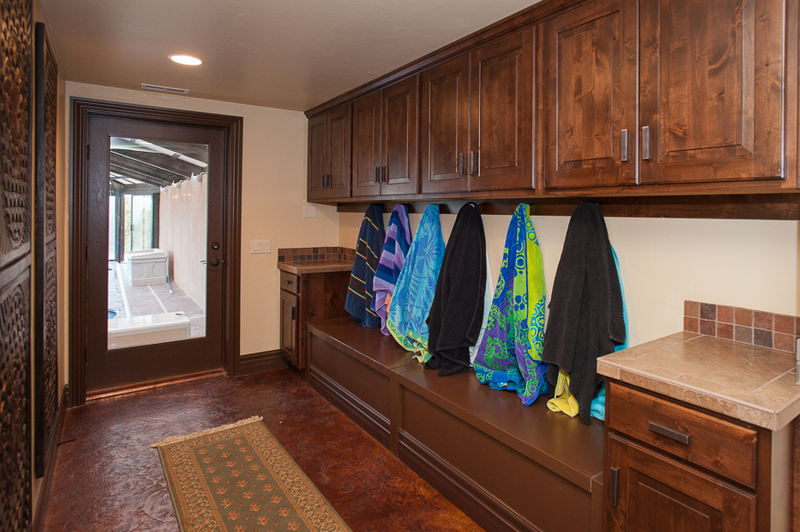 Steve and Tiffany Overholser created the company with extremely high standards and maintain that level by building homes with the same care and attention they have built into their own home and the awards their houses have received reflect that standard. 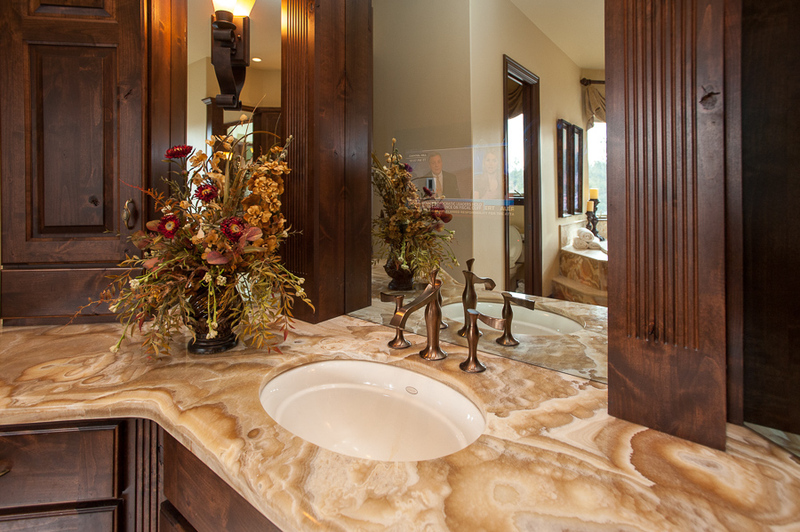 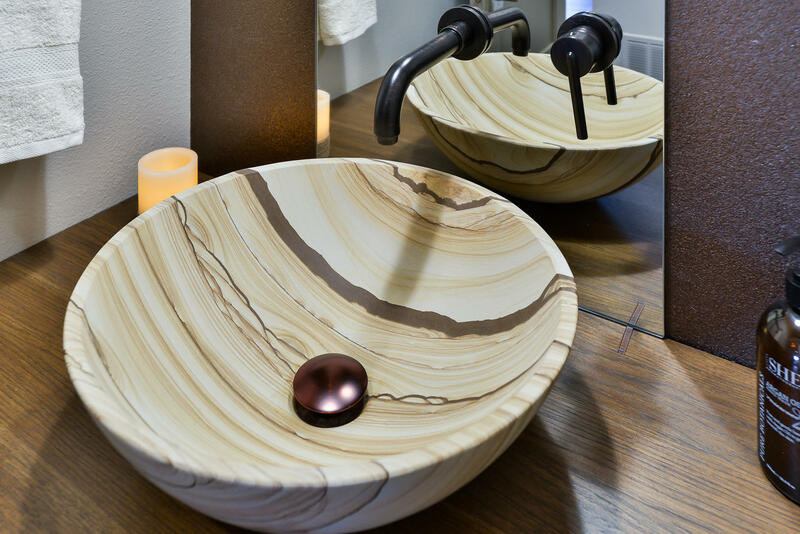 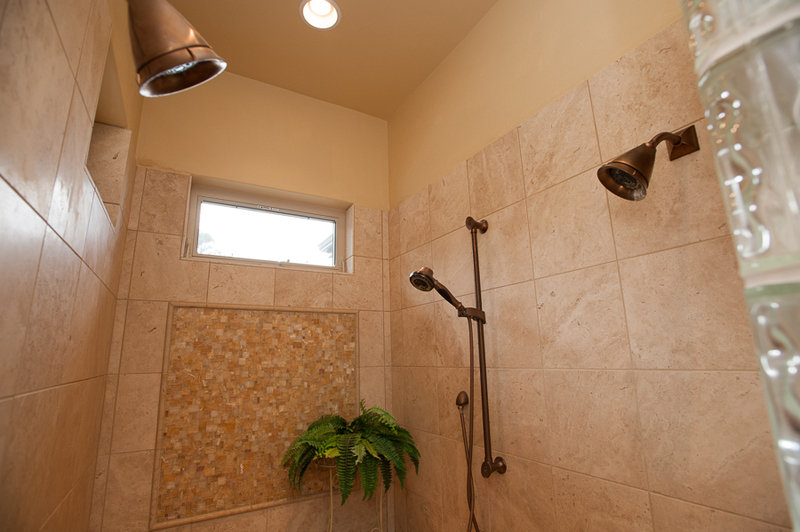 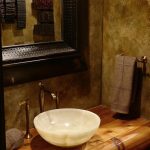 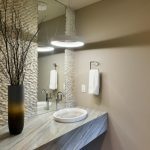 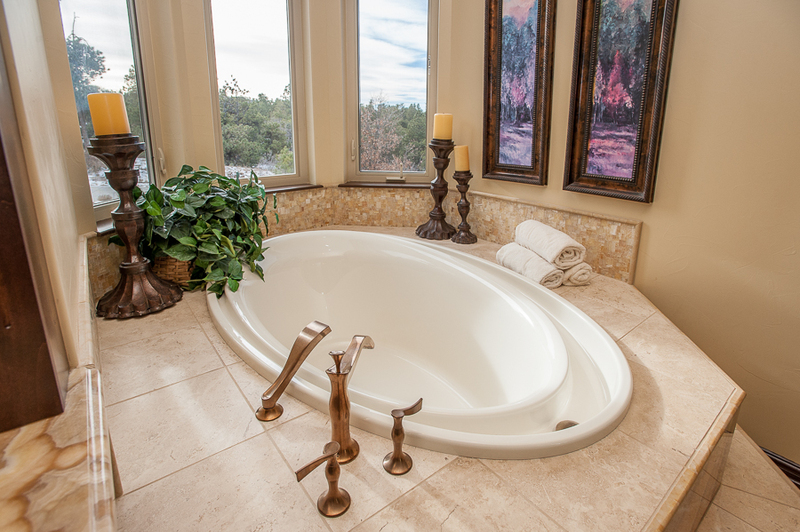 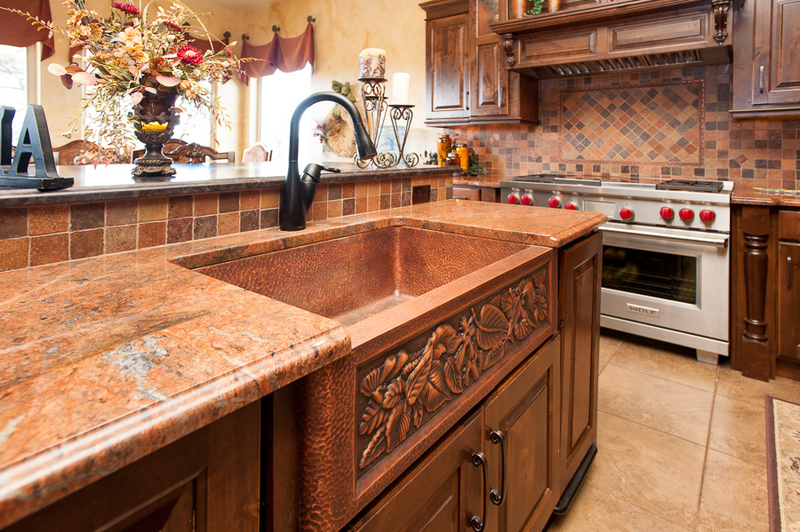 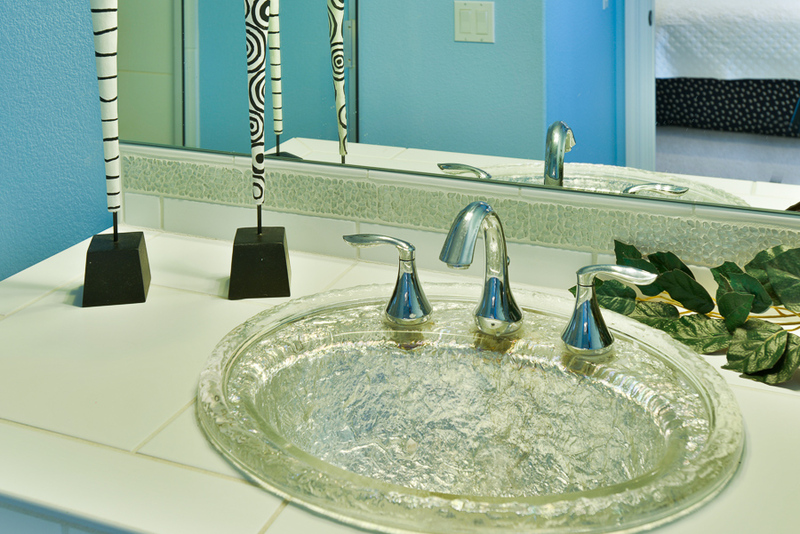 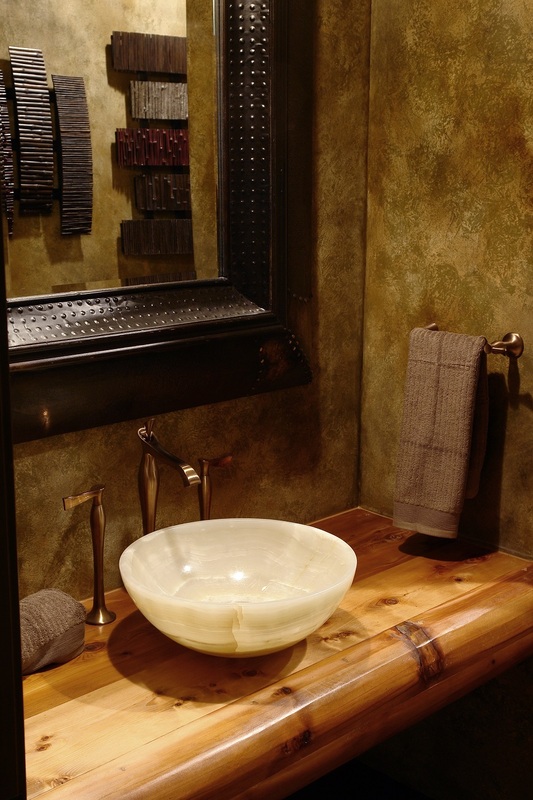 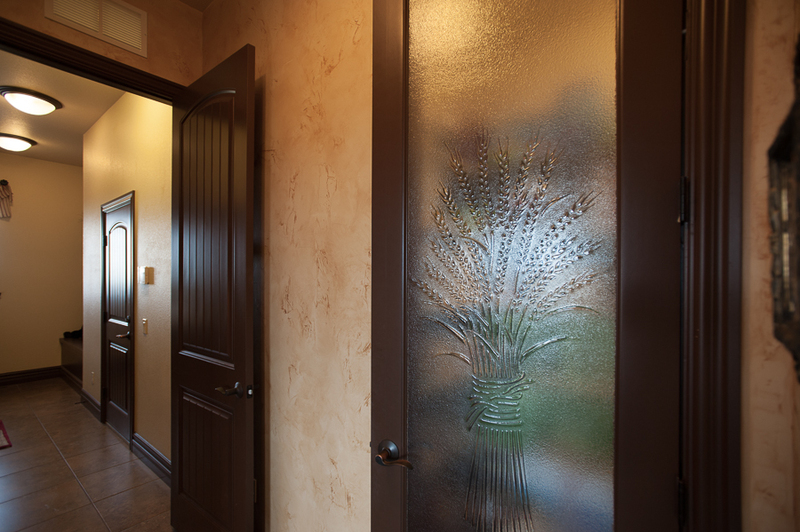 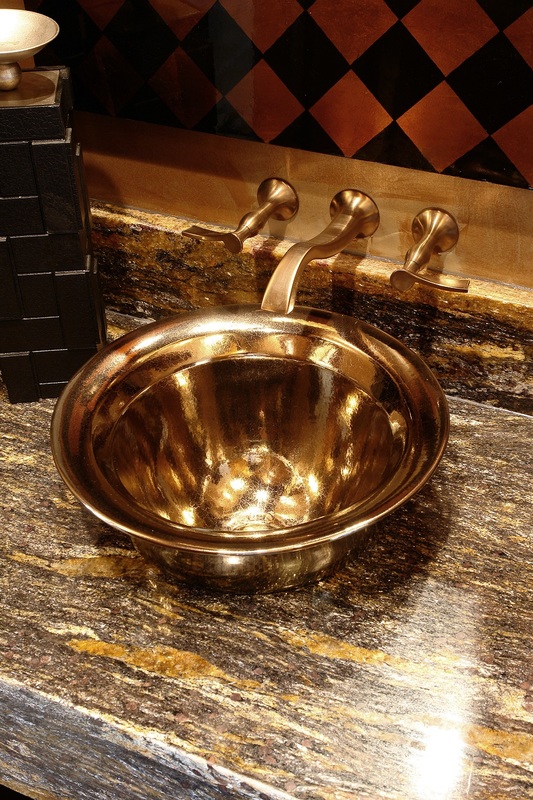 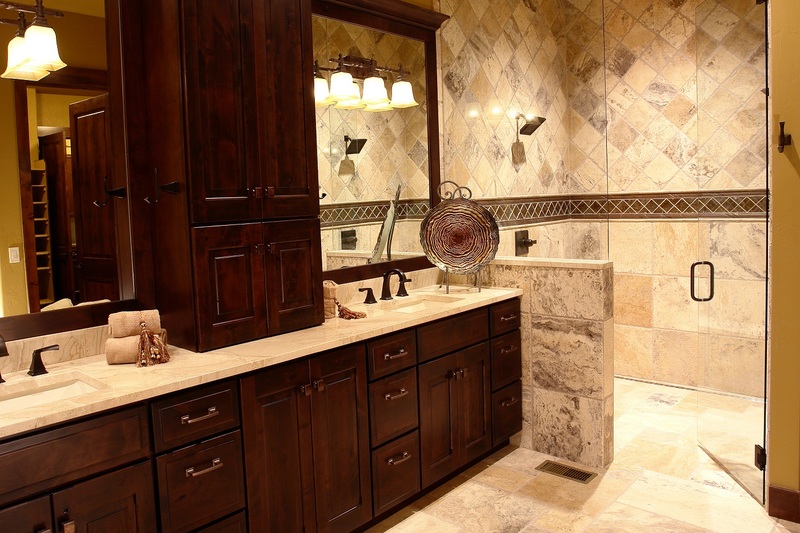 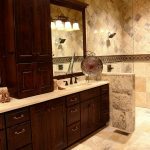 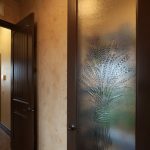 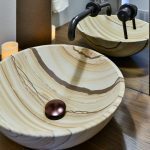 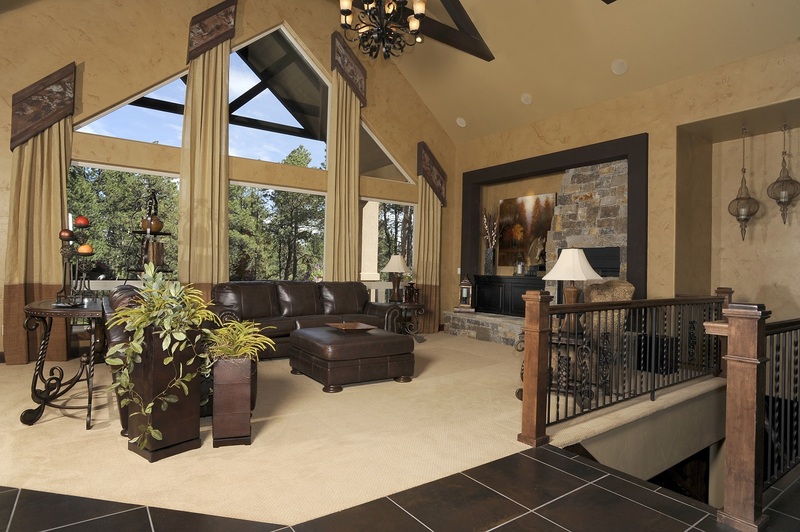 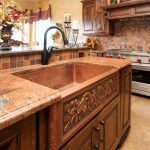 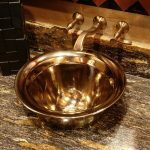 Colorado Divinity offers an intriguing mix of sophisticated man-made materials and natural organic elements. 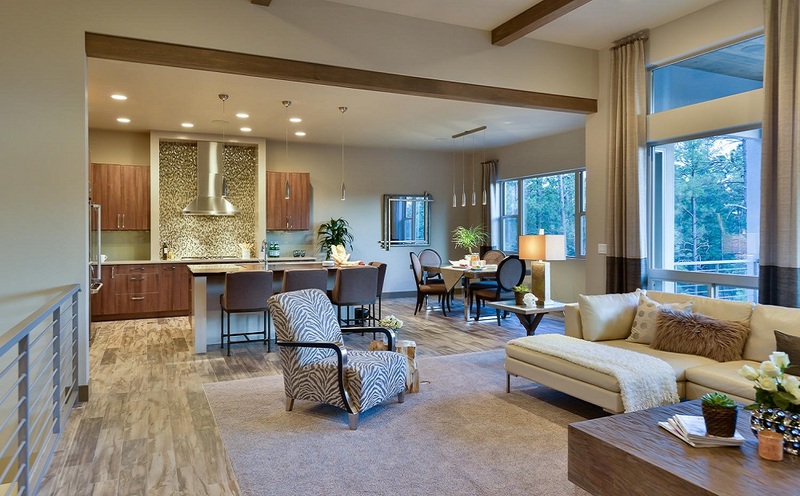 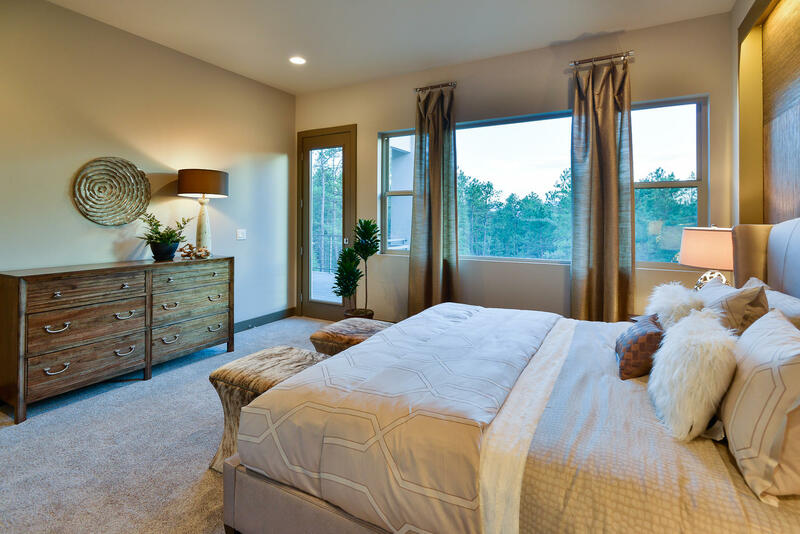 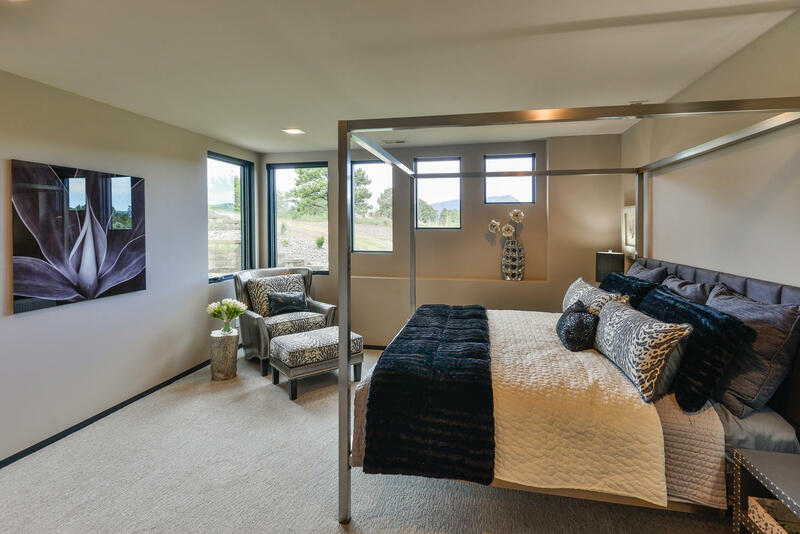 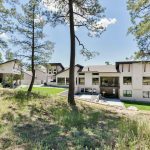 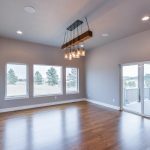 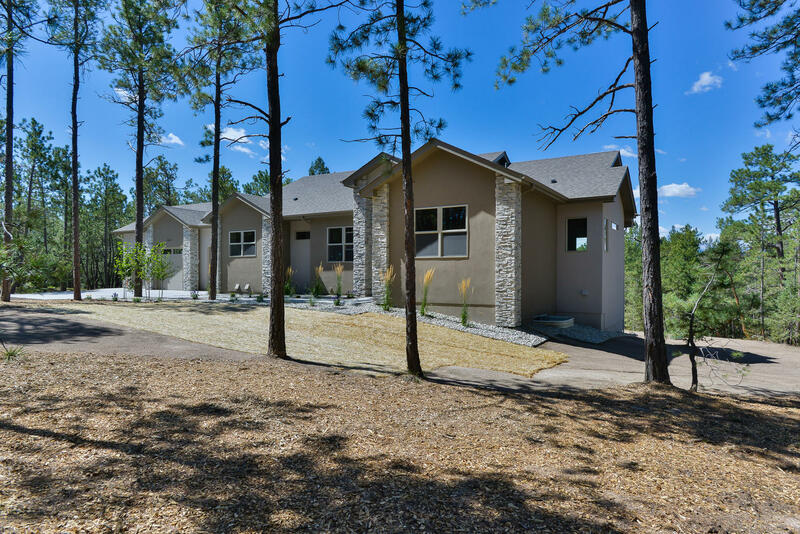 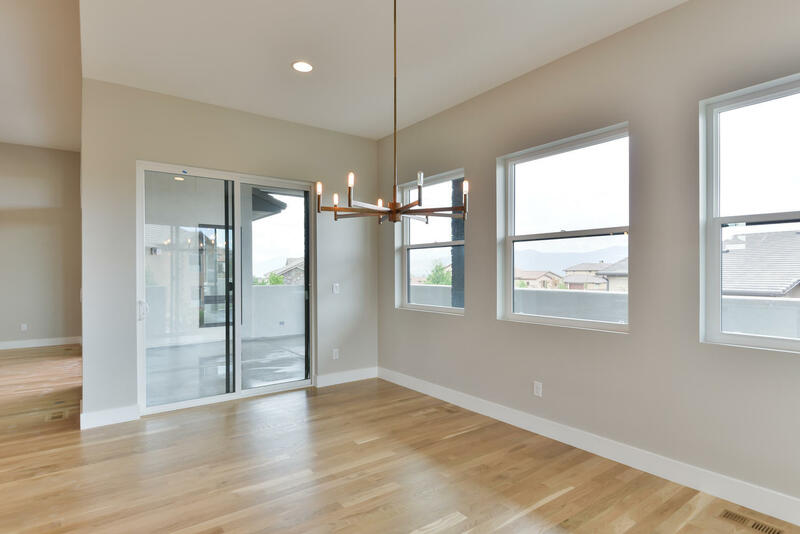 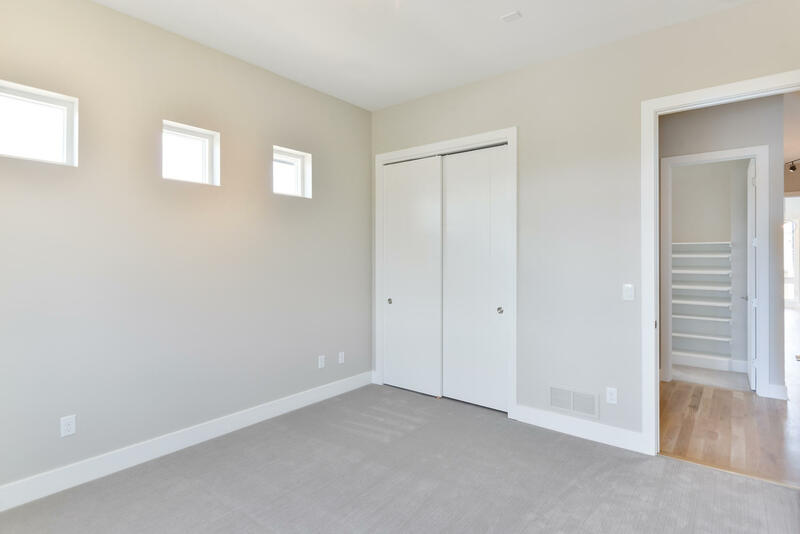 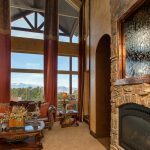 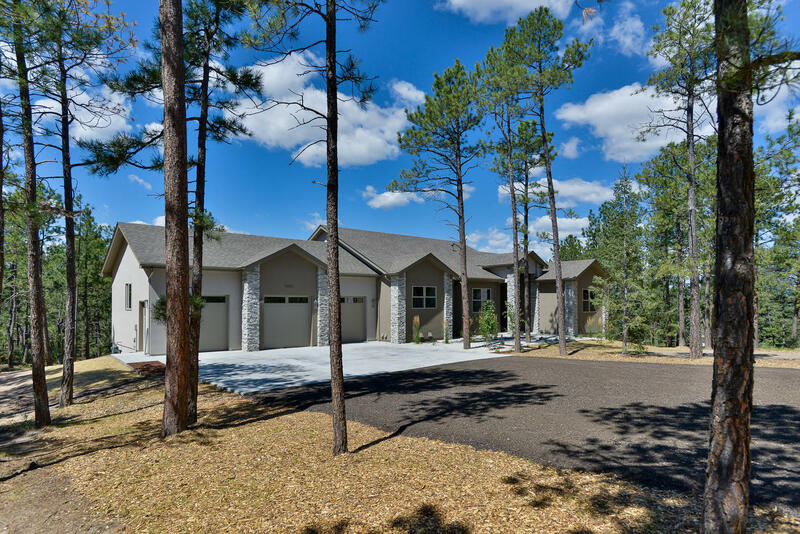 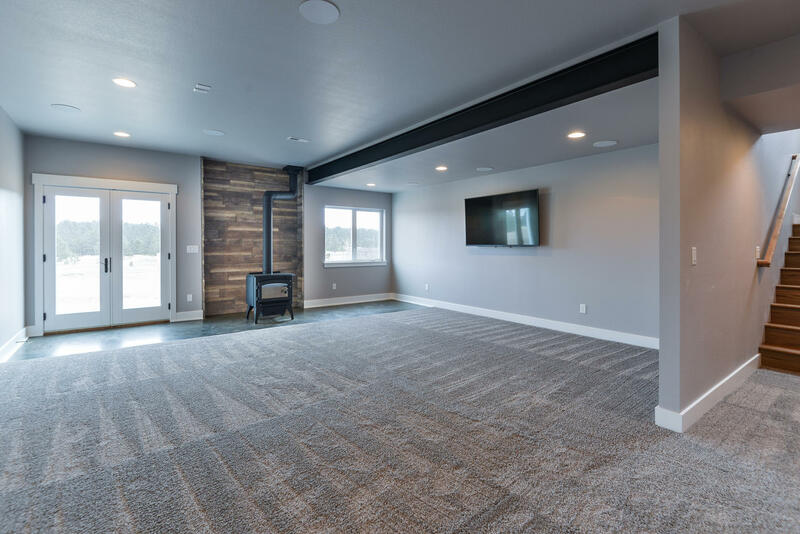 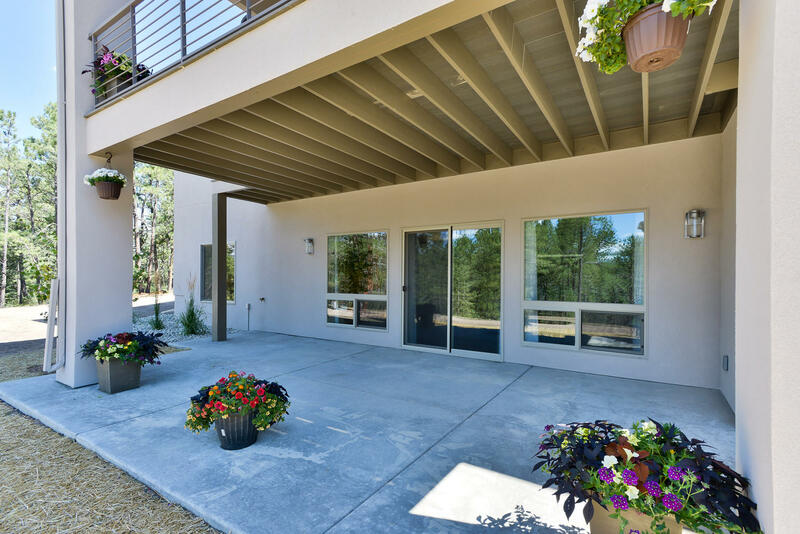 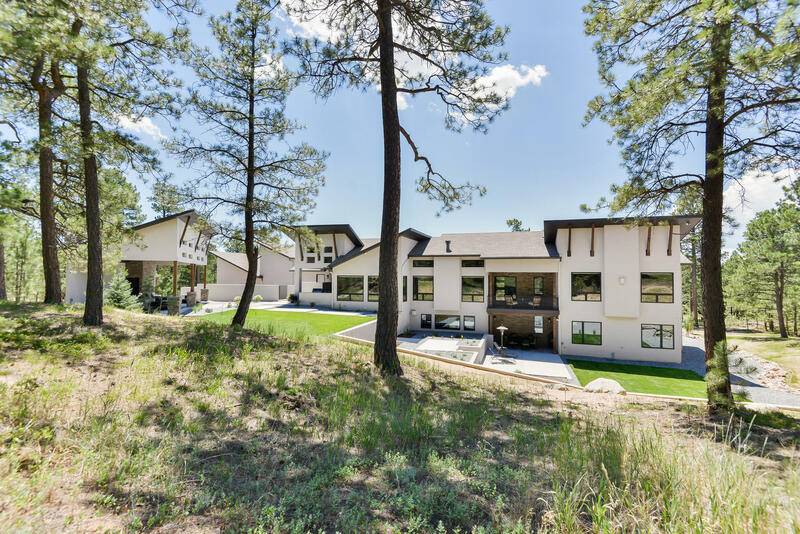 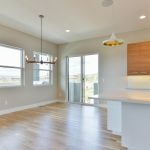 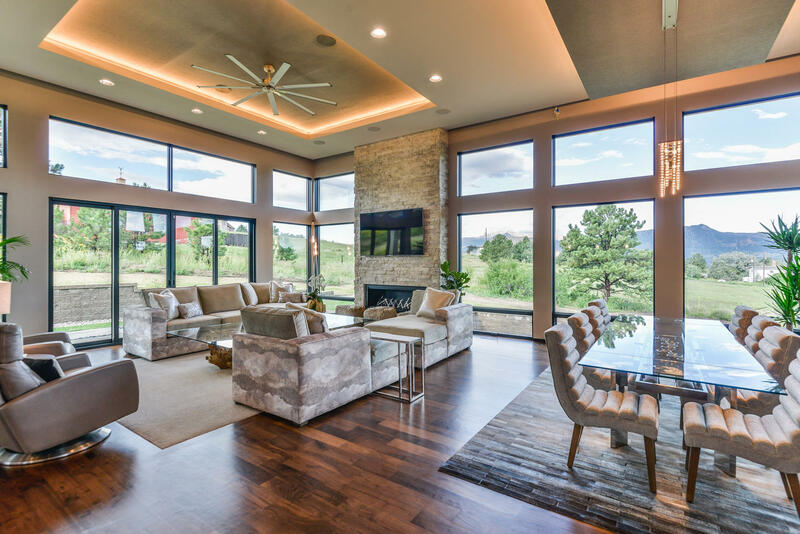 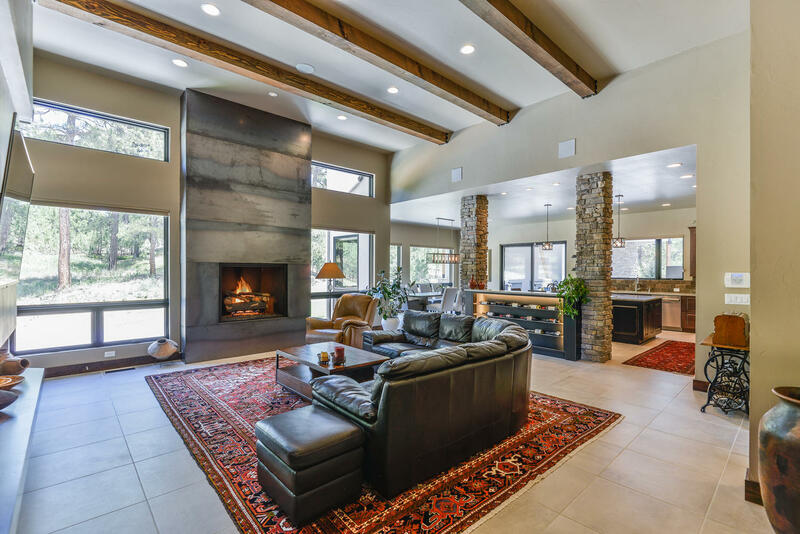 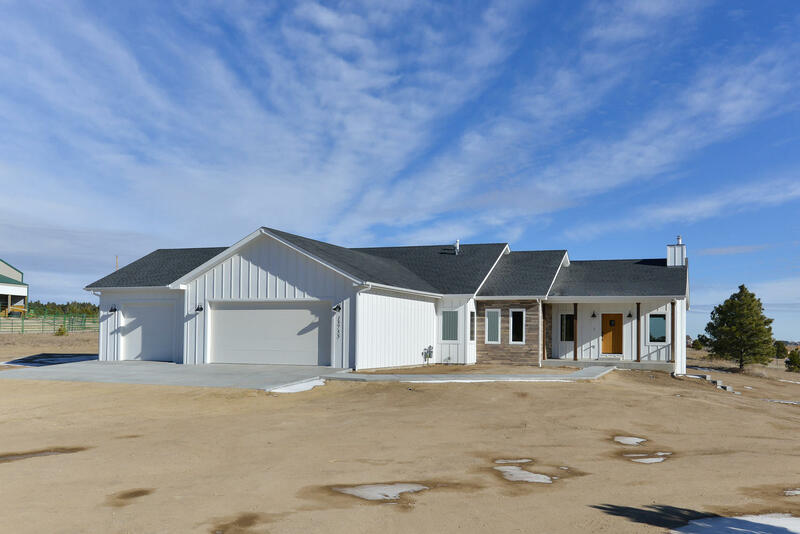 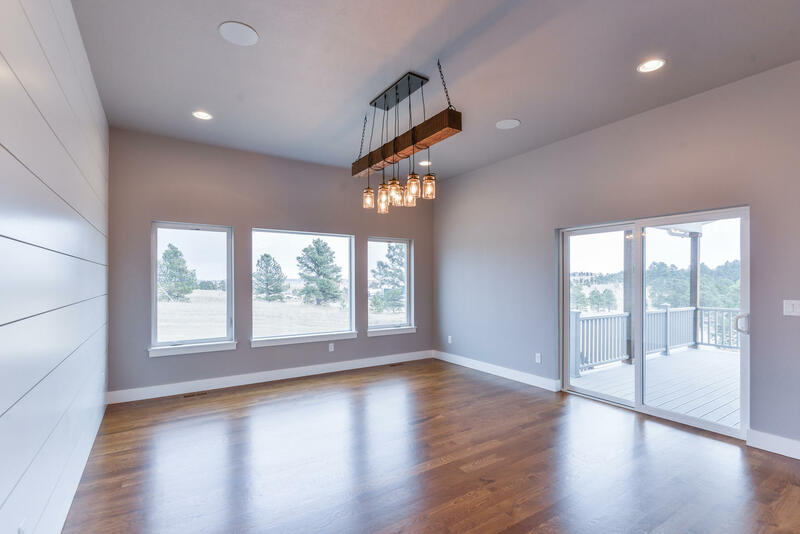 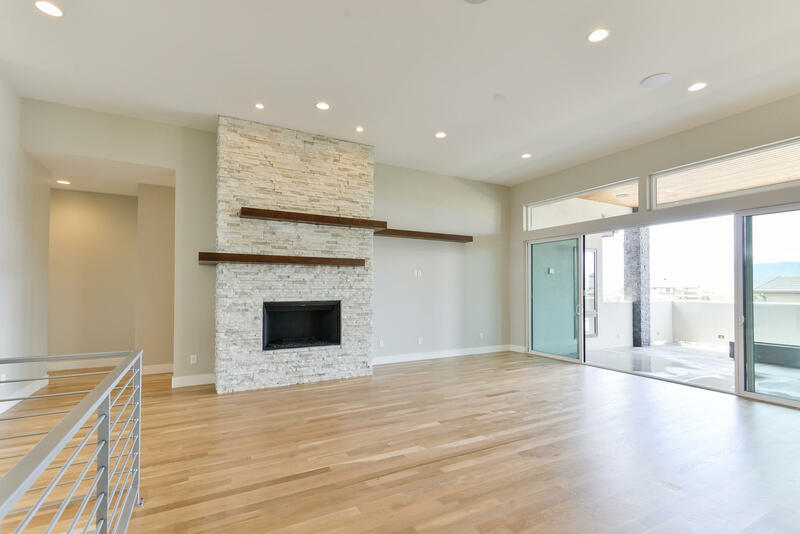 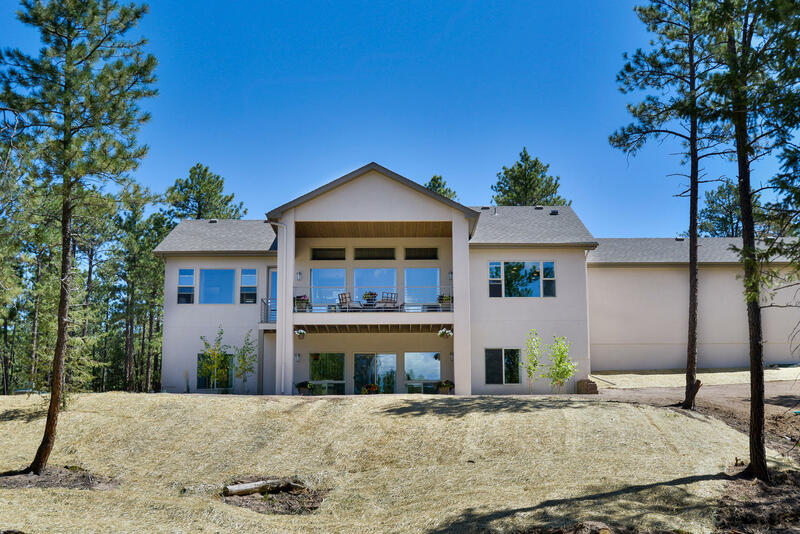 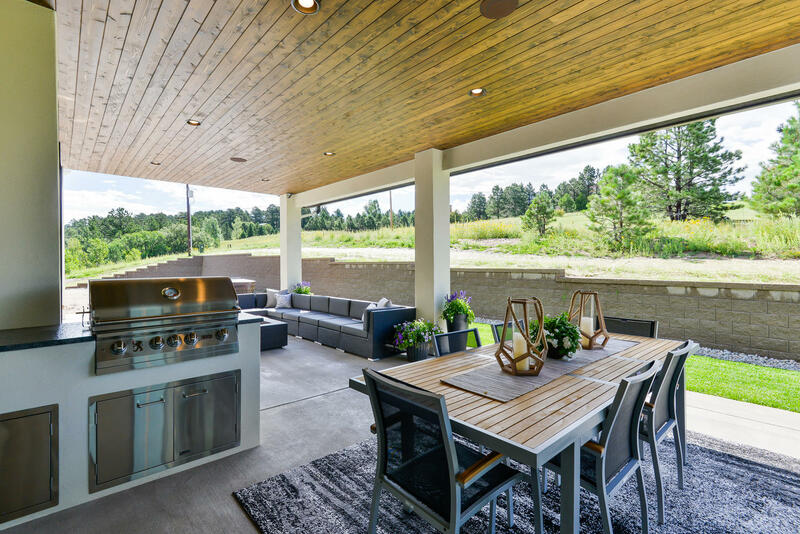 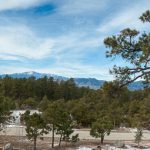 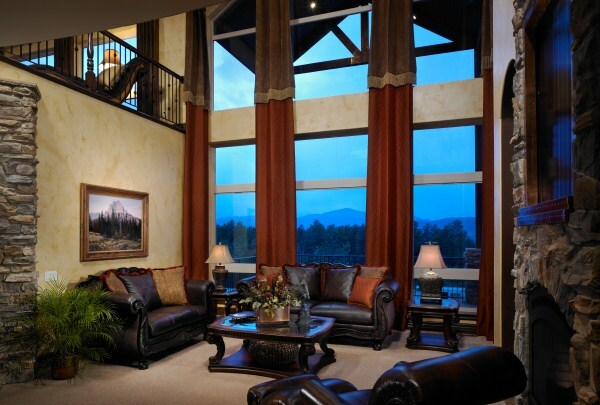 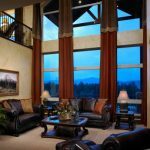 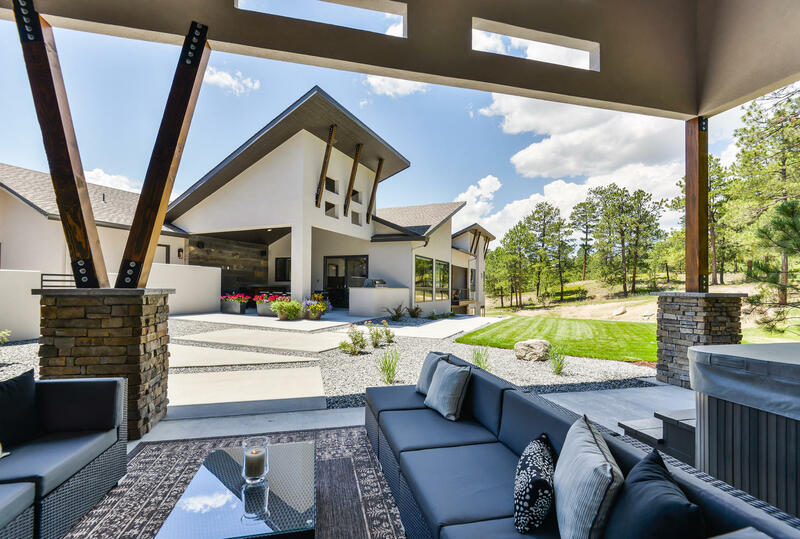 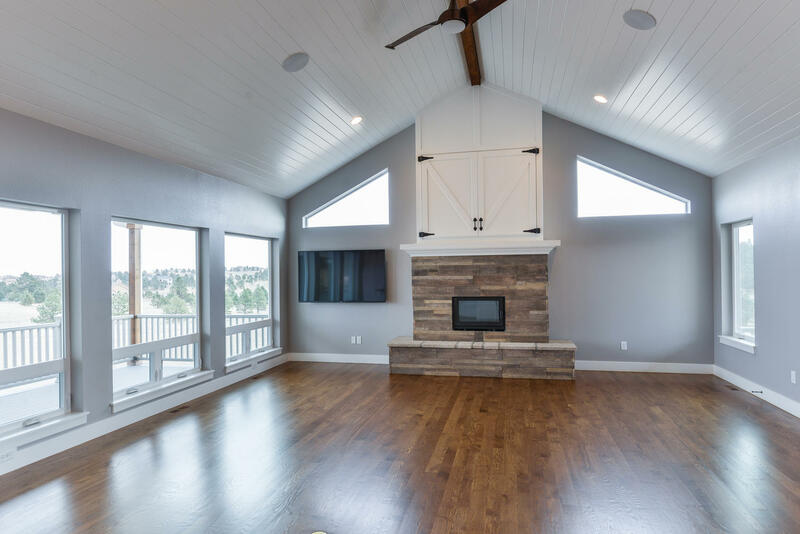 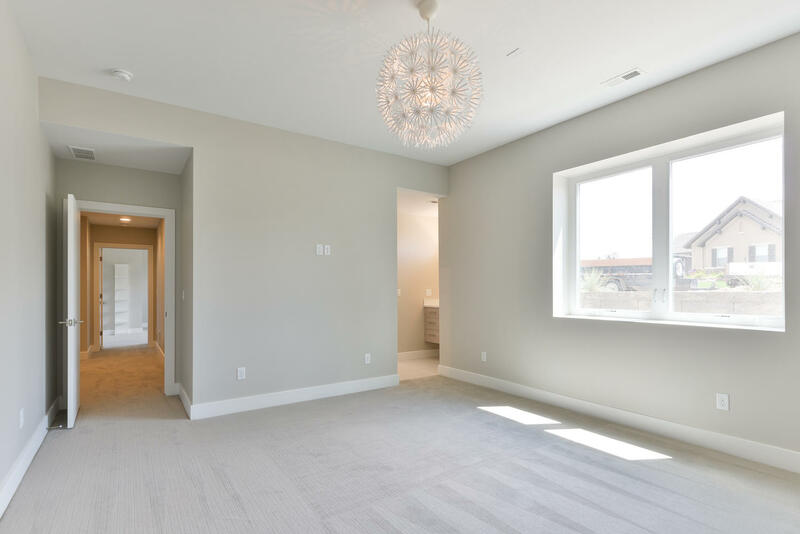 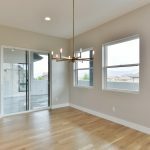 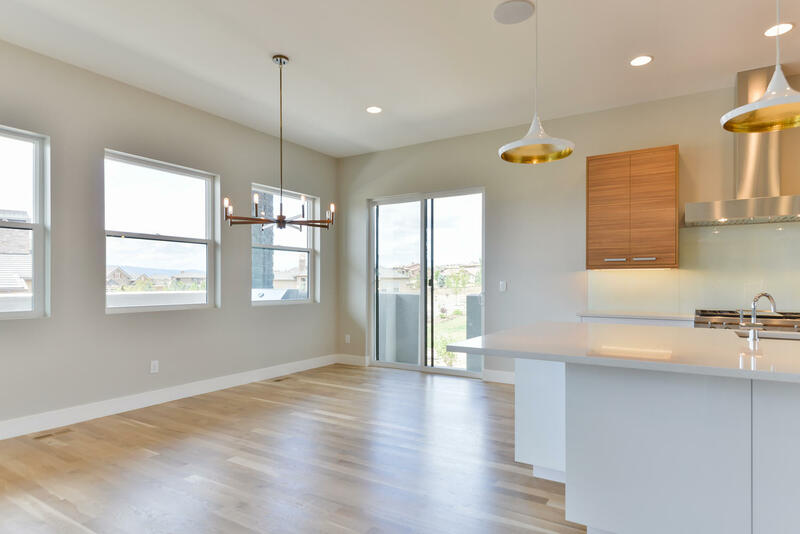 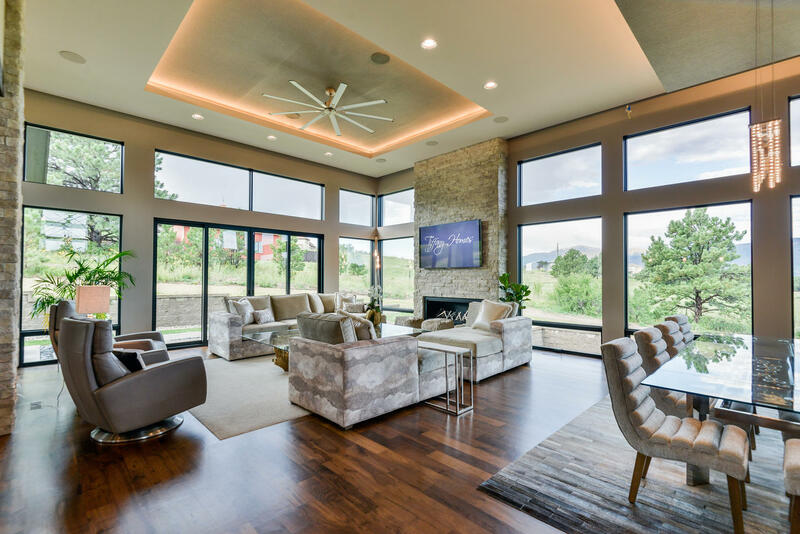 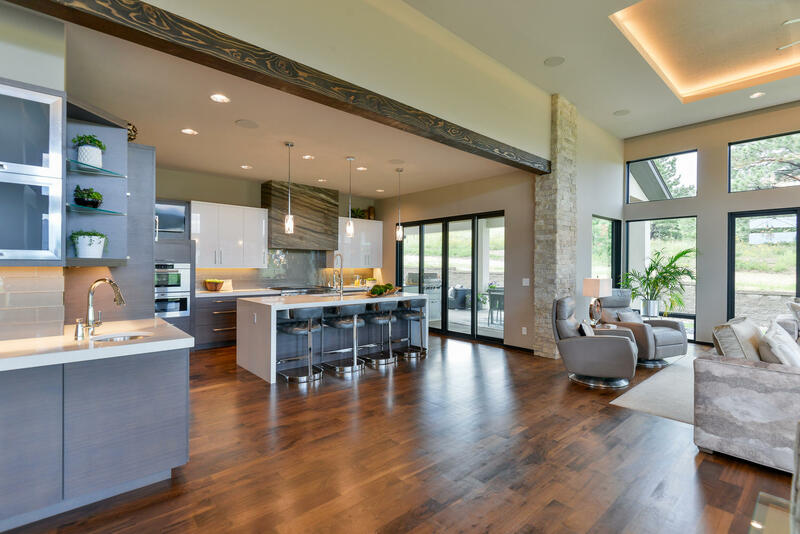 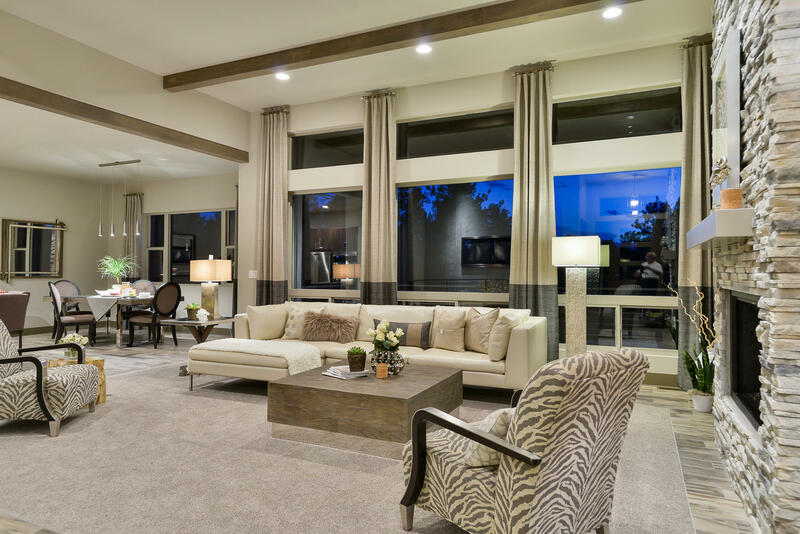 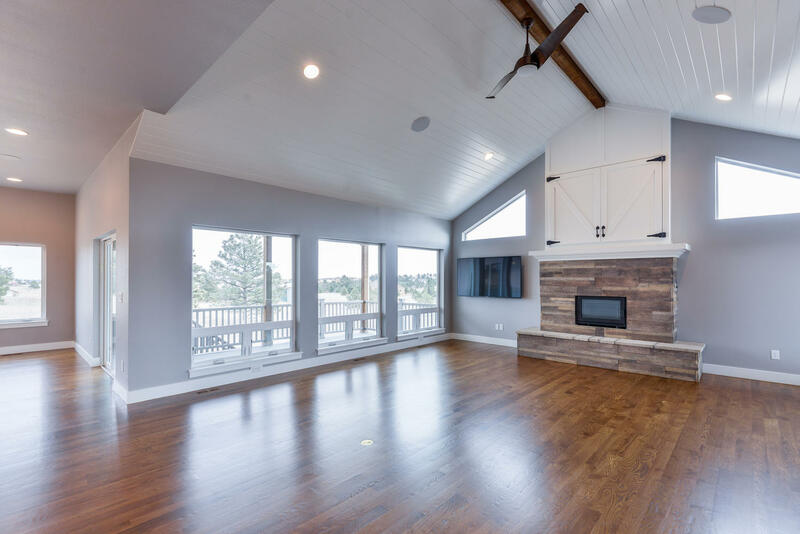 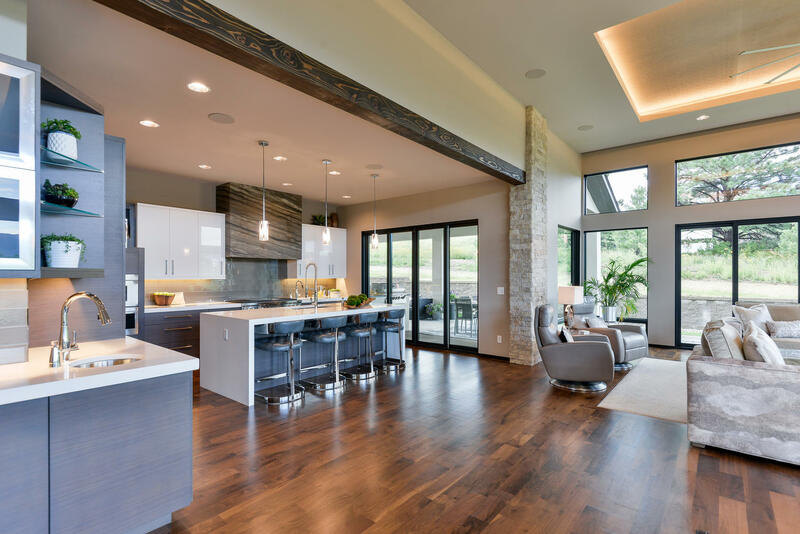 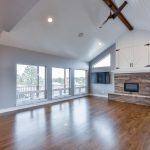 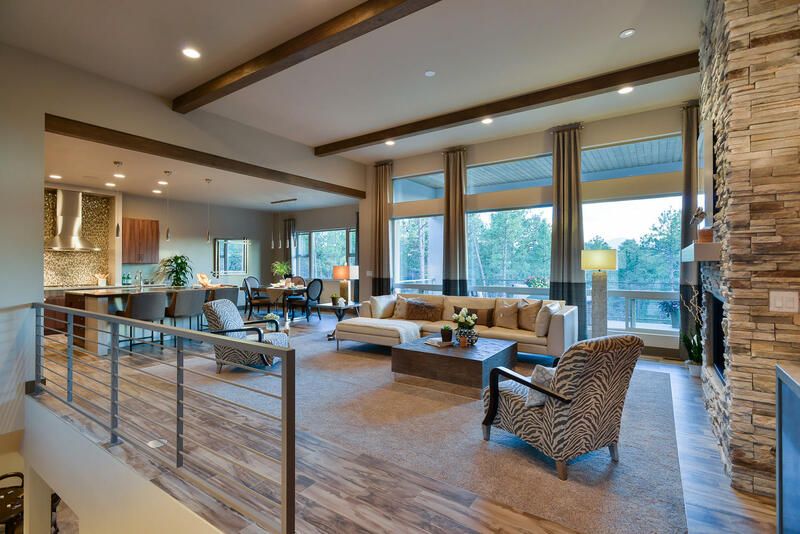 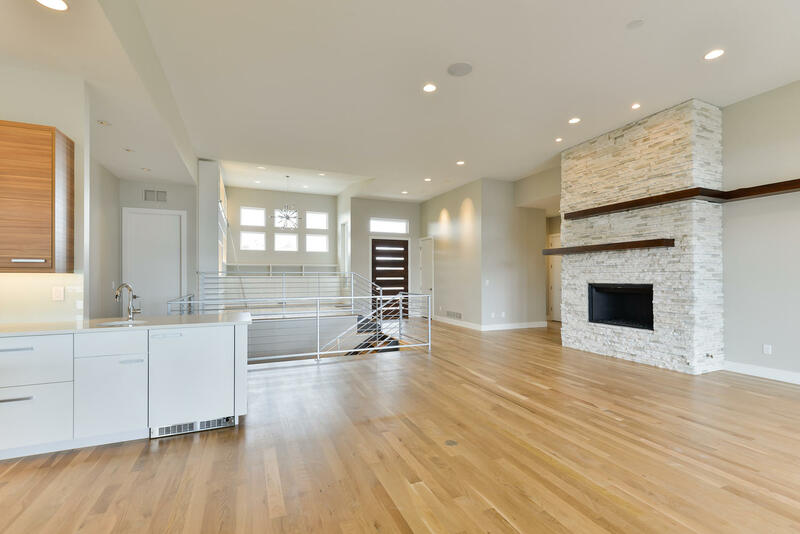 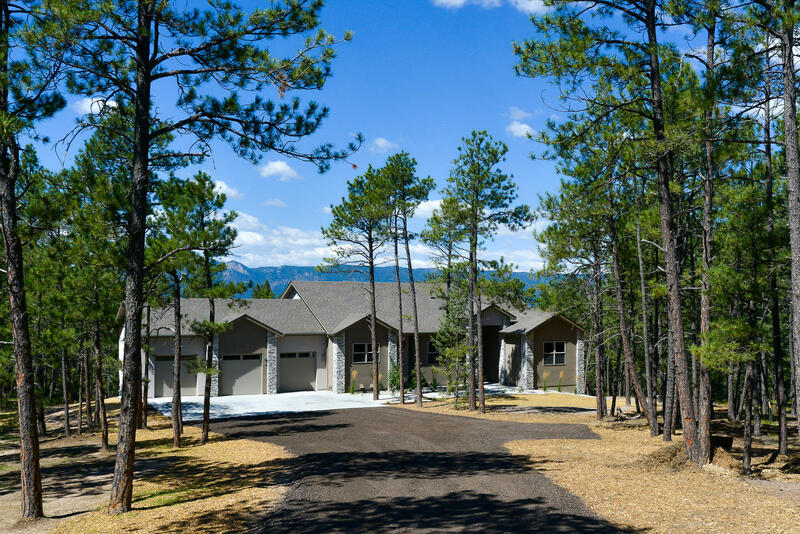 The open floor plan with expansive volume ceilings, floor-to-ceiling windows, and high-end finishes leads you to sweeping views of the Front Range. 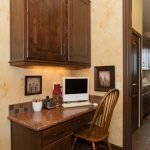 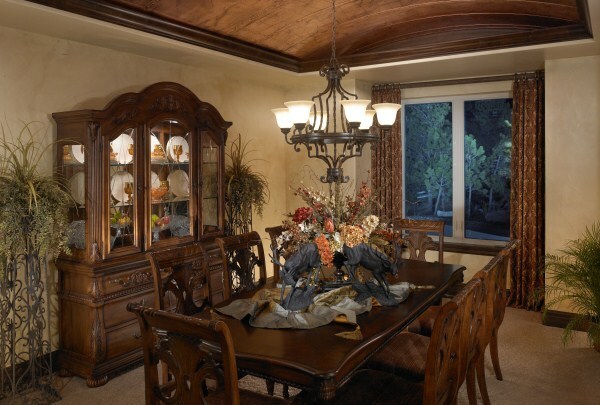 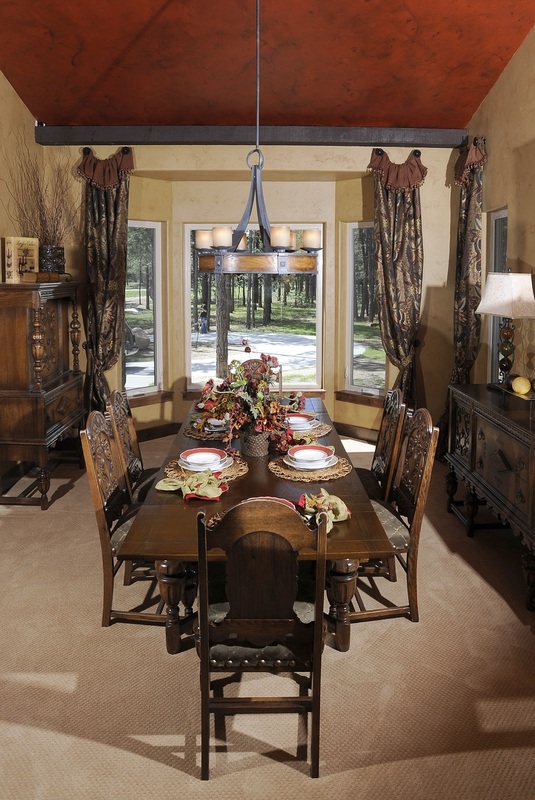 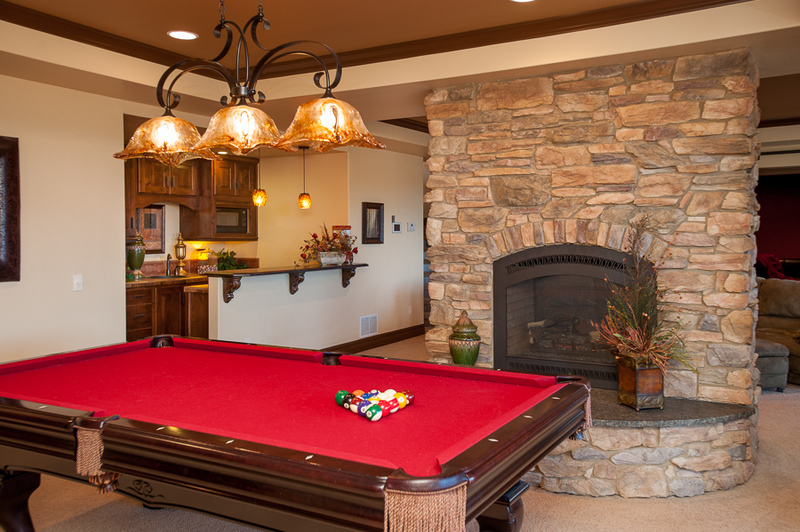 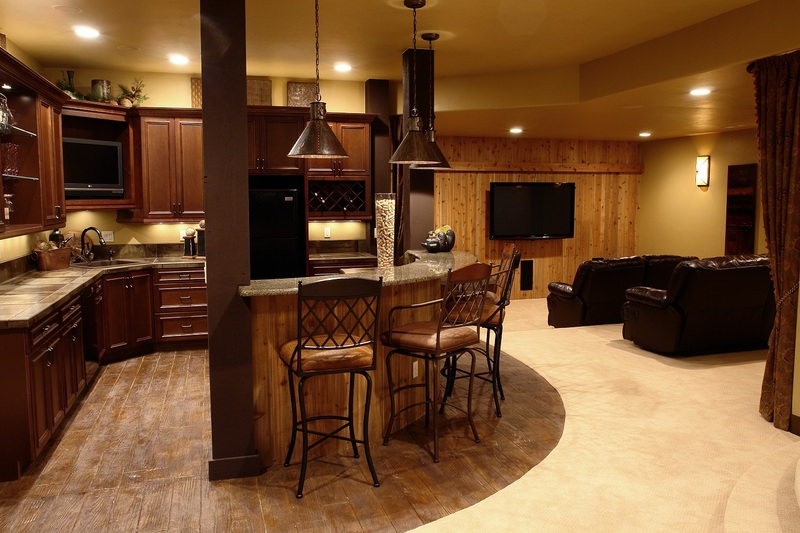 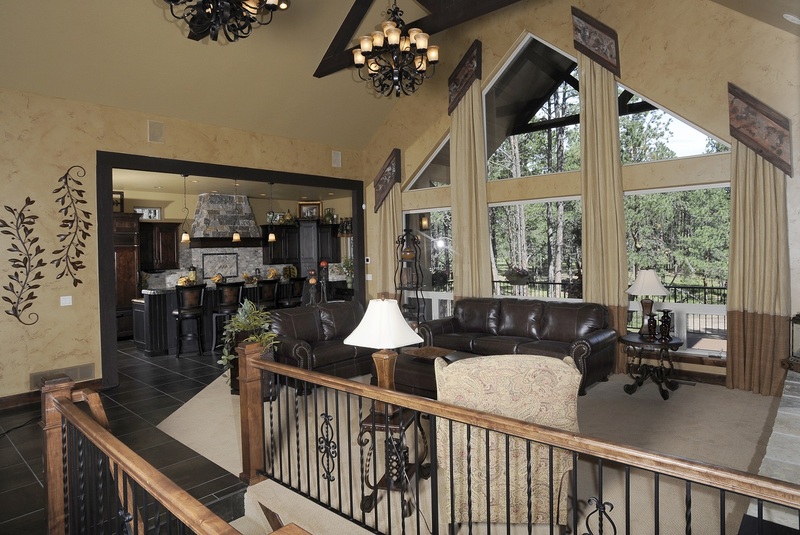 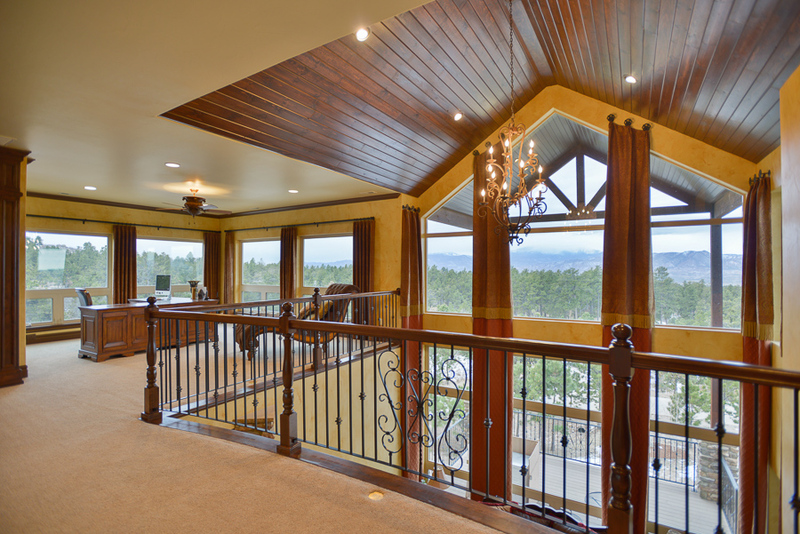 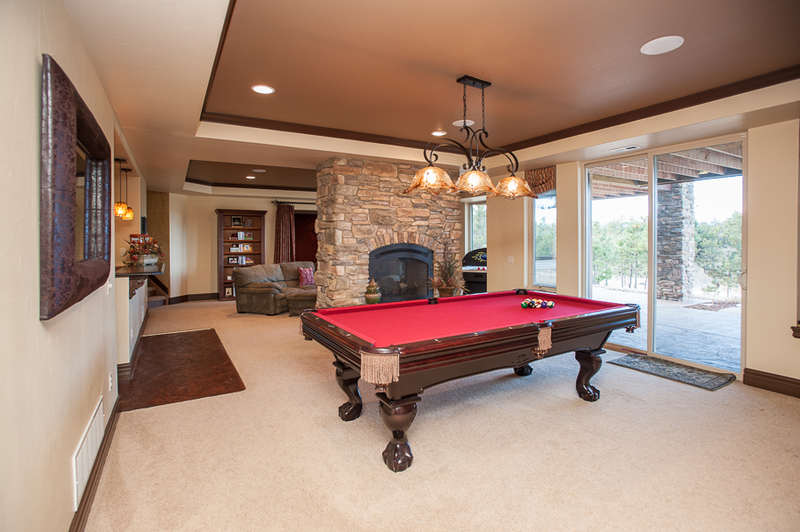 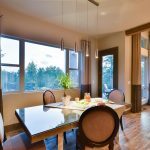 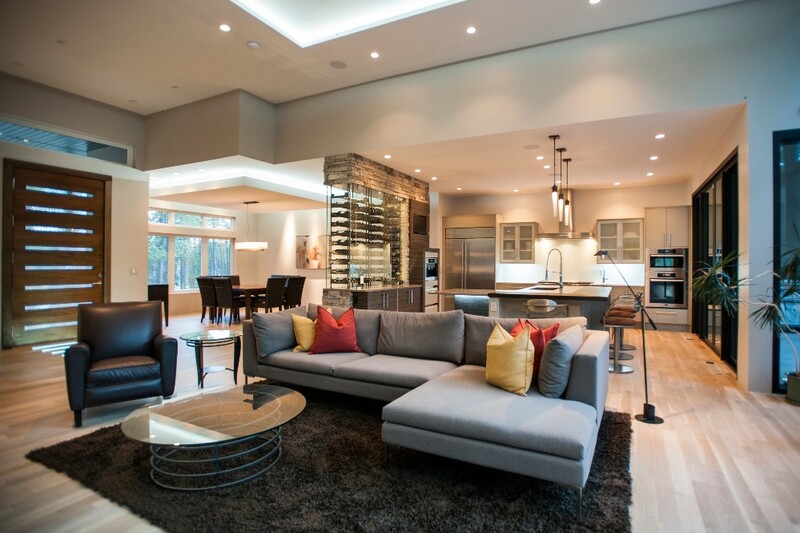 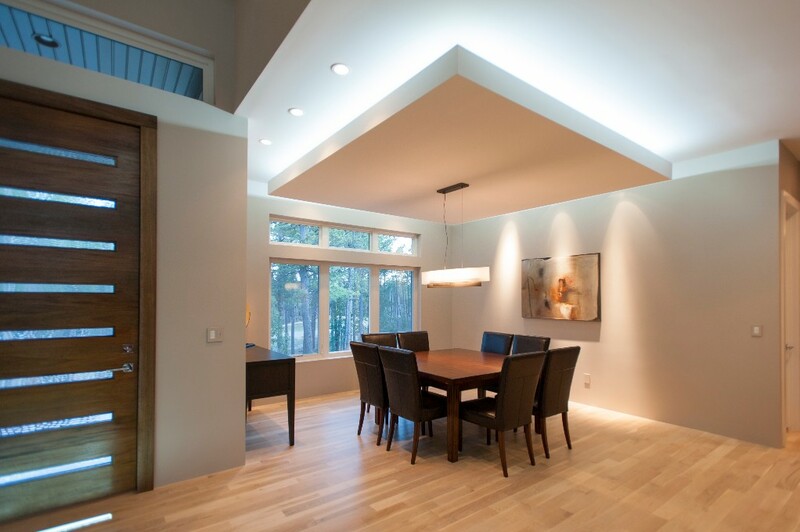 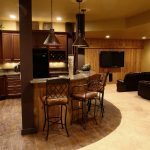 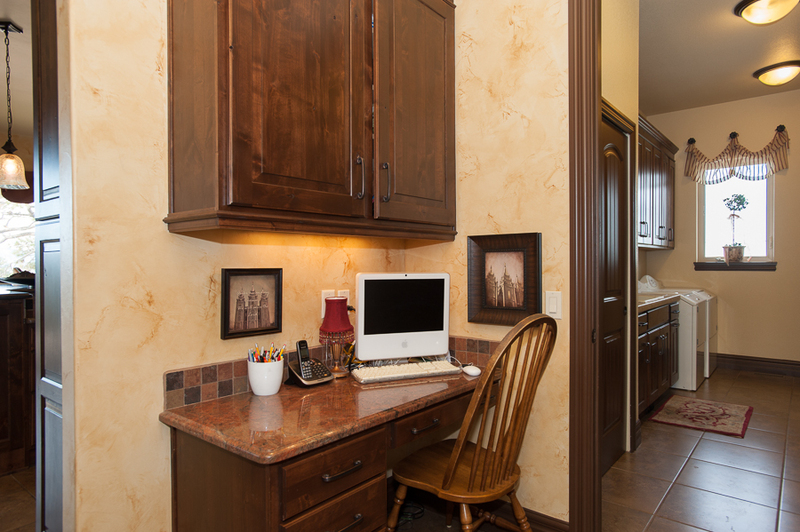 The main level features a great room/dining room/kitchen combination. 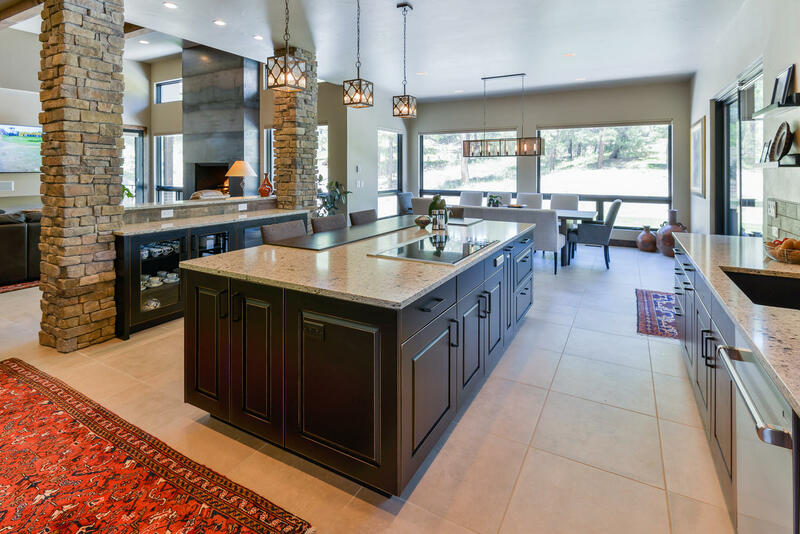 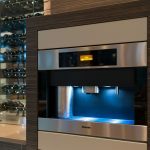 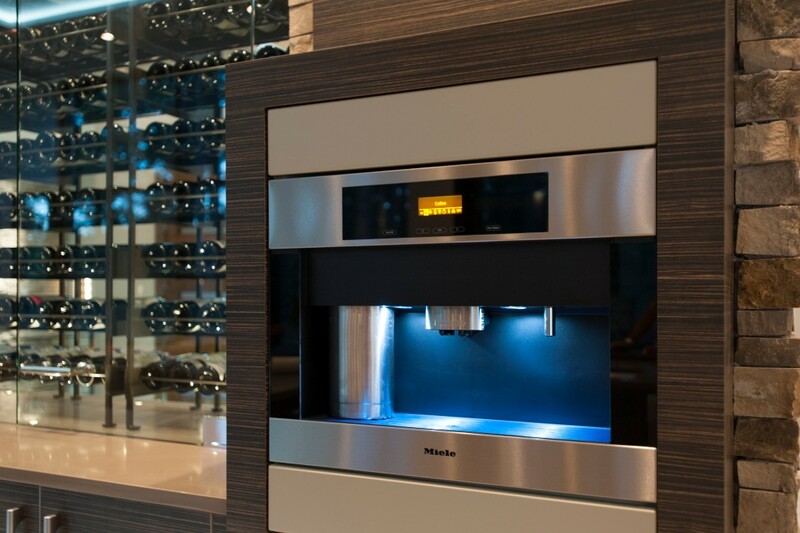 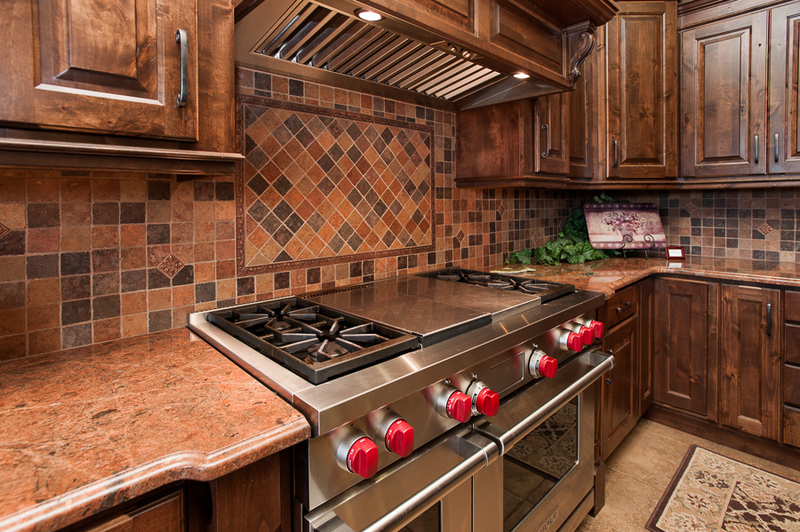 The kitchen is a visual feast for guests and a gourmet playground for the serious chef. 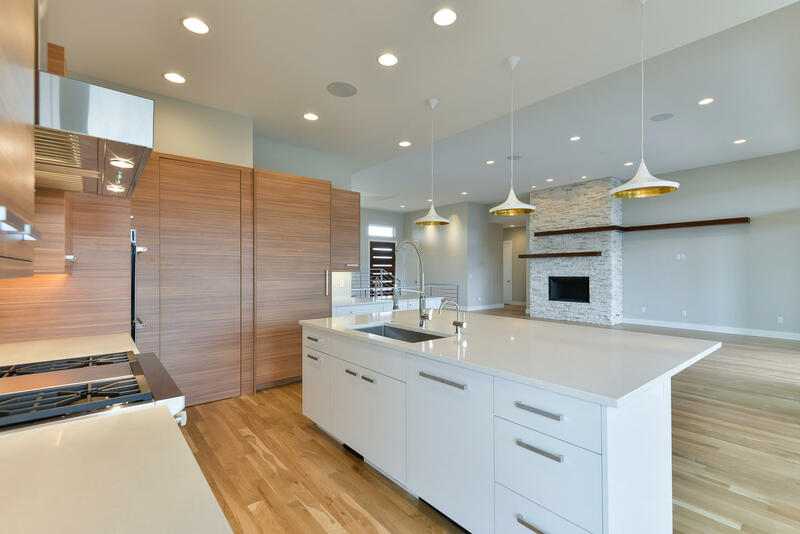 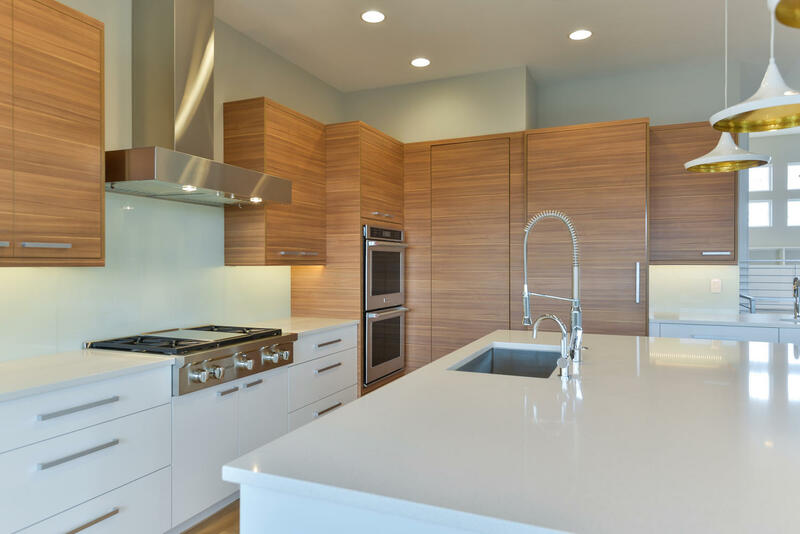 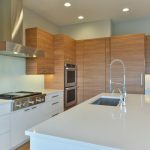 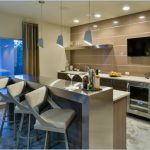 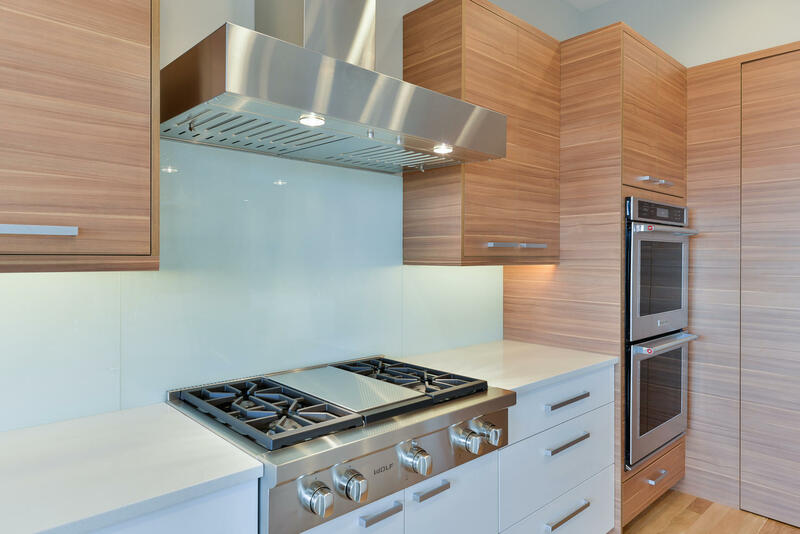 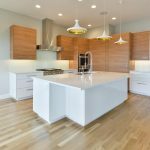 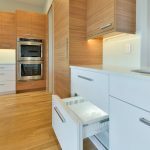 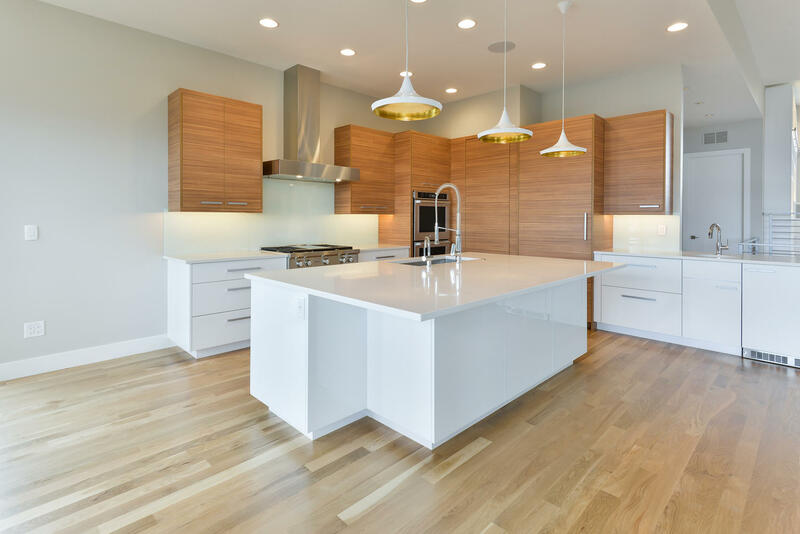 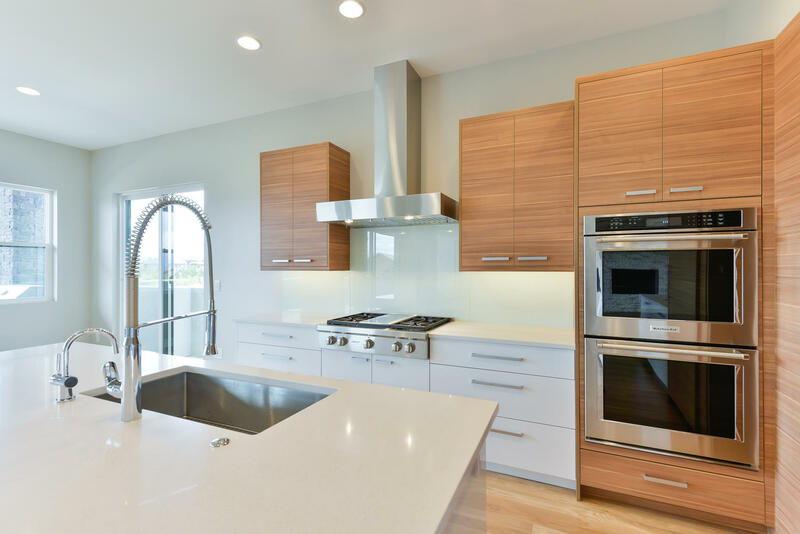 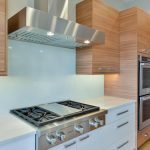 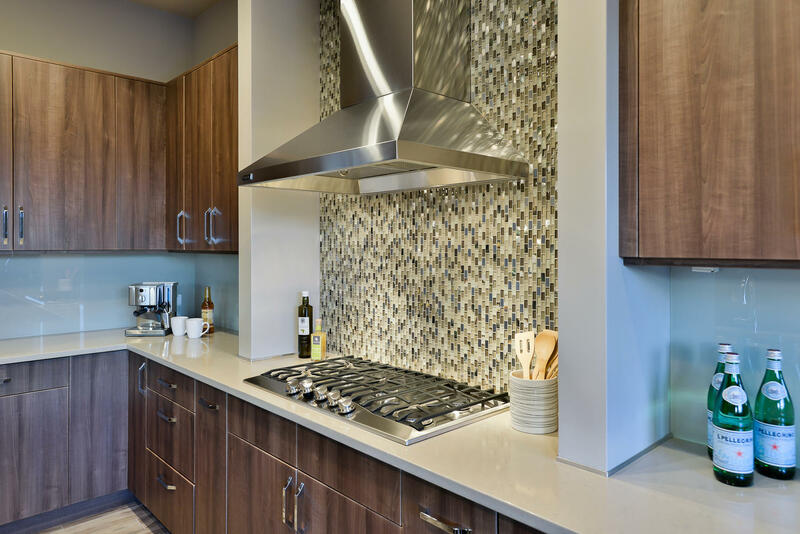 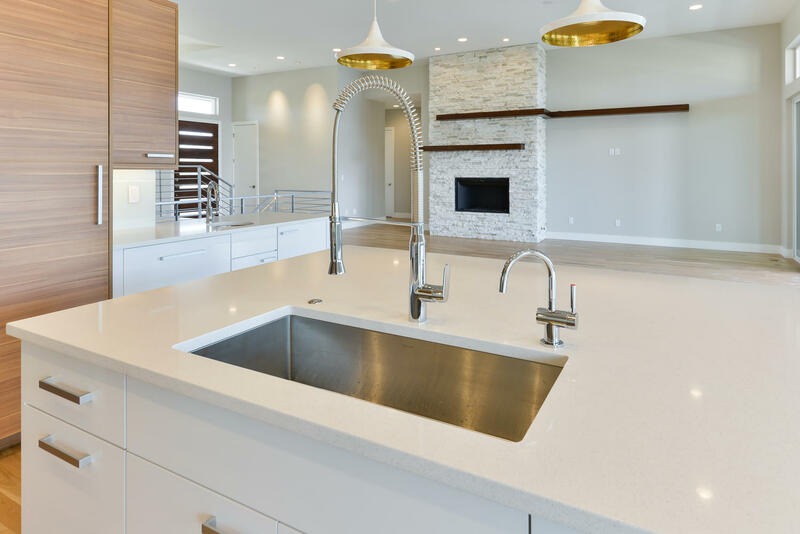 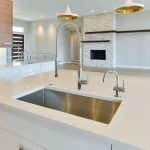 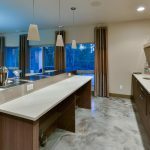 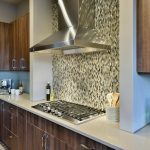 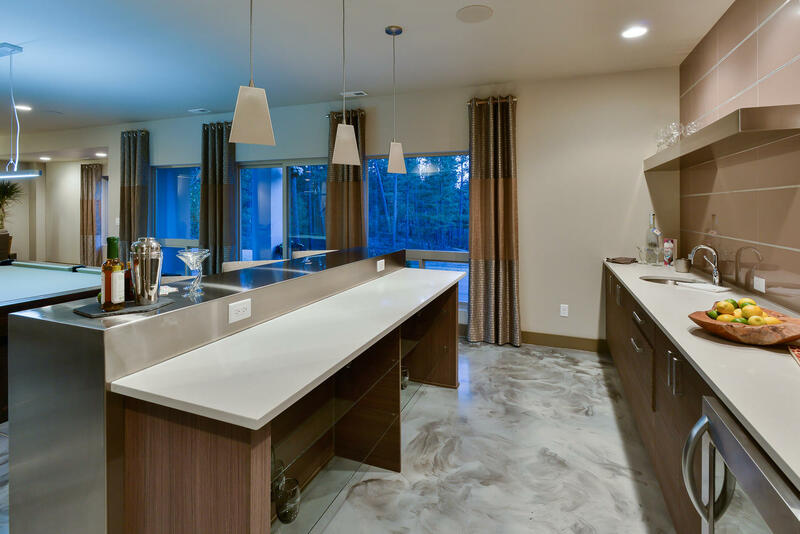 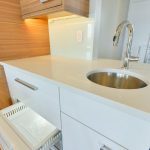 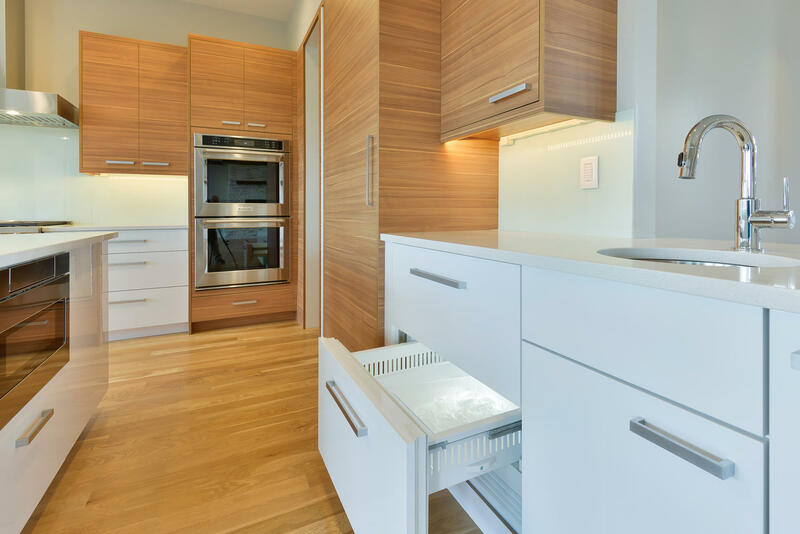 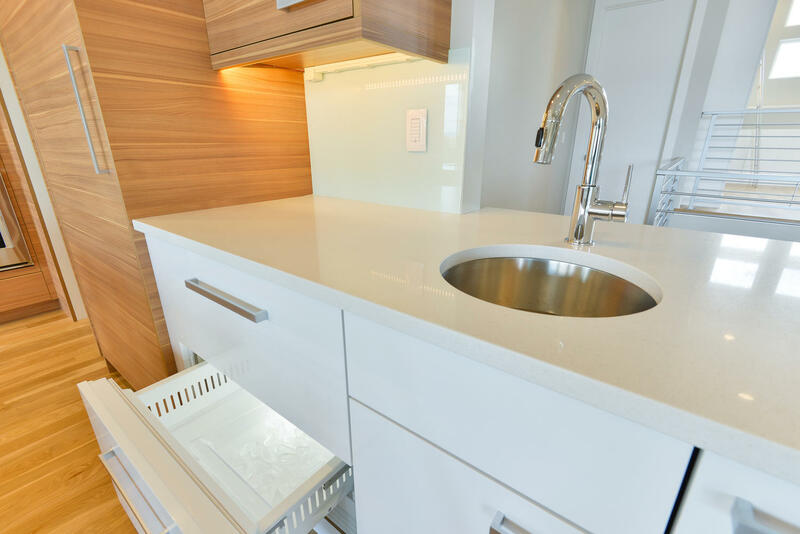 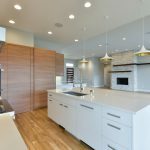 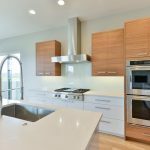 Quartz countertops and natural walnut cabinetry contrast elegantly against glossy white accent cabinets, while the suspended Quartzite hood steals the stage as the focal point of the kitchen. 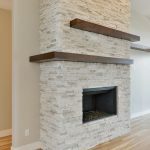 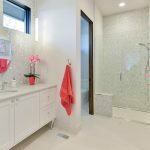 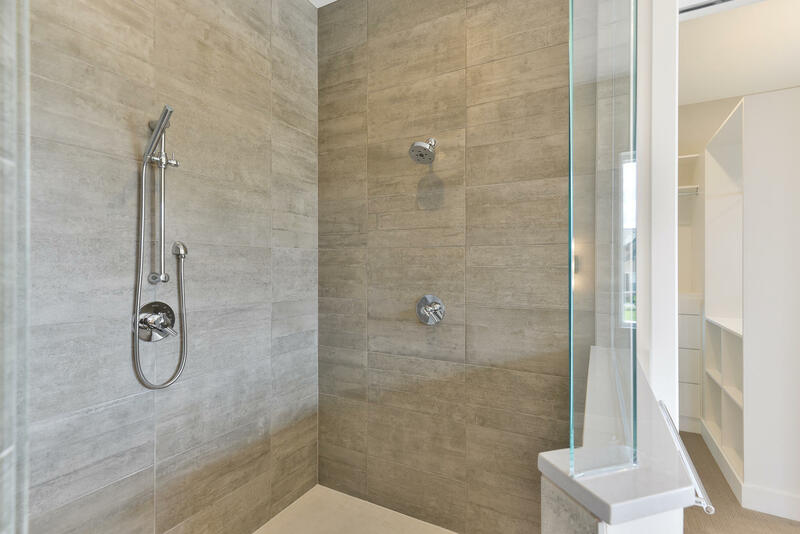 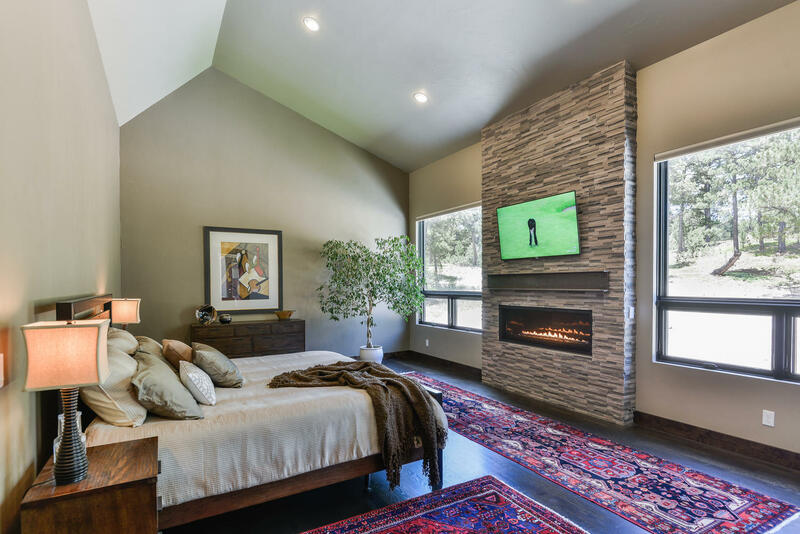 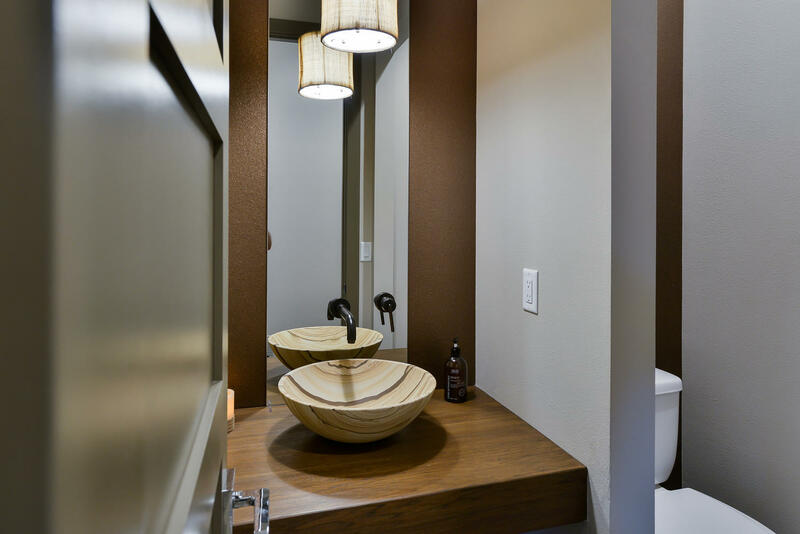 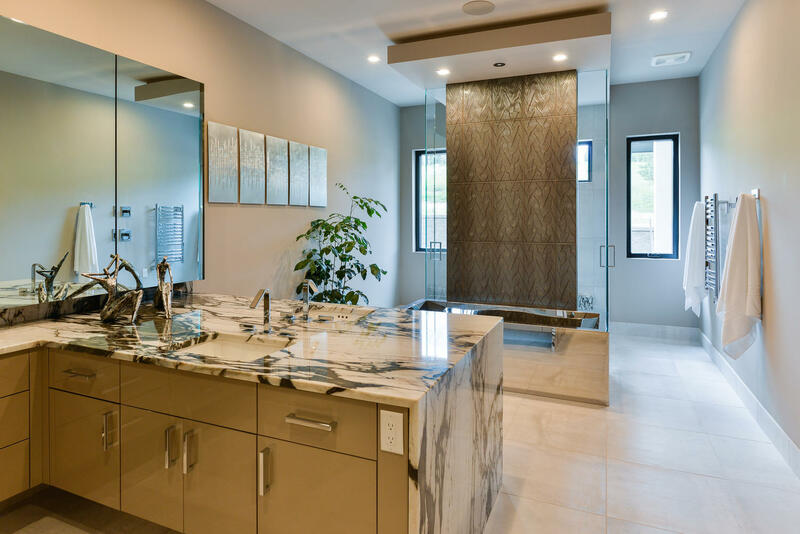 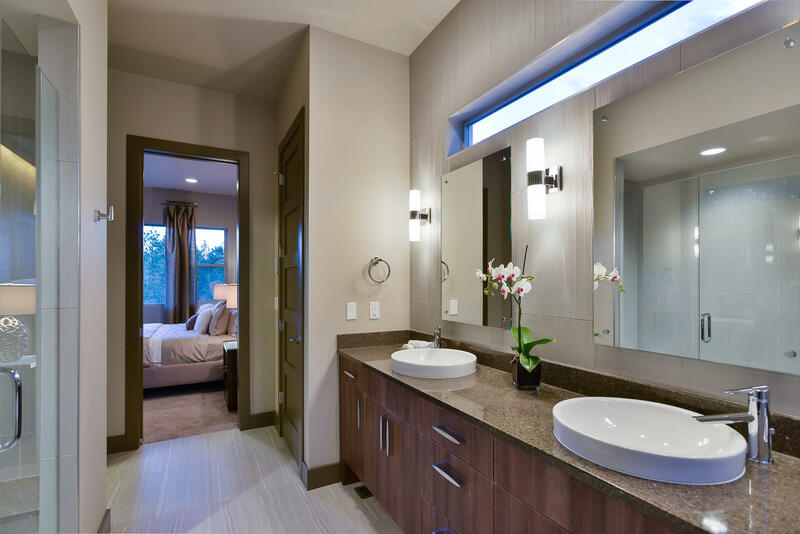 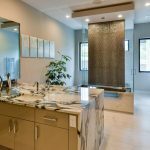 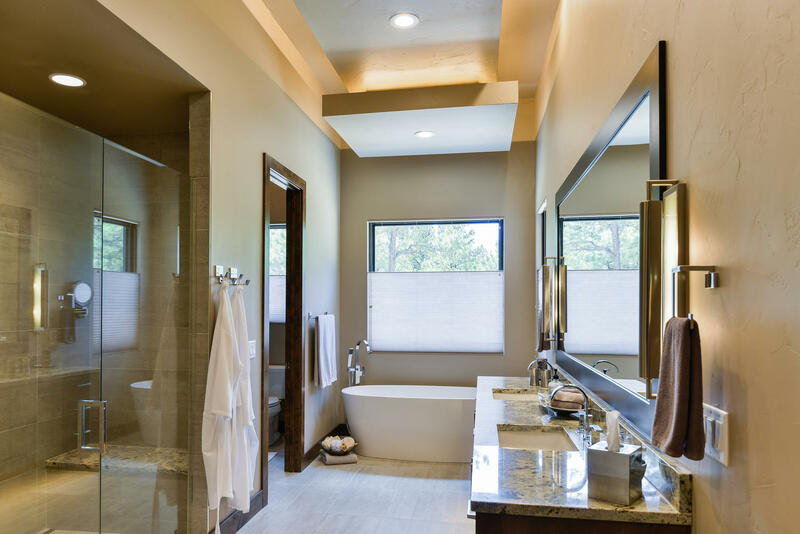 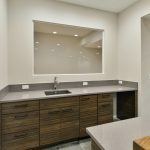 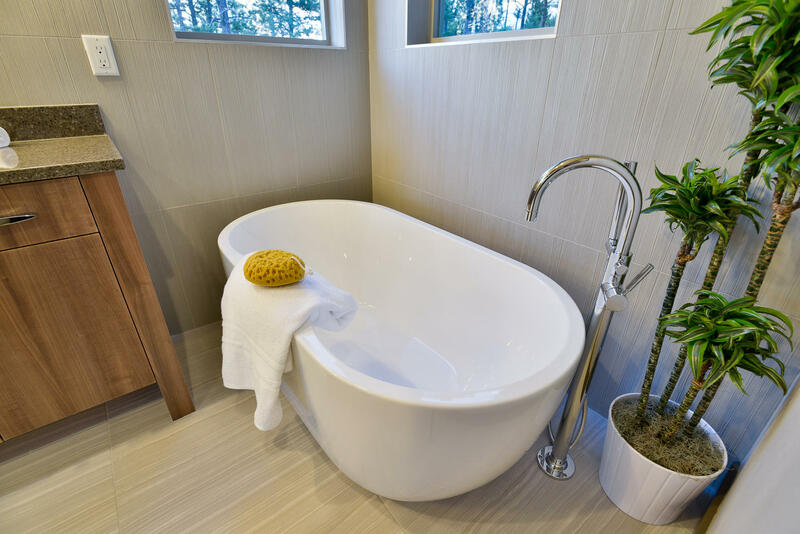 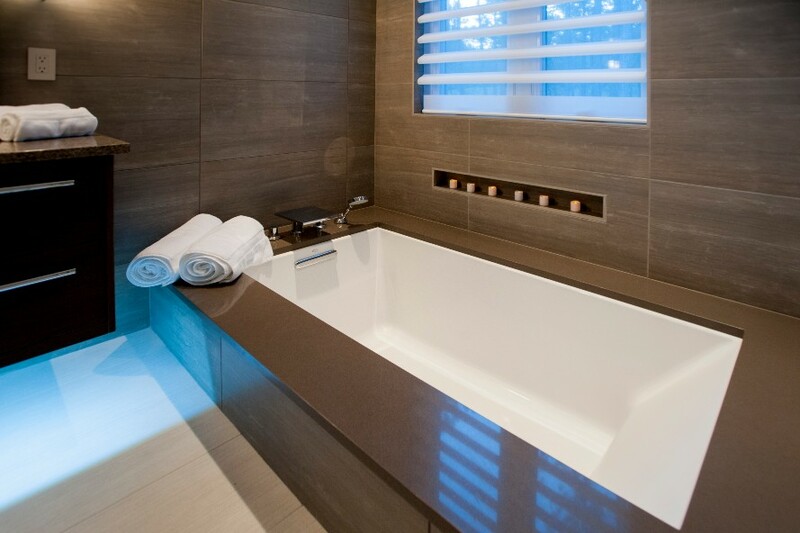 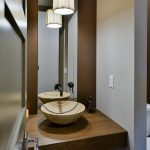 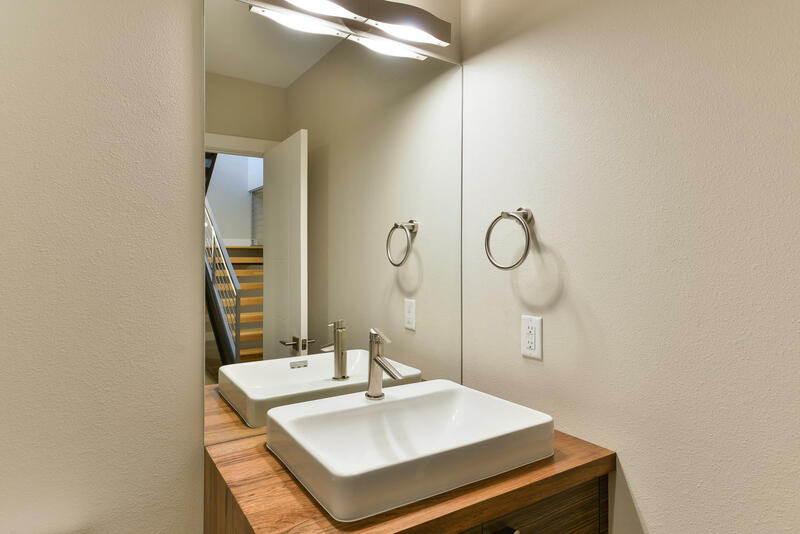 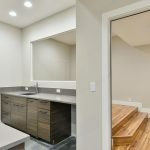 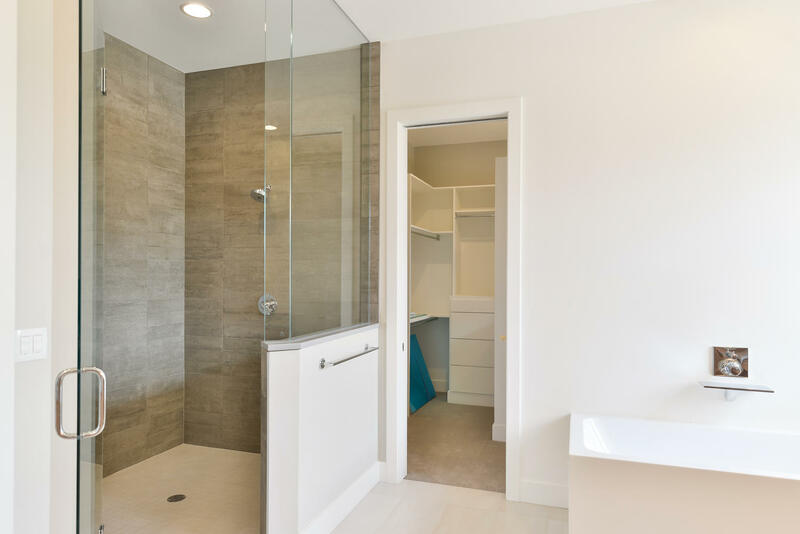 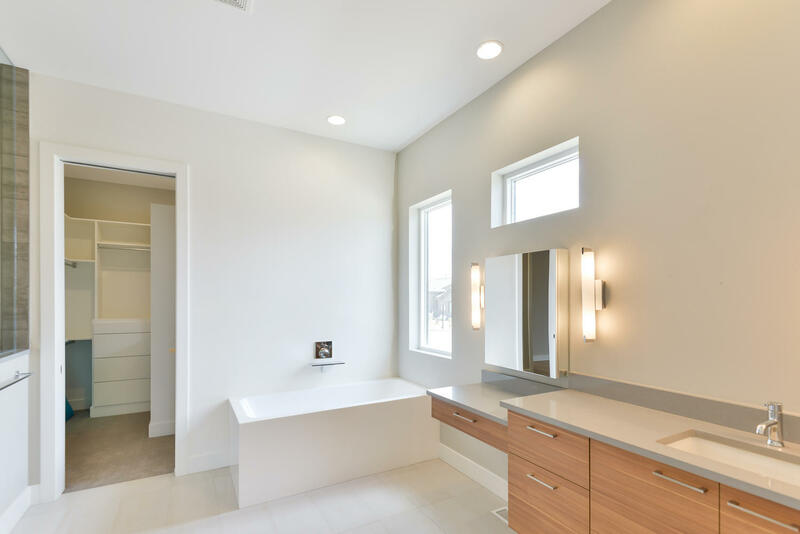 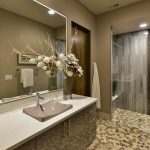 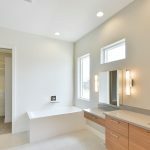 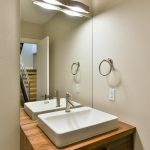 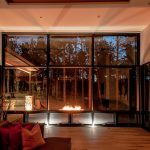 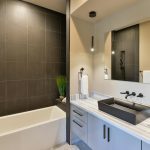 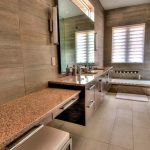 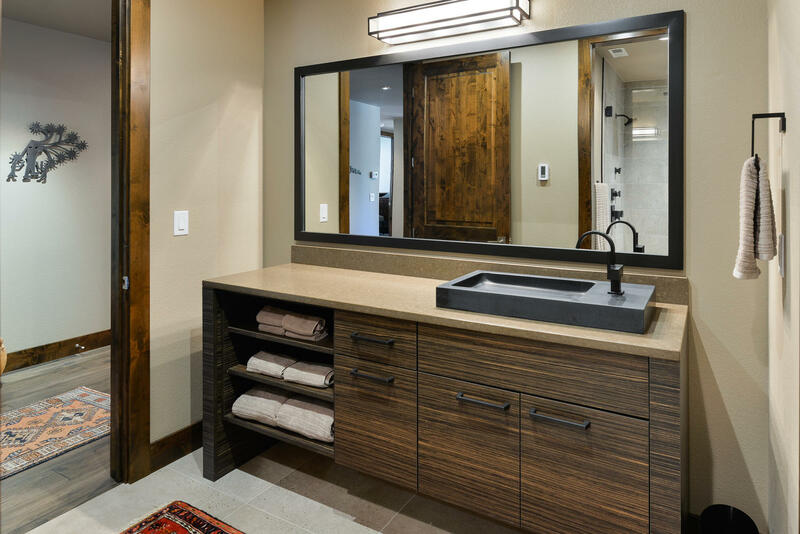 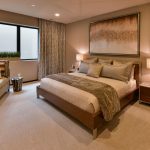 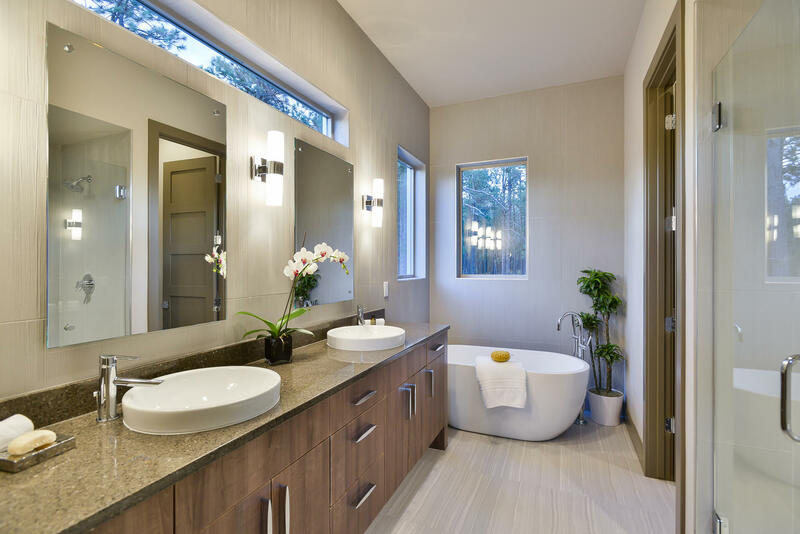 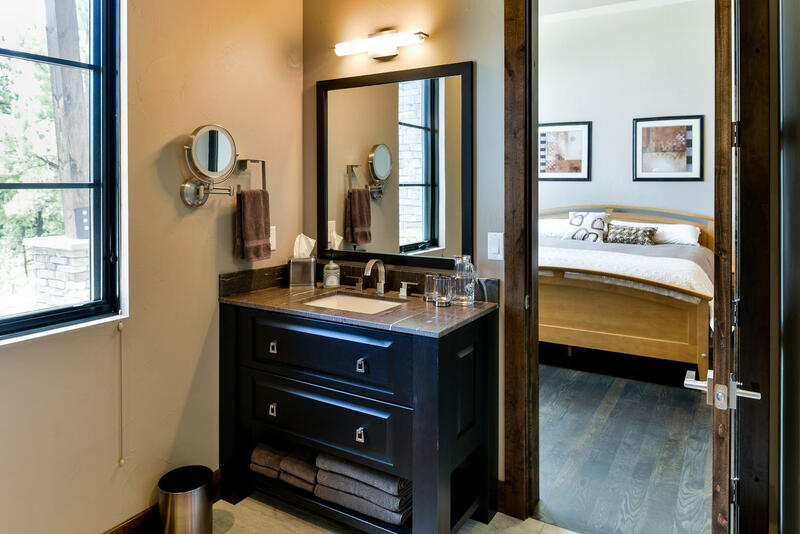 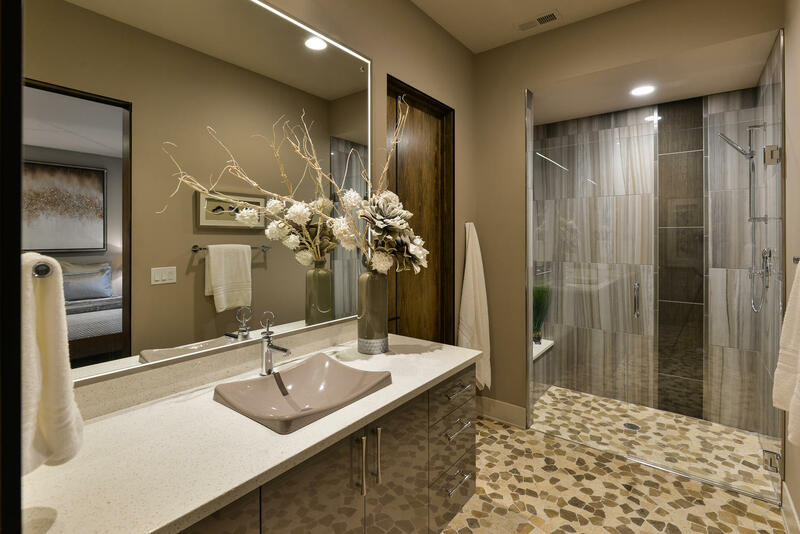 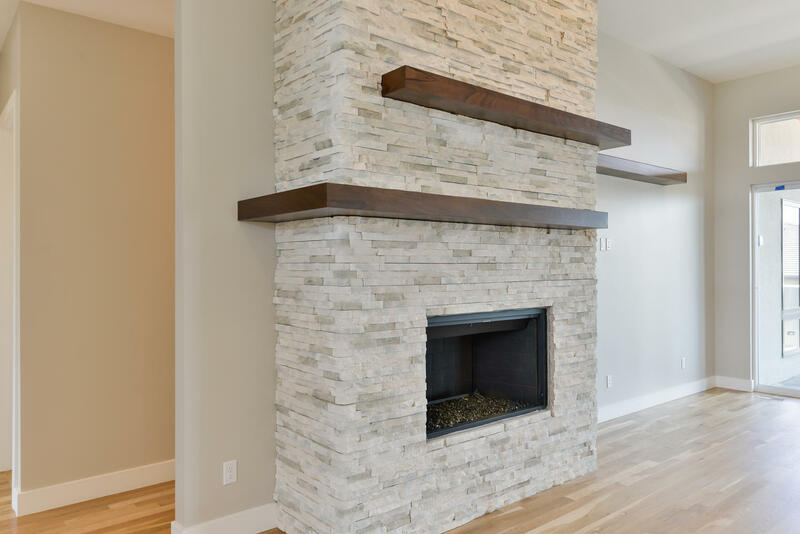 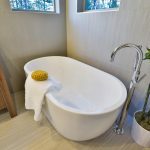 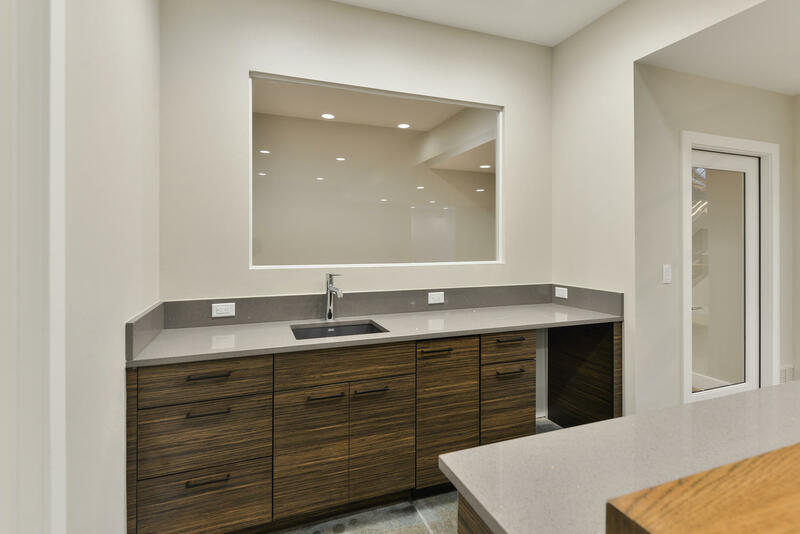 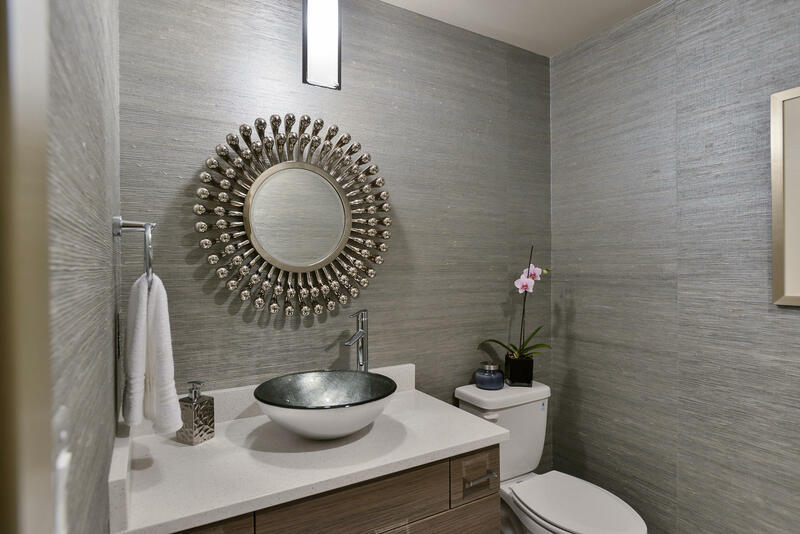 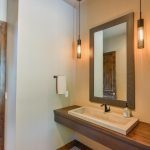 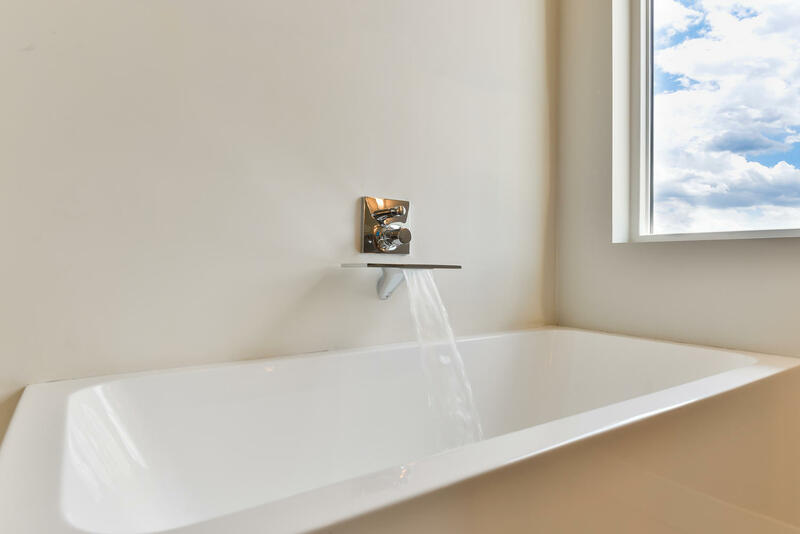 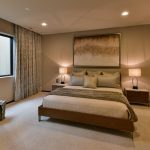 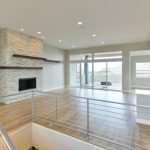 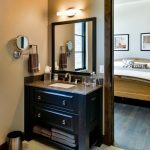 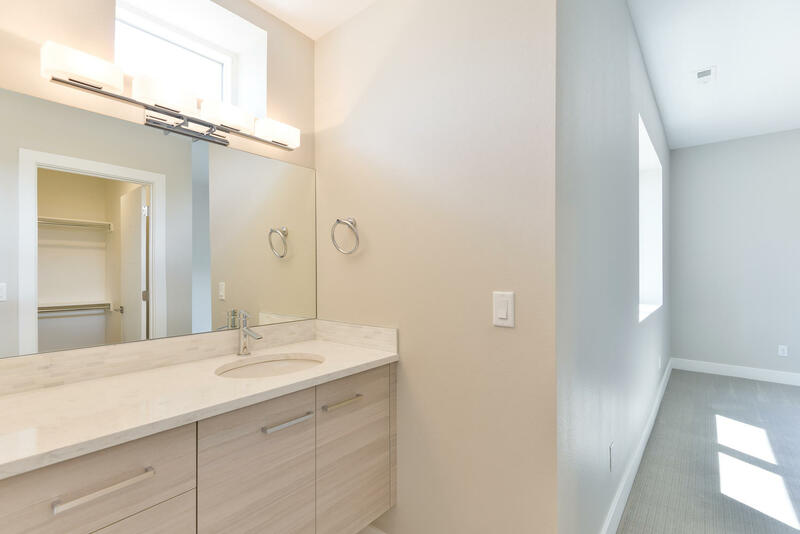 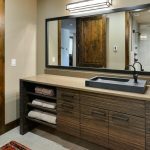 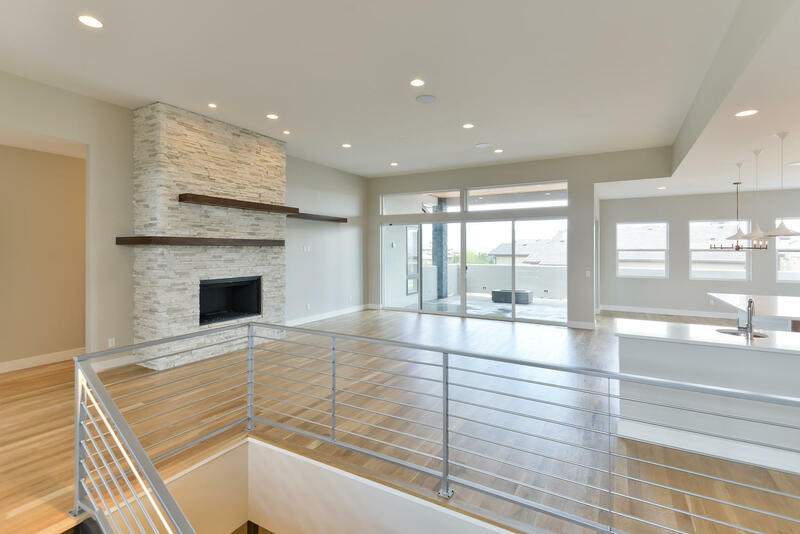 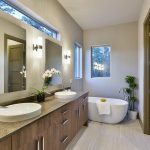 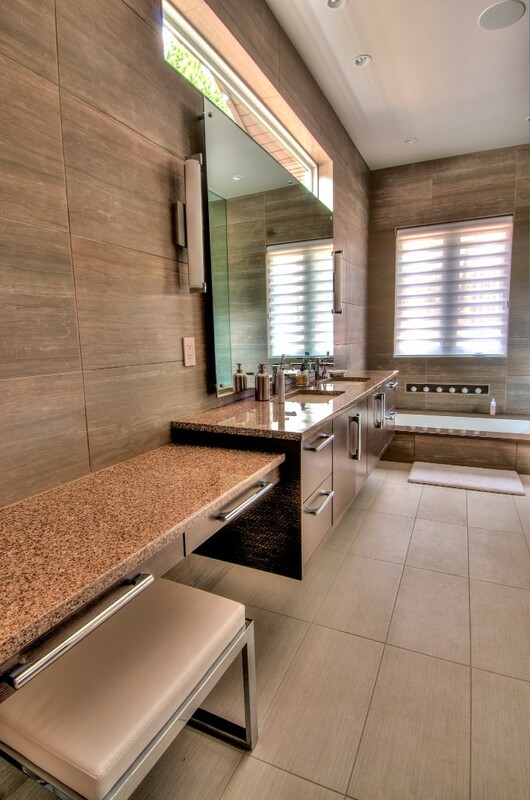 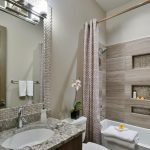 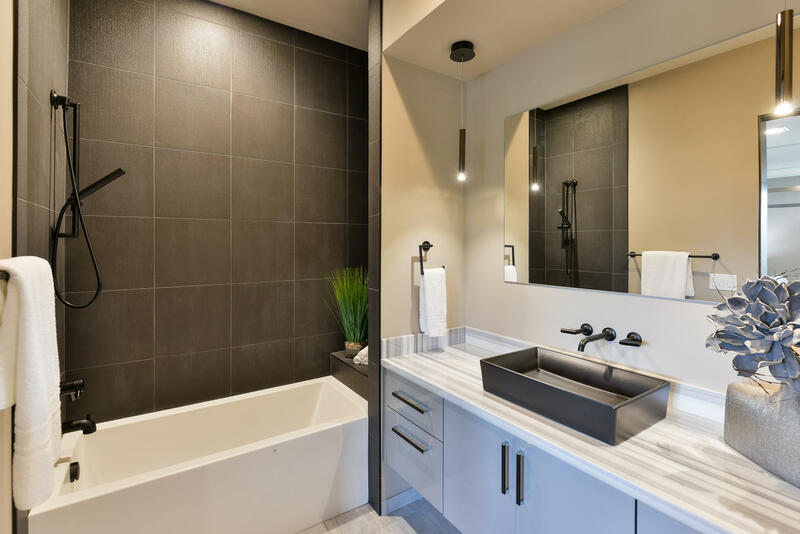 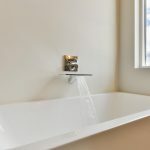 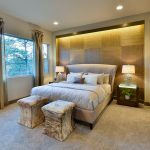 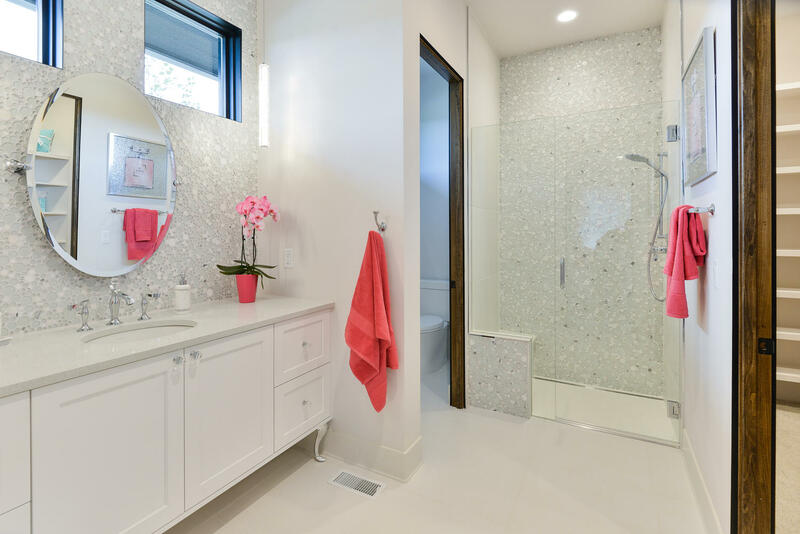 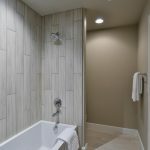 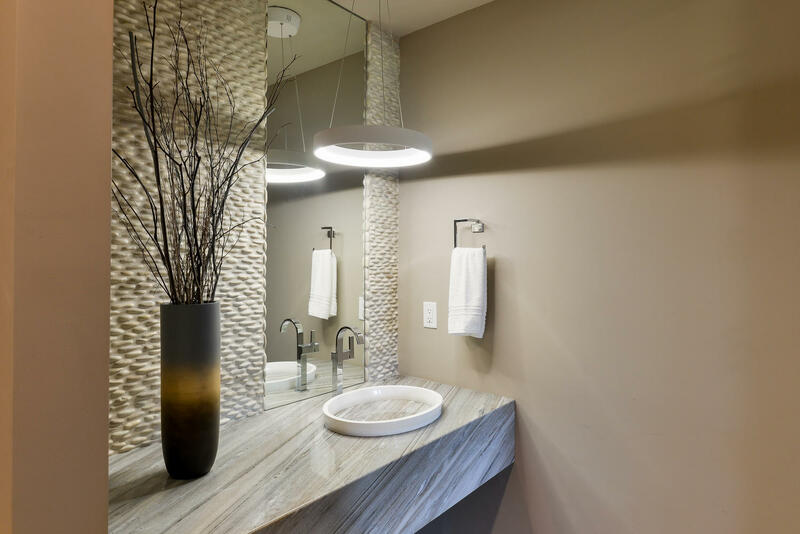 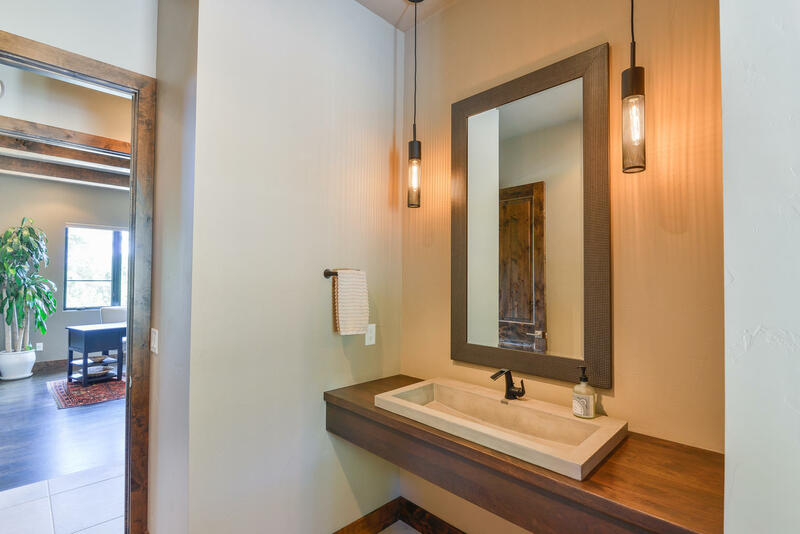 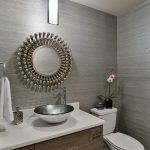 The master suite reveals a frameless three-sided glass fireplace with a wood and concrete hearth; the master bath presents a dramatic waterfall vanity, a chrome free-standing tub, and a walk-in shower with a floating bench and dual shower heads. 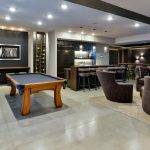 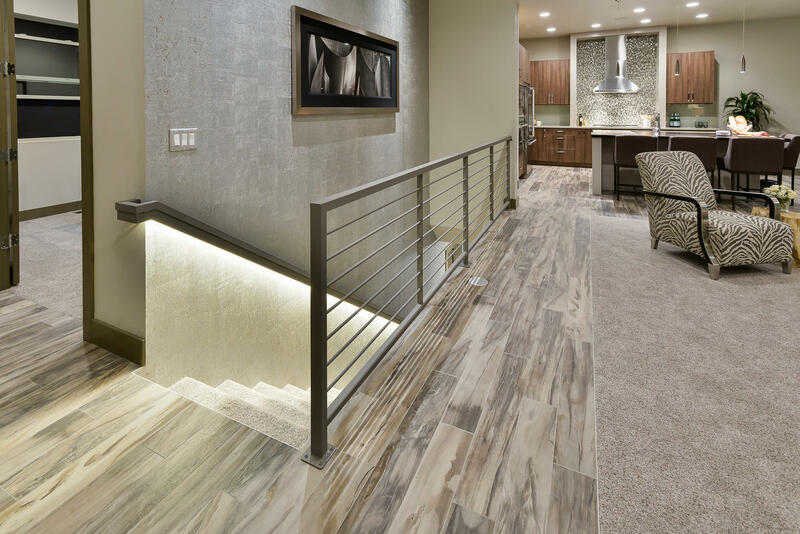 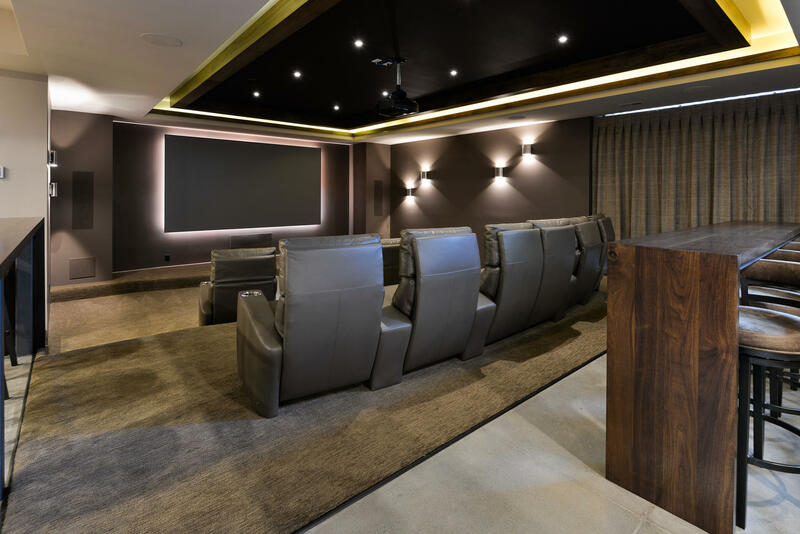 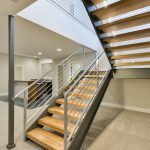 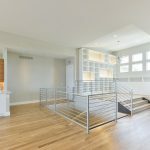 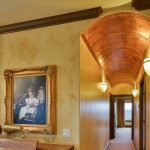 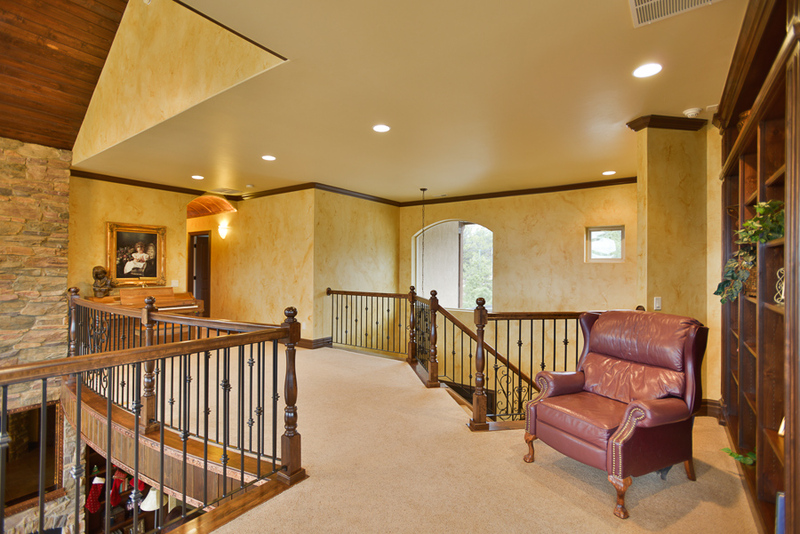 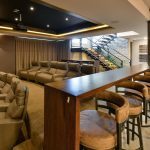 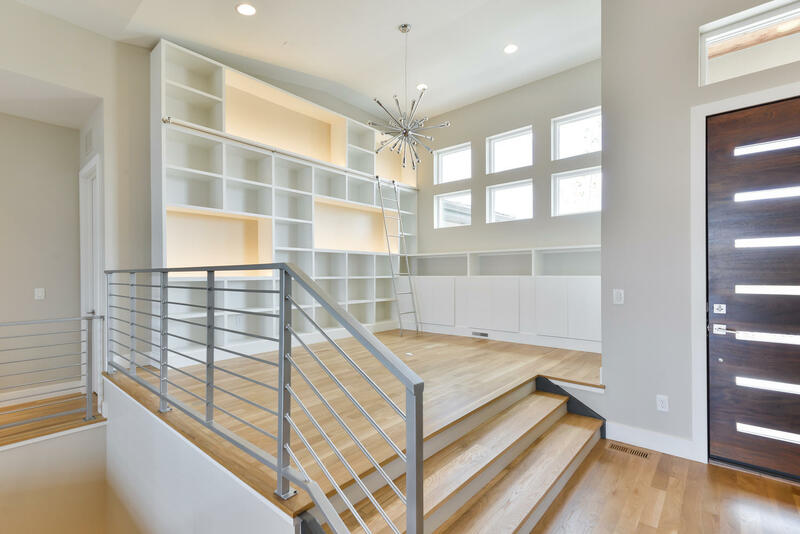 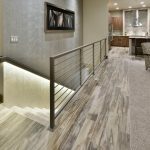 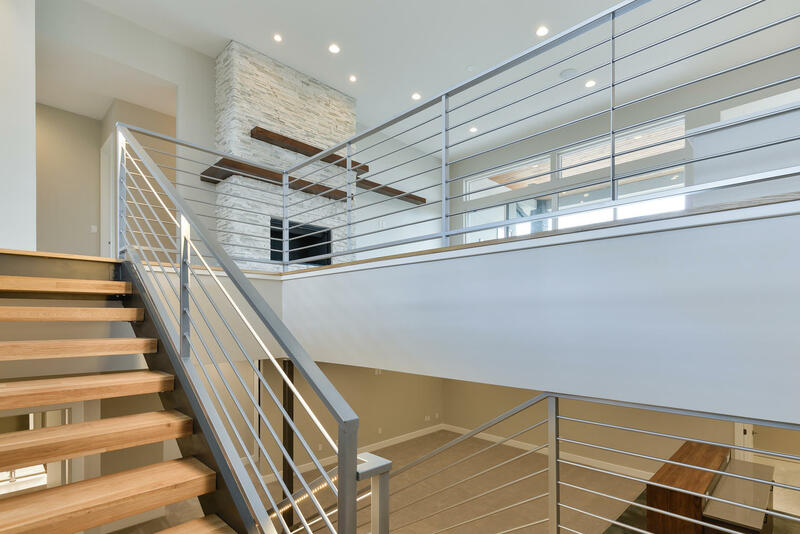 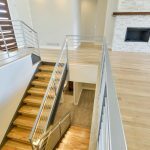 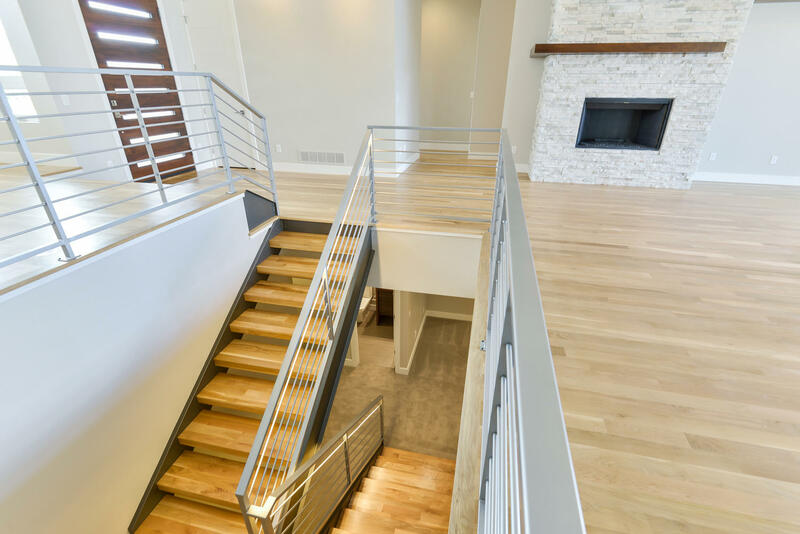 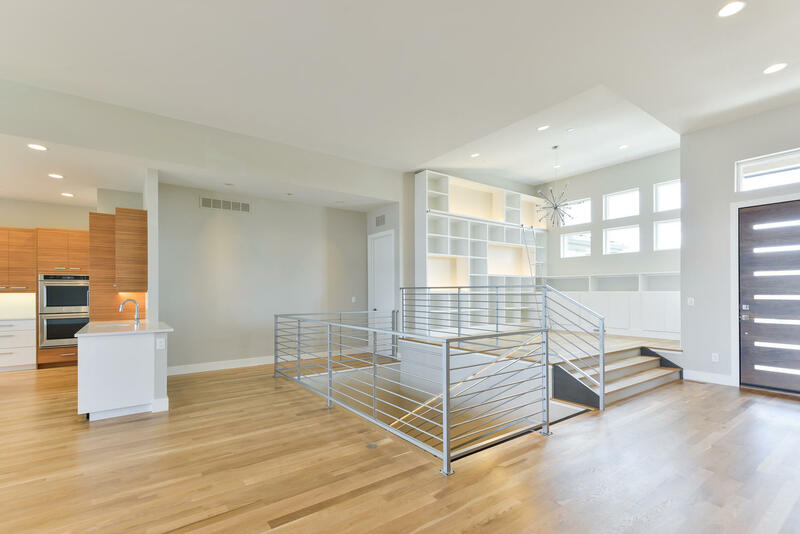 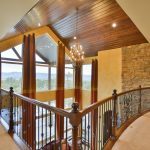 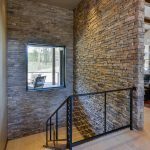 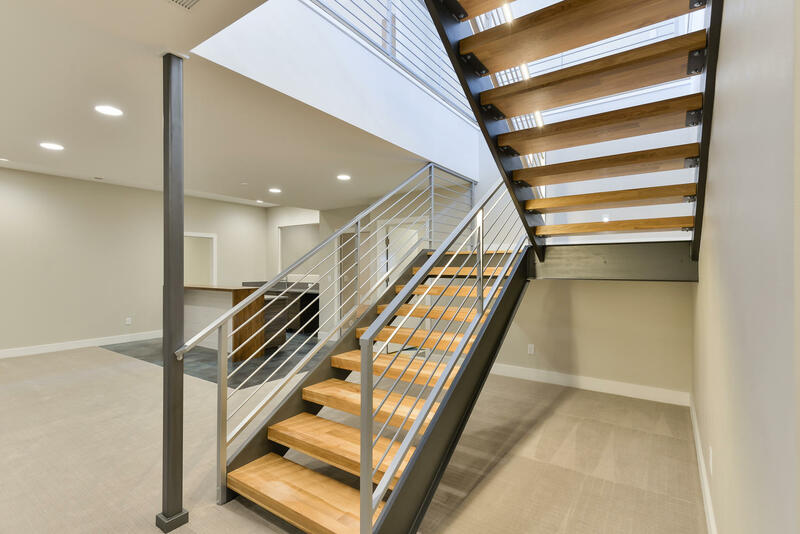 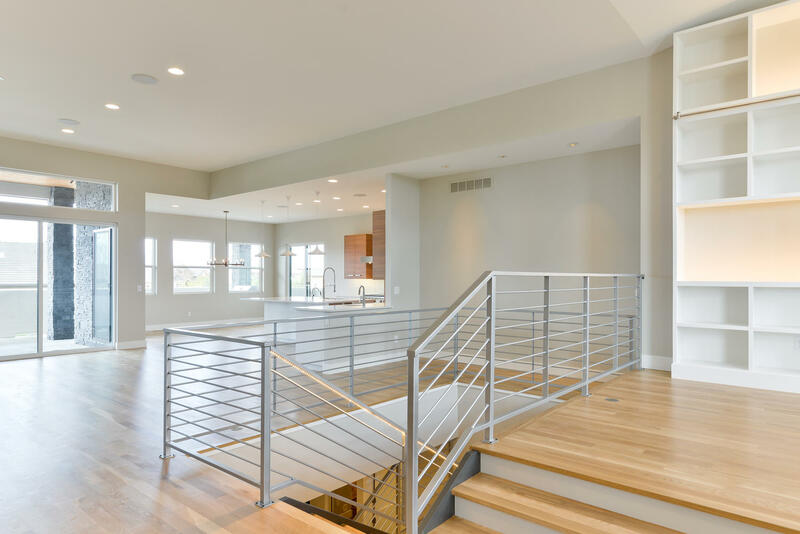 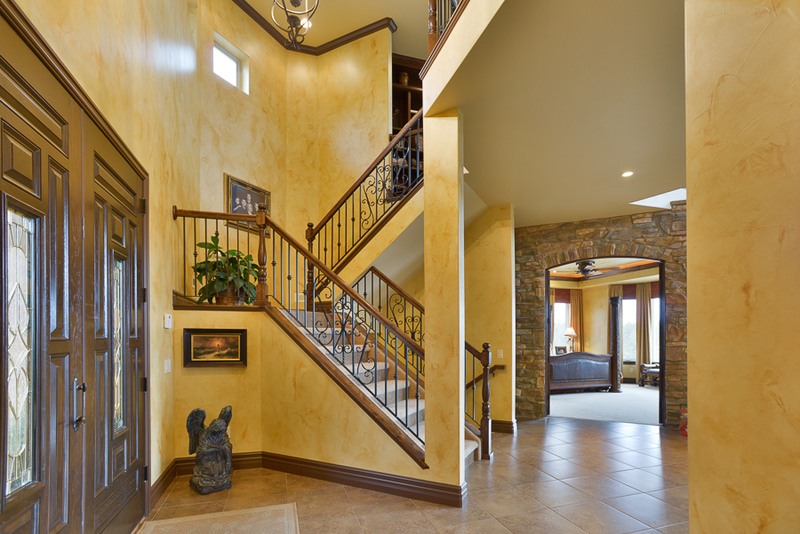 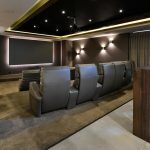 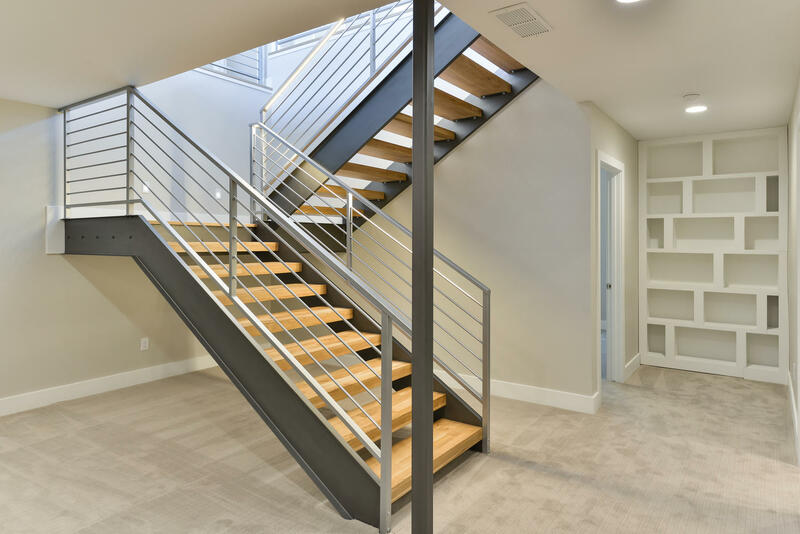 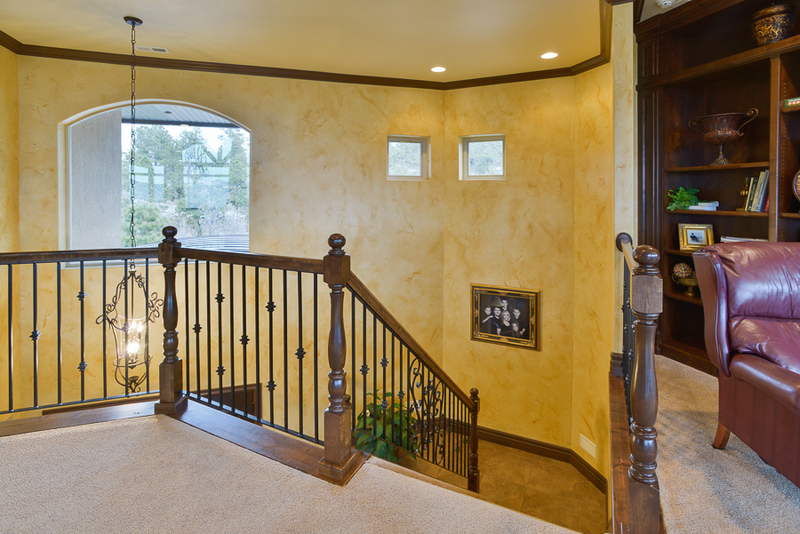 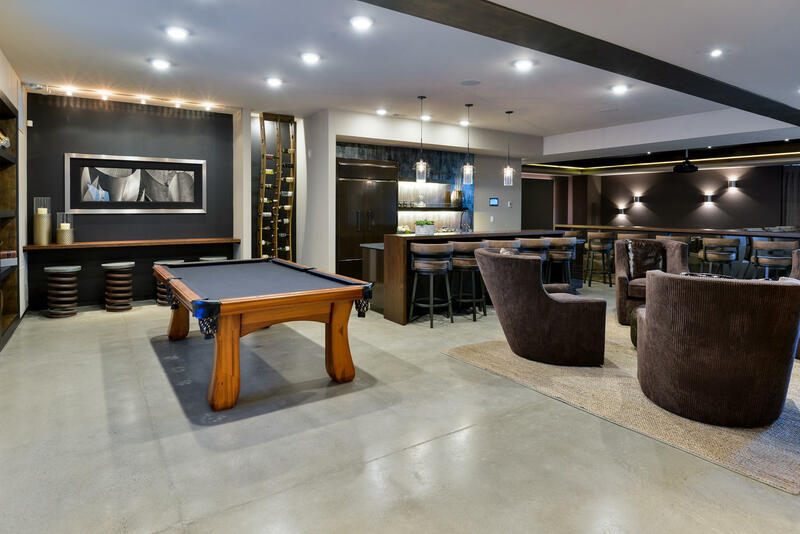 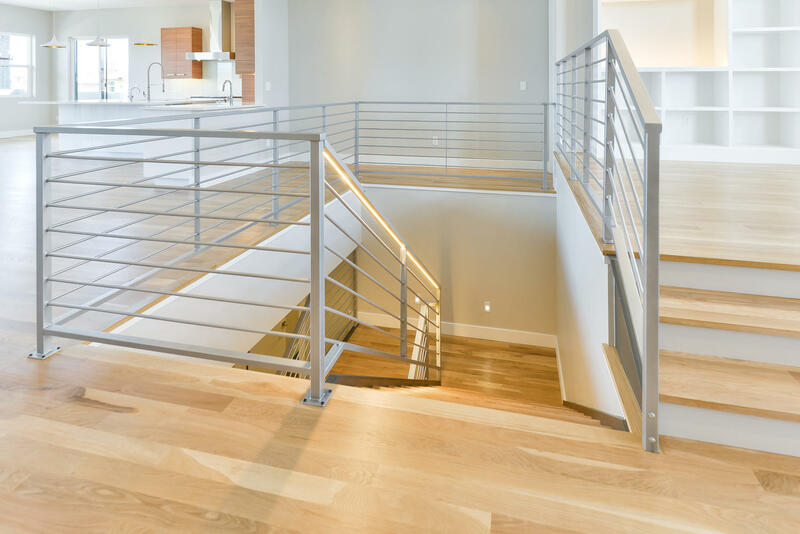 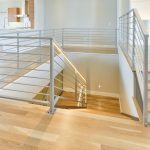 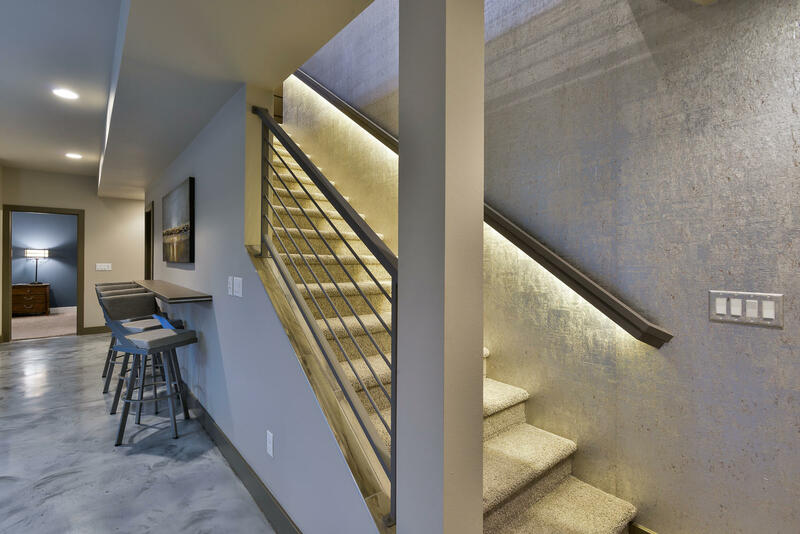 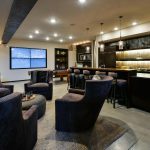 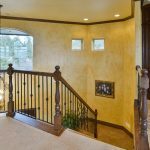 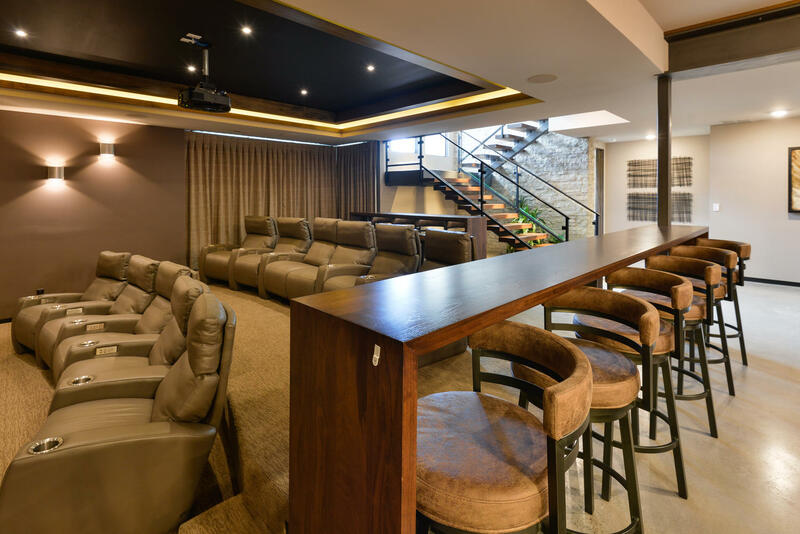 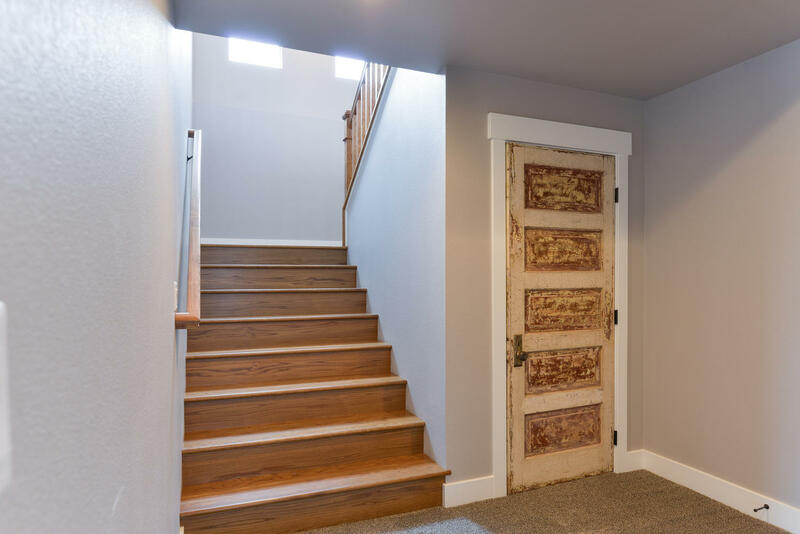 A dramatic walnut stairway leads to the walk-out lower level – a multi-functional space boasting an open theater that easily seats 20, a pool table, wine storage, a media wall, walk-behind bar, and built-ins. 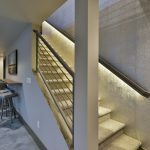 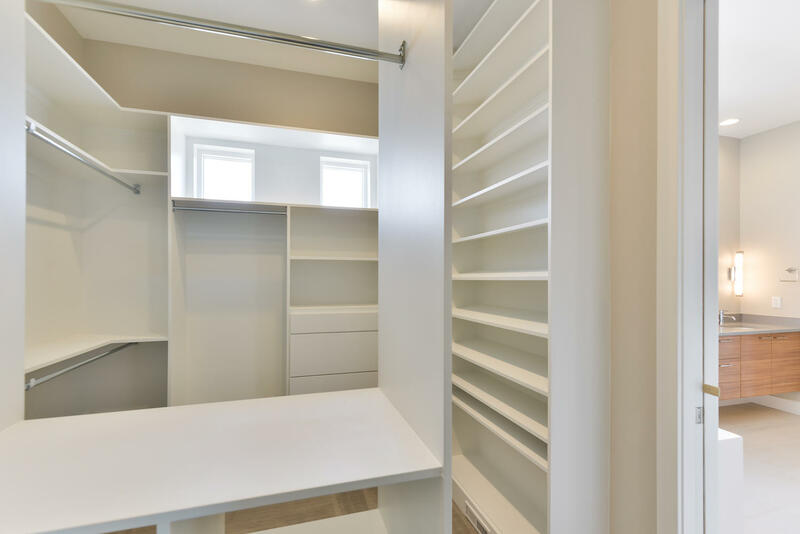 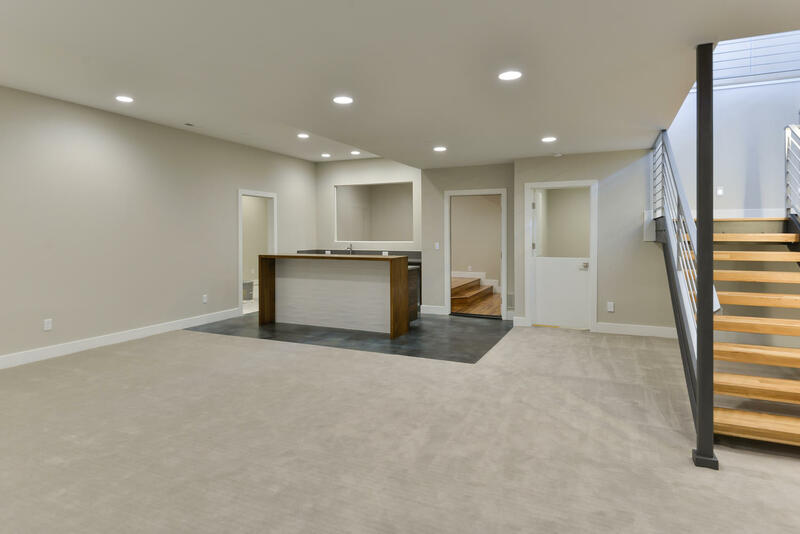 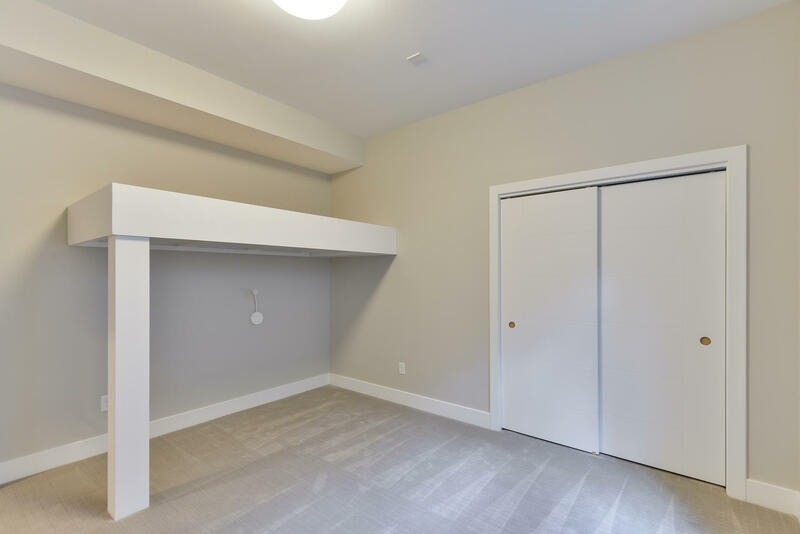 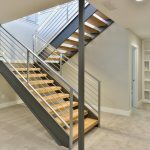 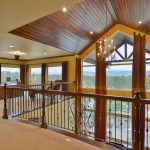 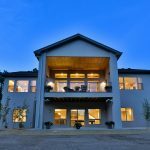 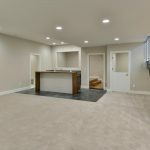 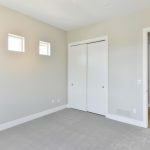 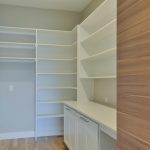 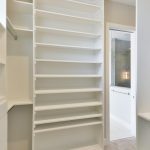 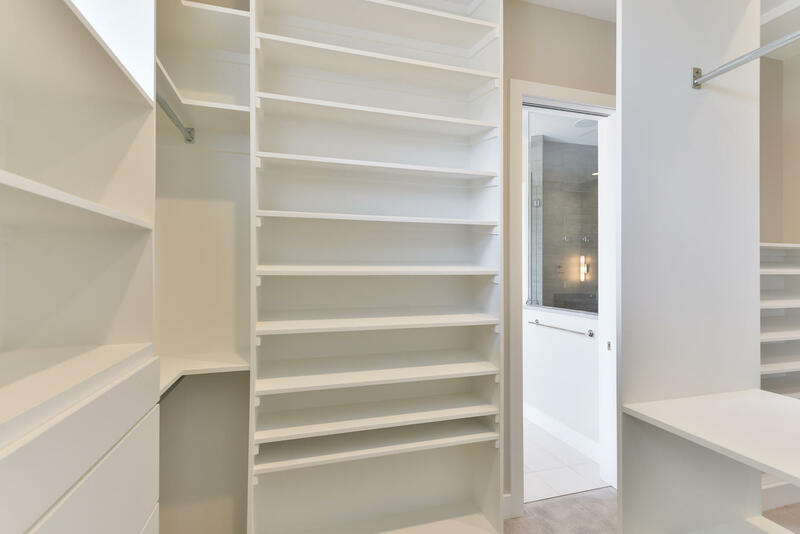 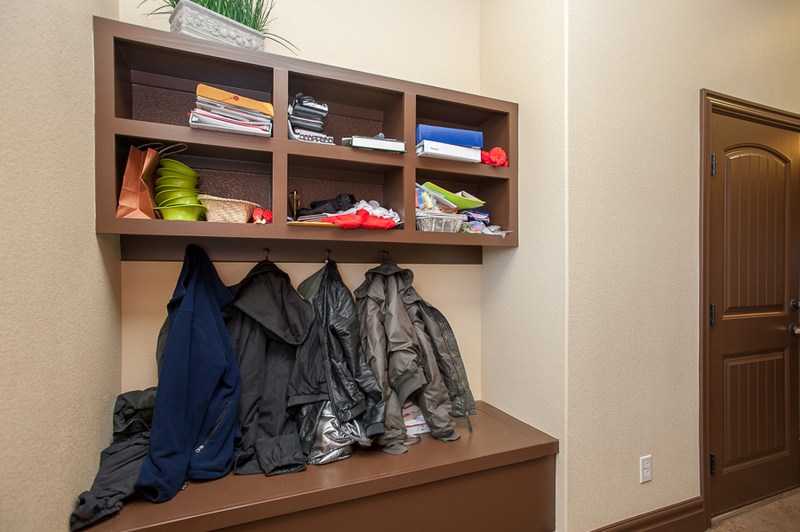 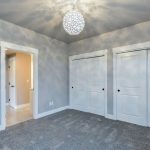 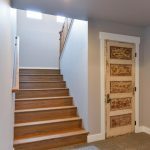 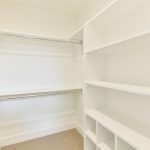 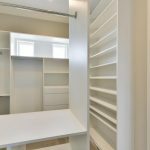 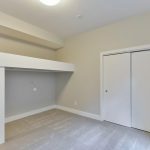 Two additional ensuite bedrooms, an additional laundry room, and a stairway to the upper-level garage complete the lower level. 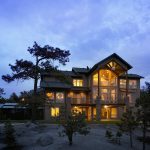 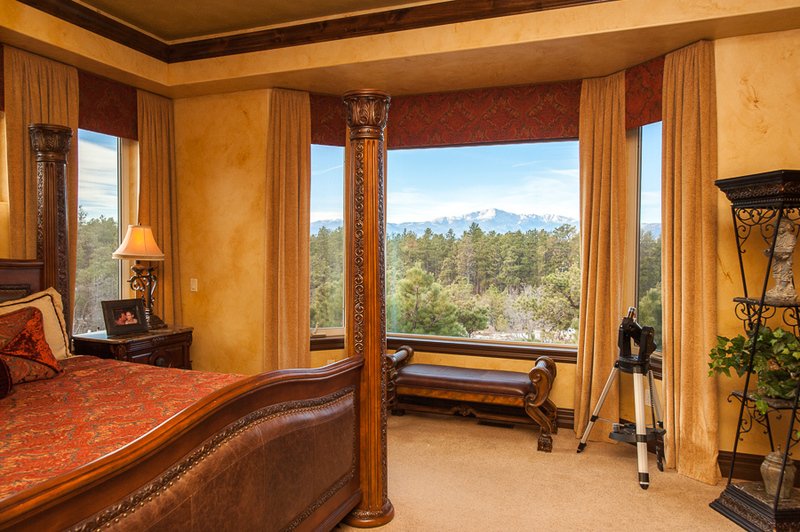 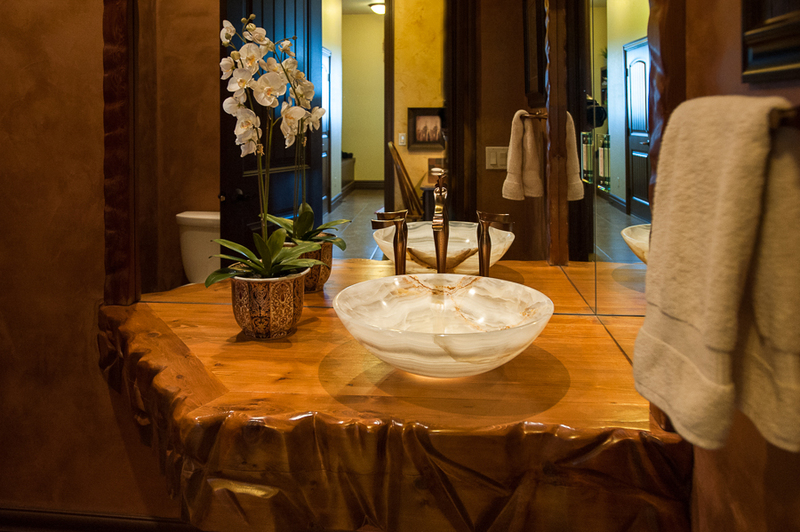 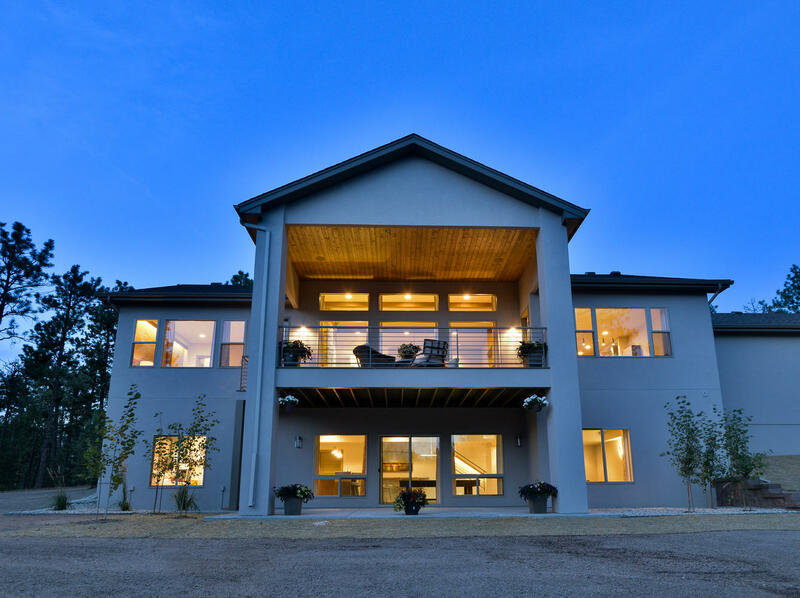 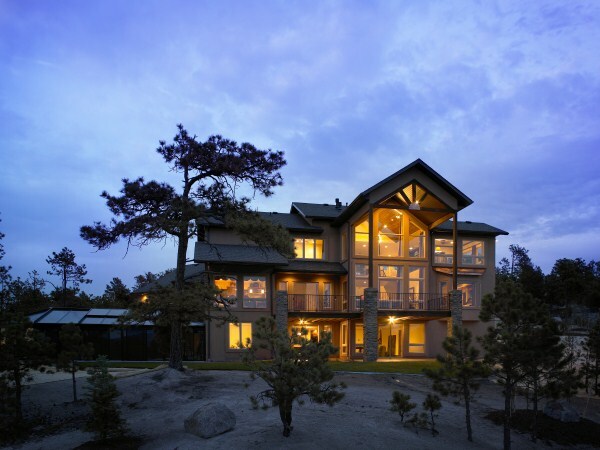 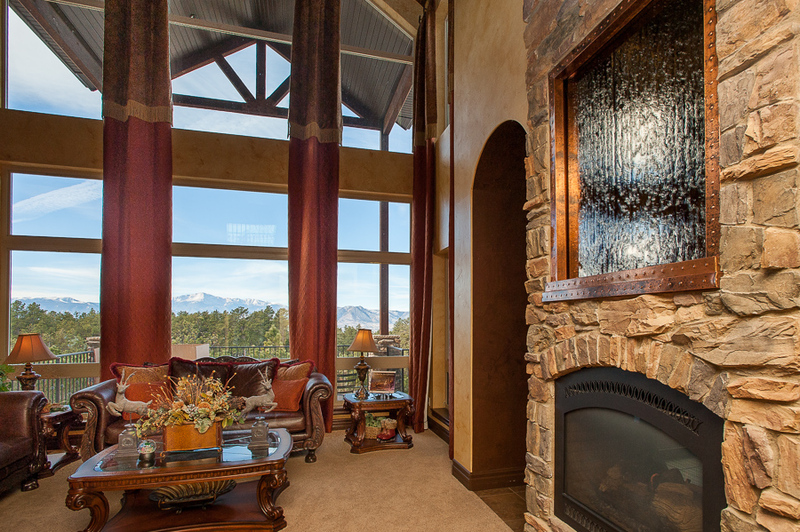 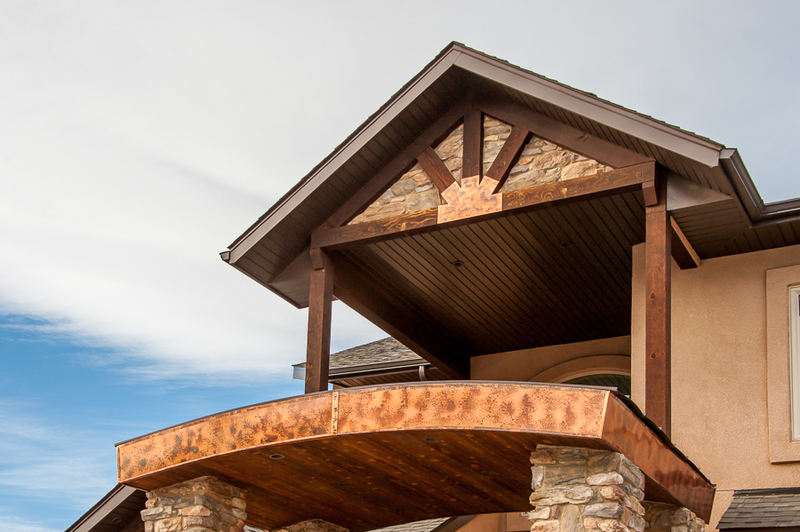 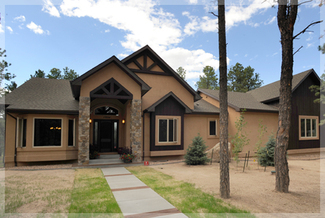 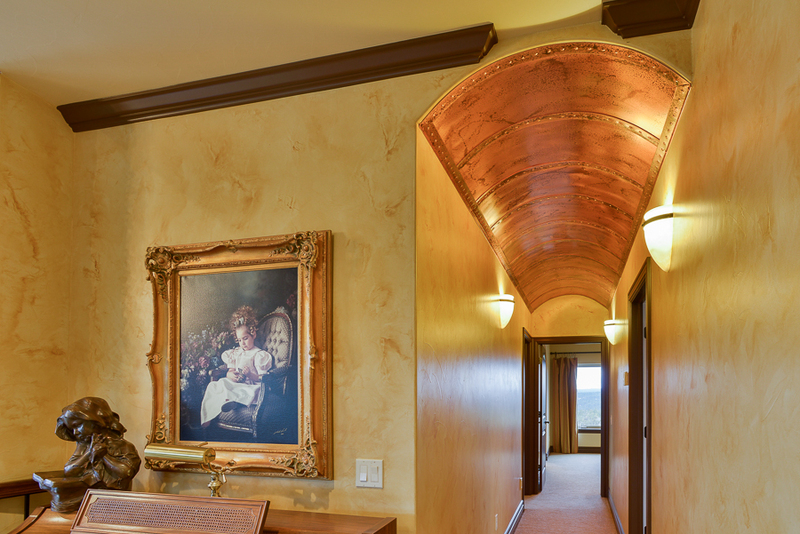 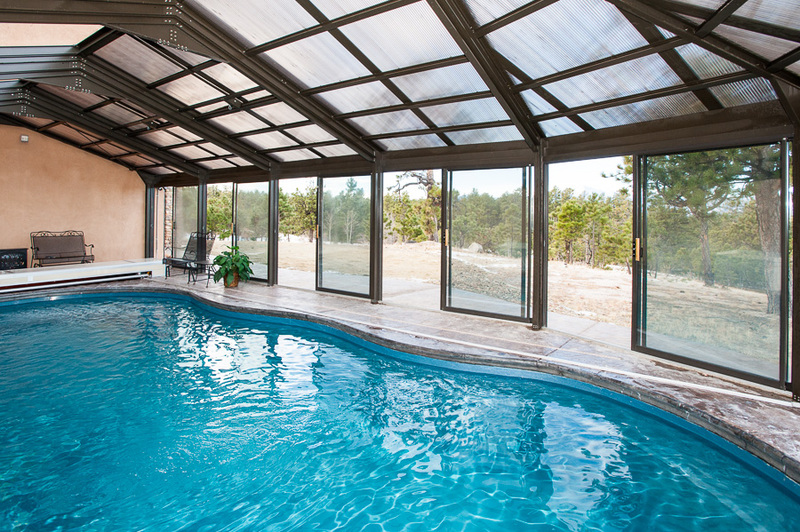 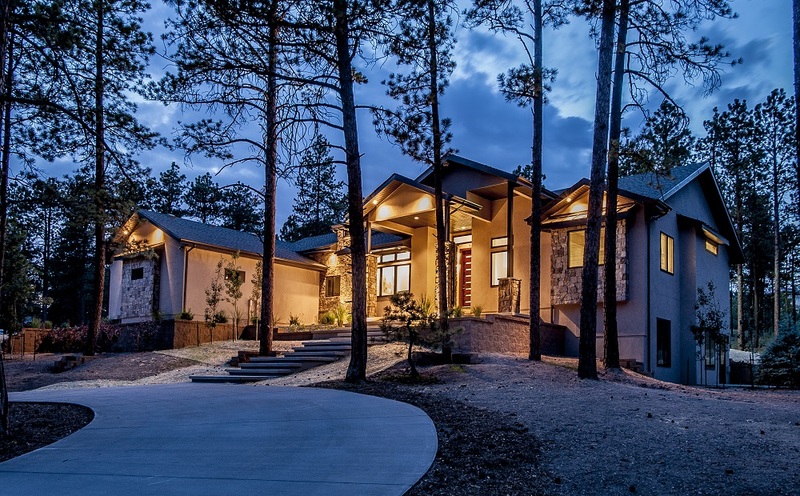 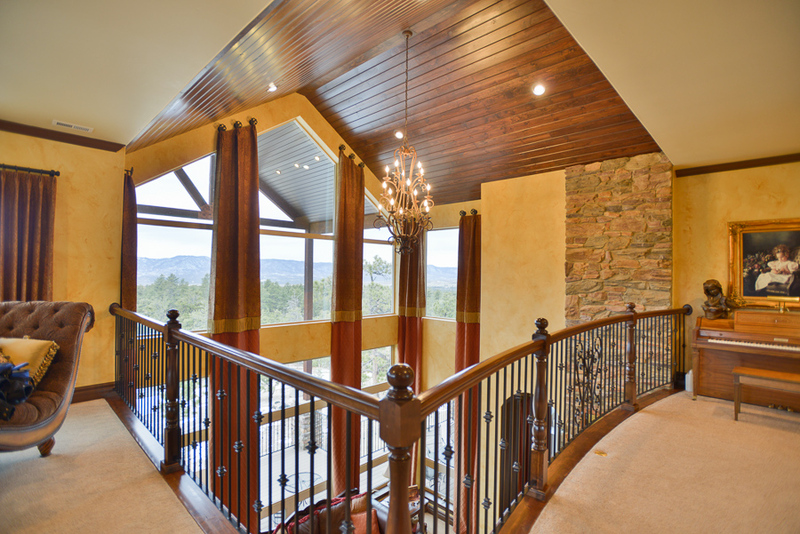 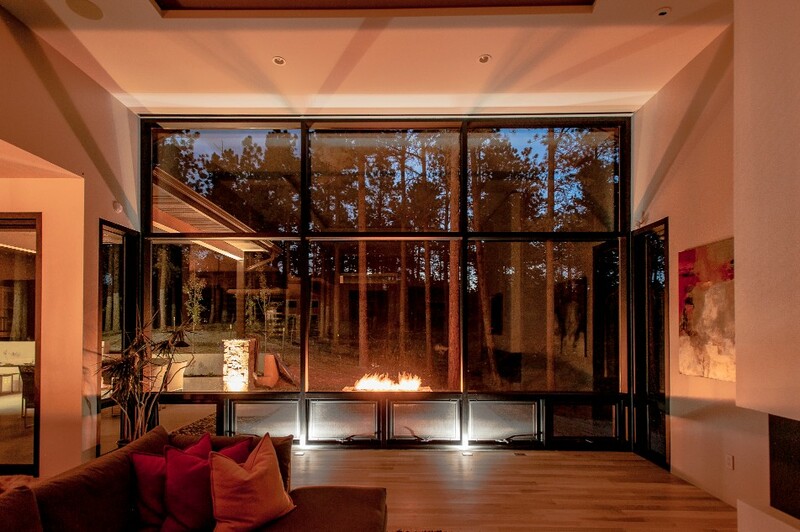 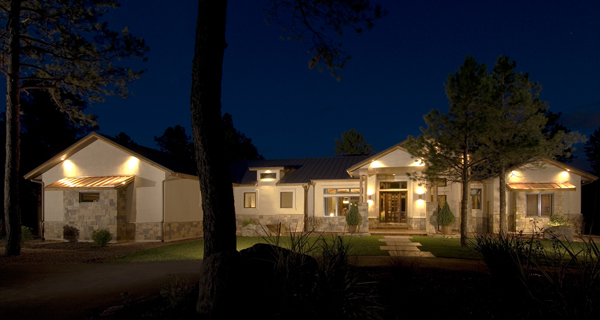 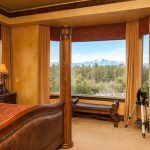 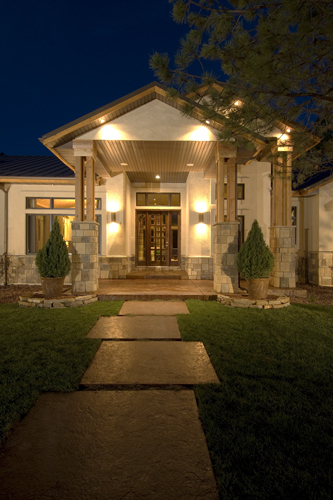 A contemporary jewel box in a dignified country setting – Colorado Divinity. 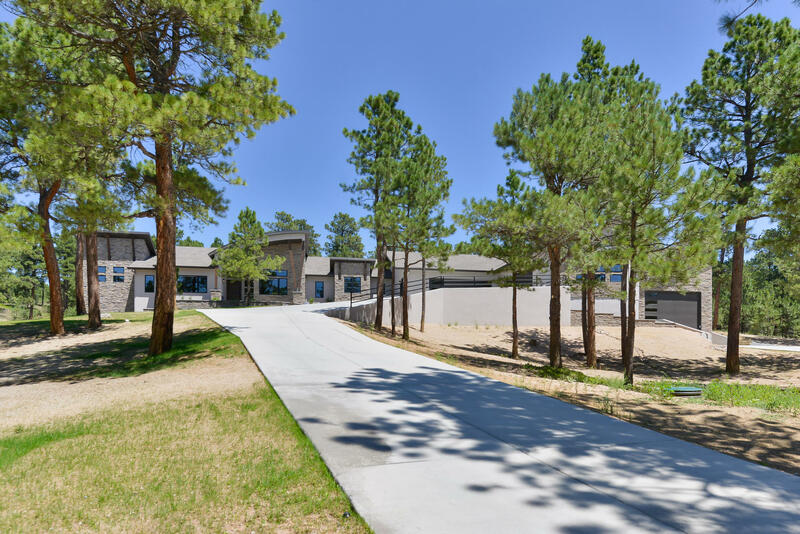 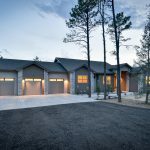 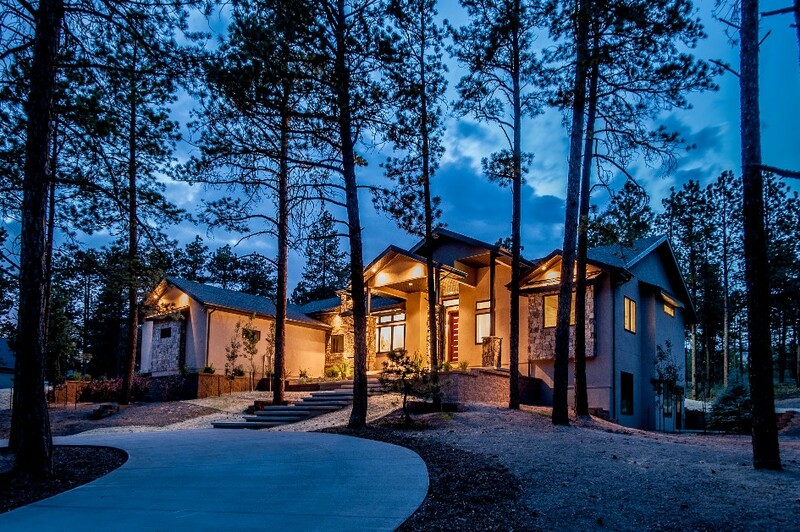 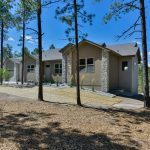 This unique custom home is perfectly nestled on this treed lot backing to open space. 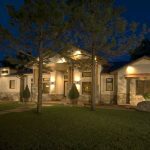 The finishing touches are truly exceptional: Knotty alder european cabinetry thru out, butlers pantry, walk in kitchen pantry, decor stainless steel appliances, solid slab granite counters, covered & uncovered trex decking, 3 sided fireplace in rec room with walk behind bar, dedicated home theatre, 2 sided fireplace in master, walk in dual head shower, natural stone and imported marble, numerous ceiling details and stone accents. 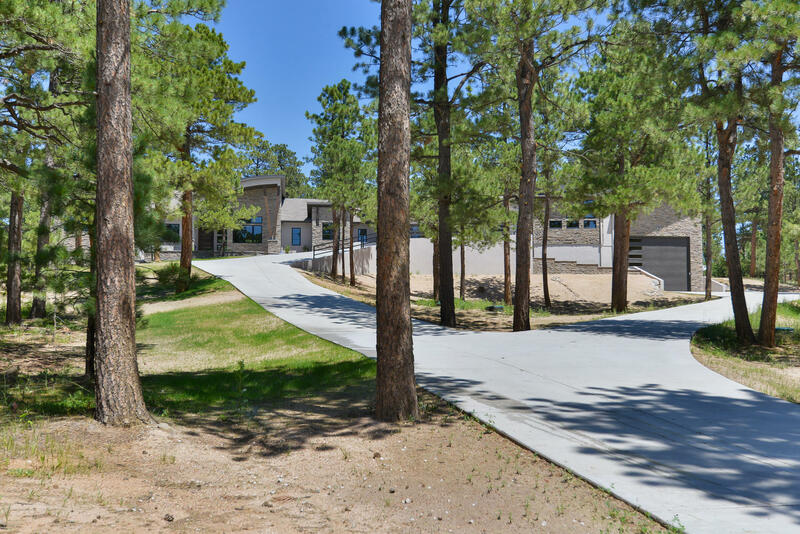 Your choice of d-20 or d-38 schools. 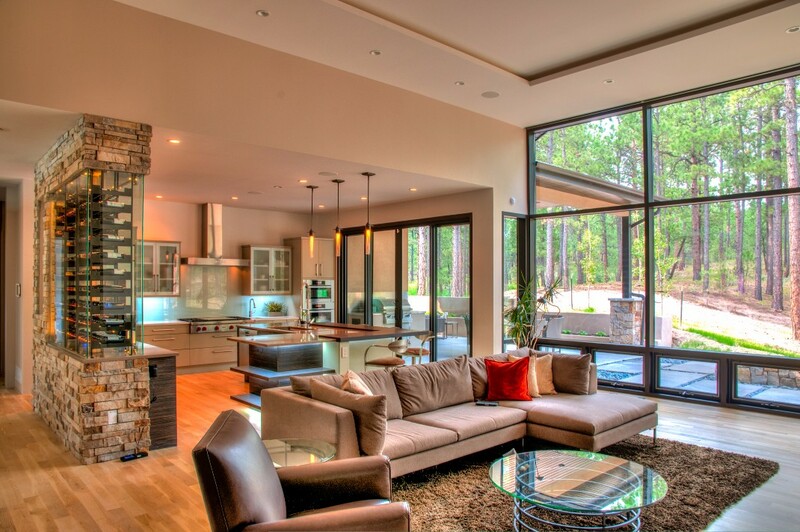 Certified Built Green home. 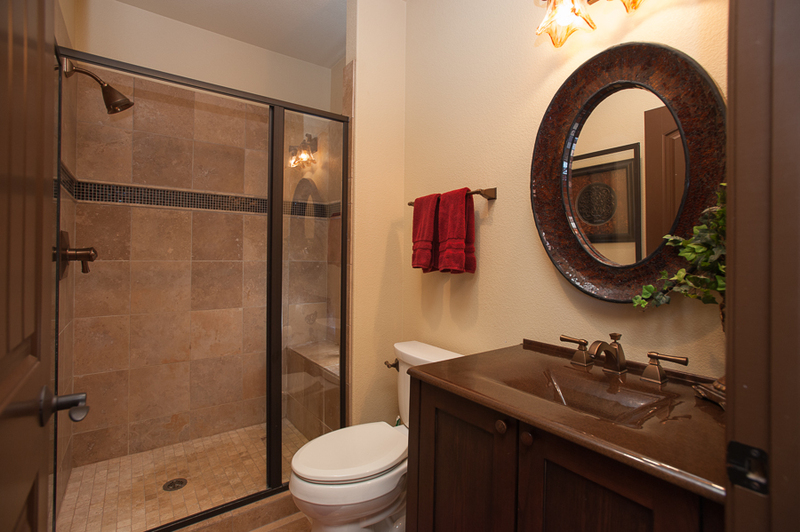 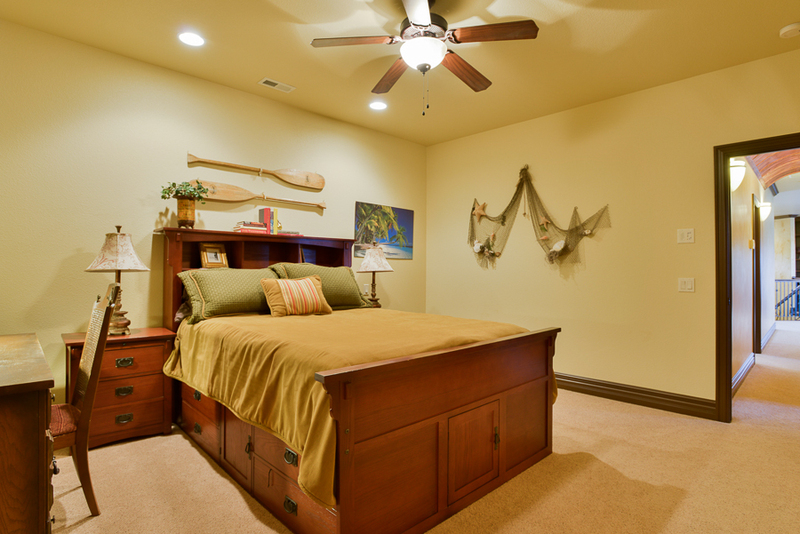 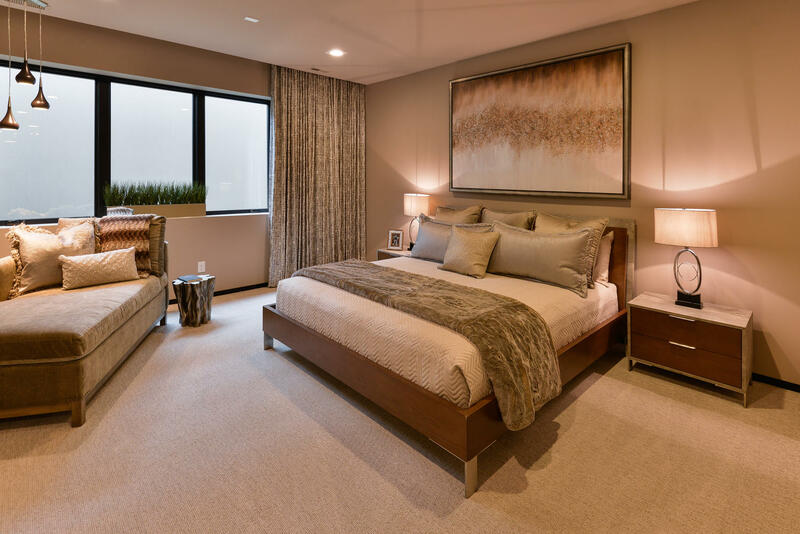 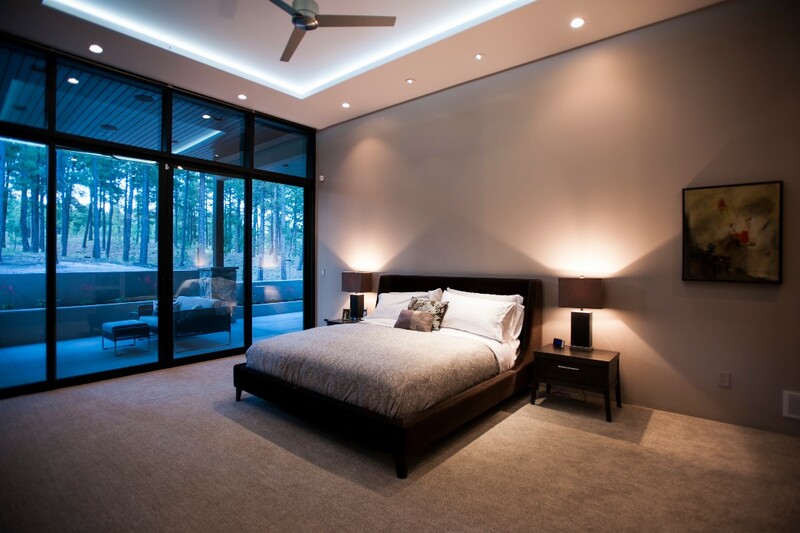 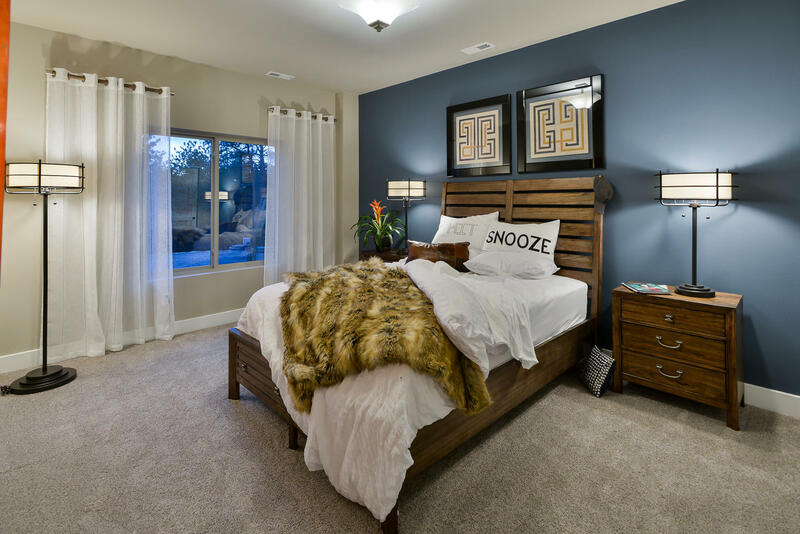 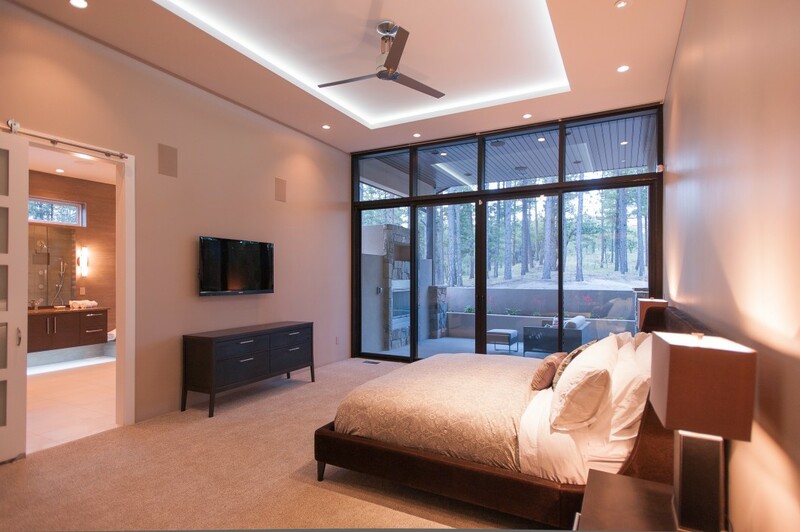 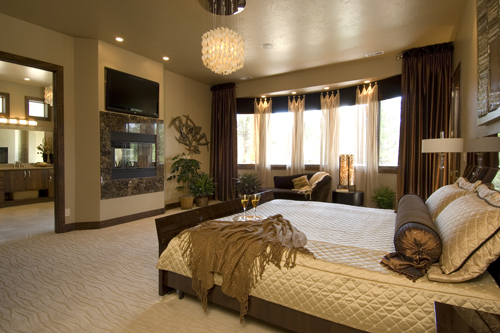 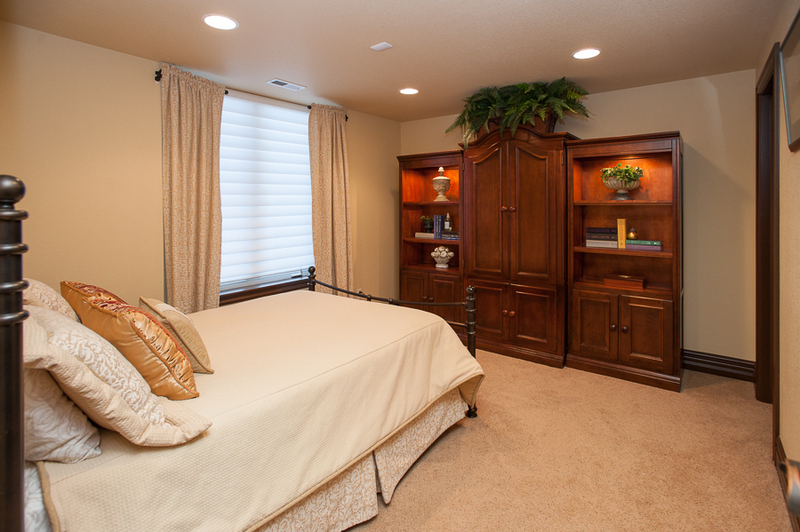 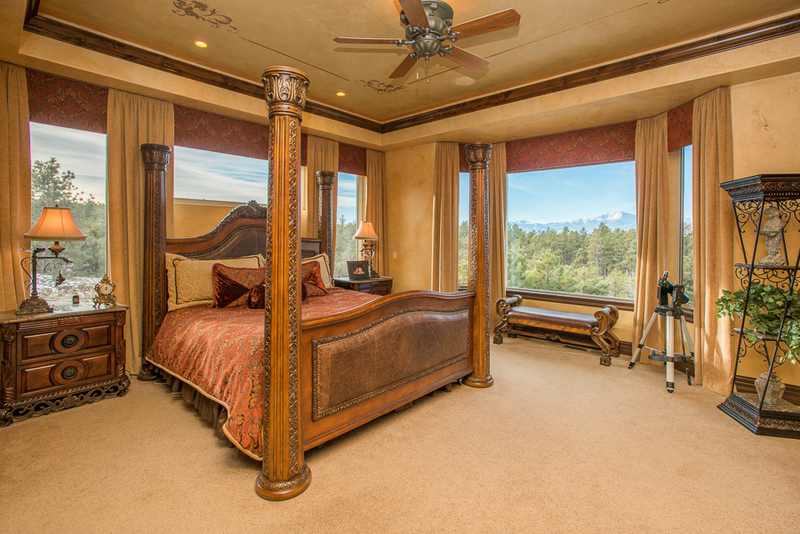 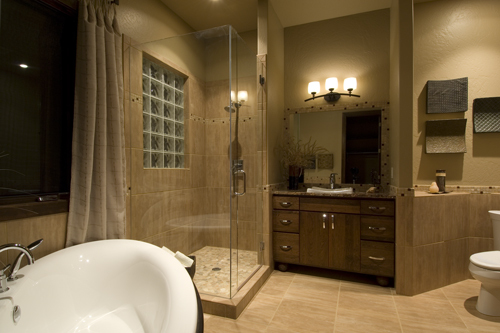 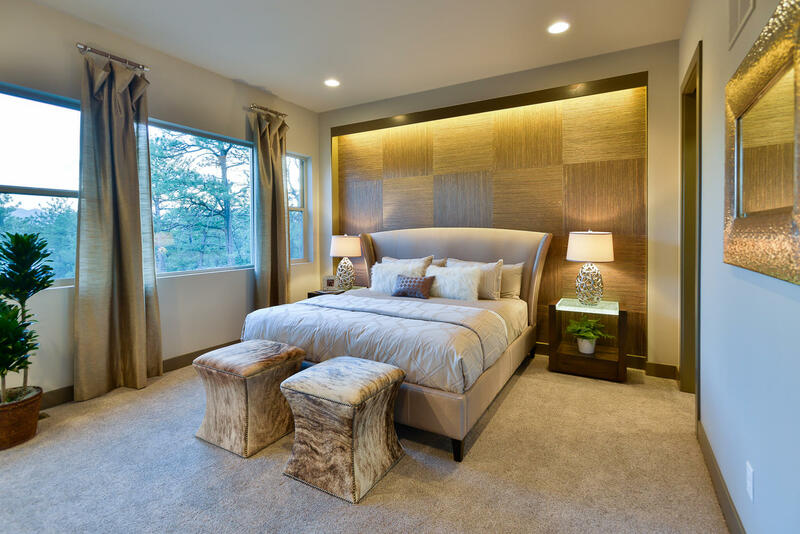 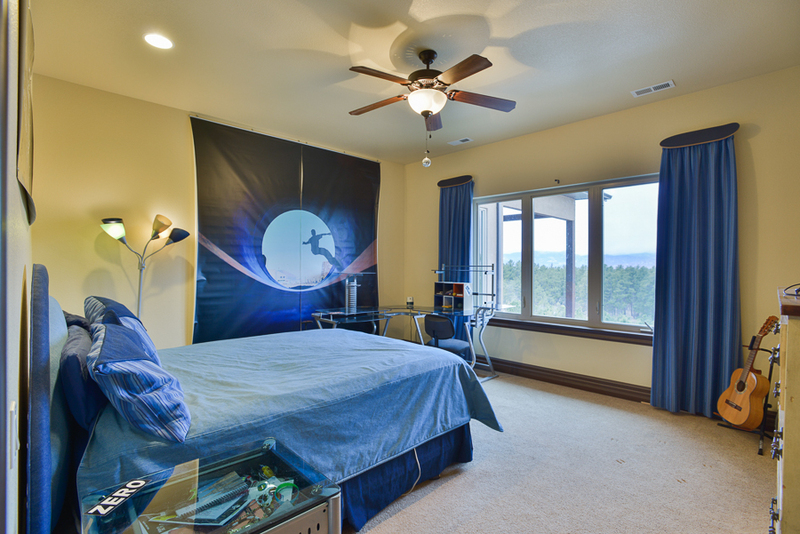 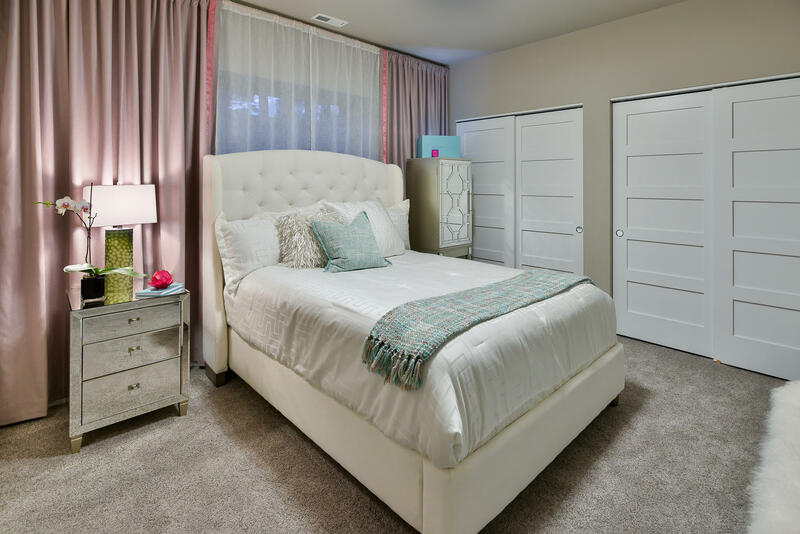 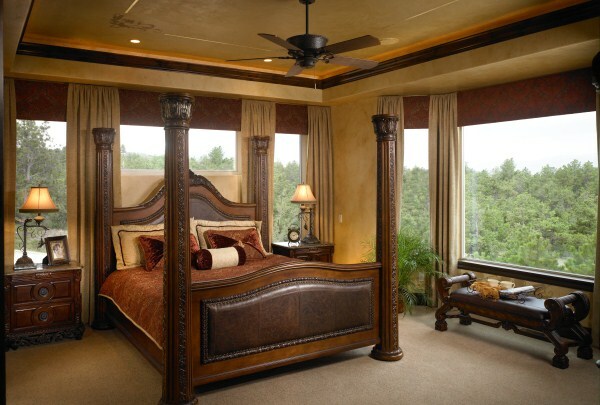 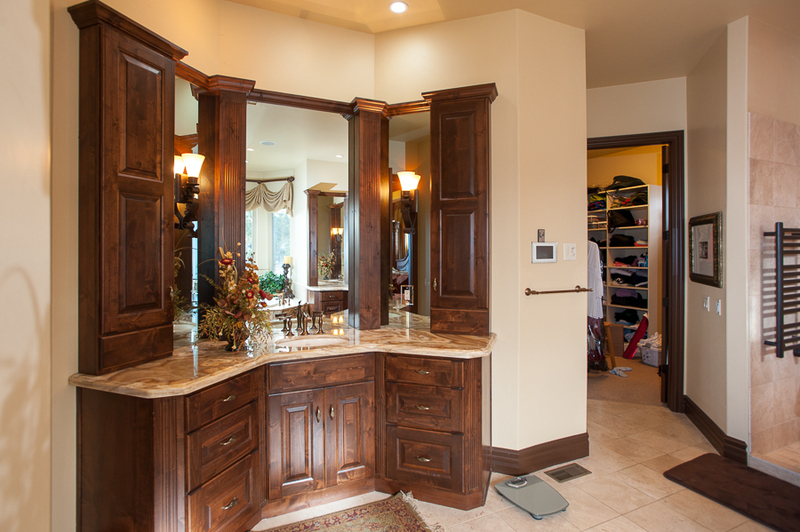 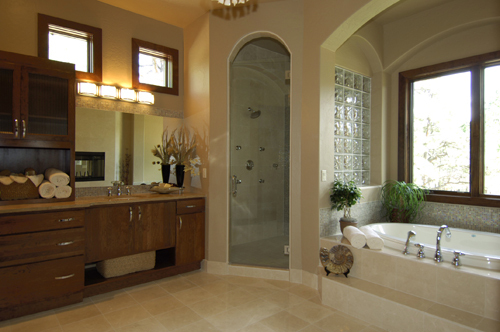 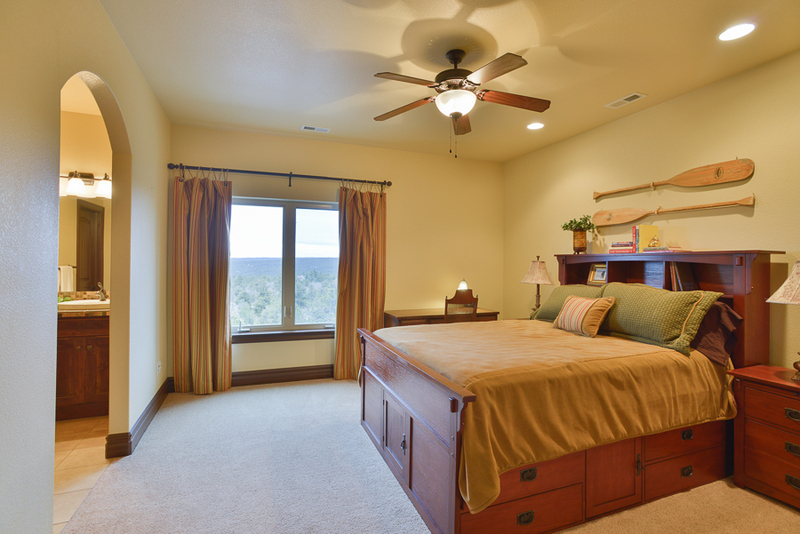 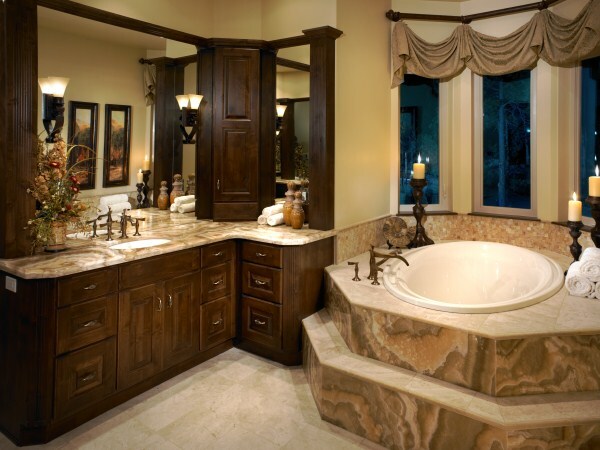 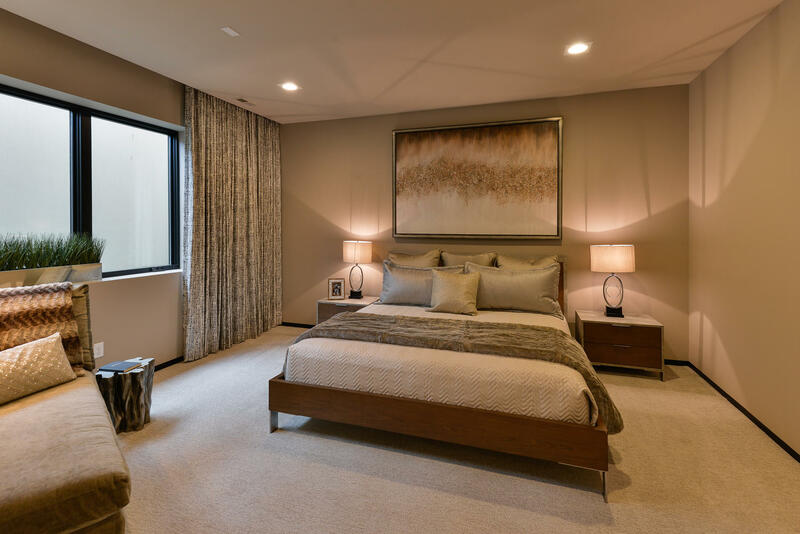 Master Suite designed with Elegance and Peace in mind. 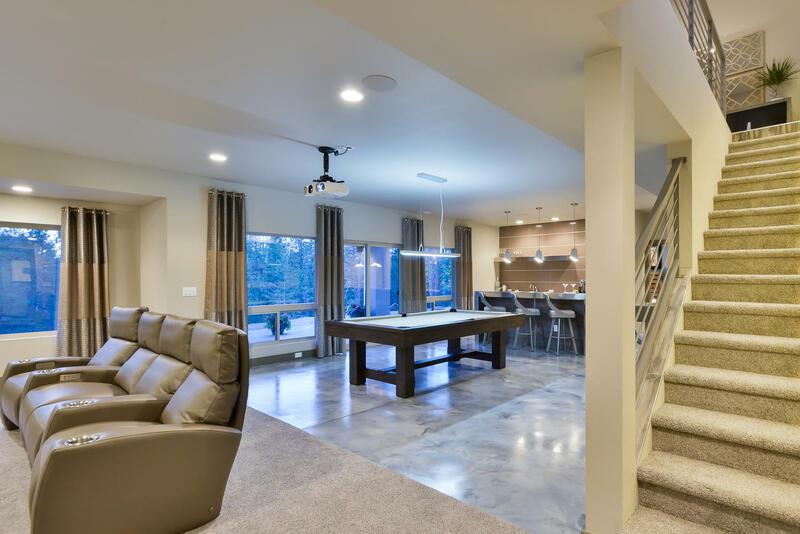 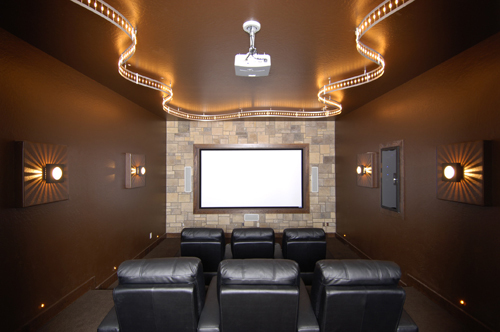 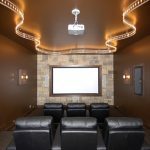 Best Main Level Master design with 3 beds and a loft in the upper level and an expansive entertainment area in the walkout basement. 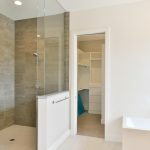 Custom finishes include: glass encased swimming pool with a retractable glass roof, state of the art home theatre, 2 story vaulted living room with an expansive wall of windows, and overlooking loft, gorgeous kitchen, luxurious owners retreat with backlit onyx countertops and a television hidden behind mirrors!